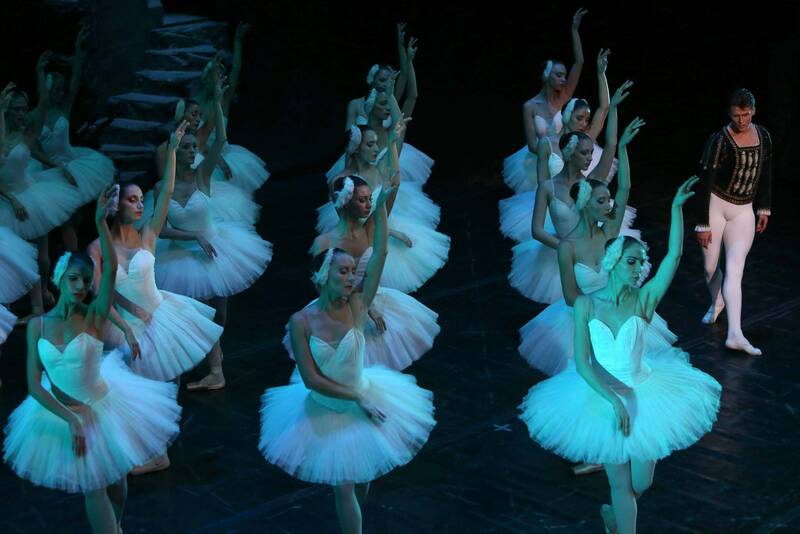 The National Ballet Sofia is on the threshold of its ninth decade. 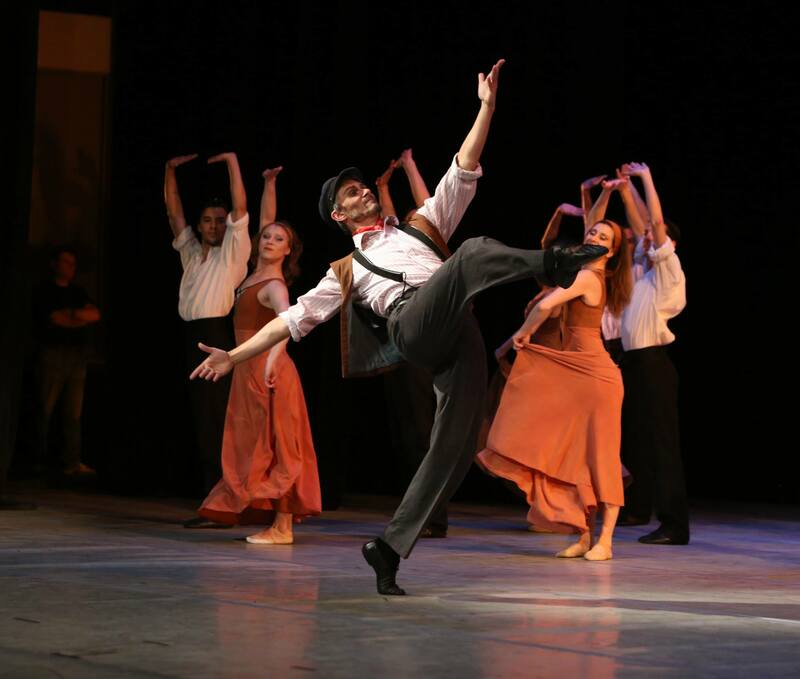 The first professional Bulgarian ballet performance “Copellia” by Anastas Petrov appeared on 22 February 1928. 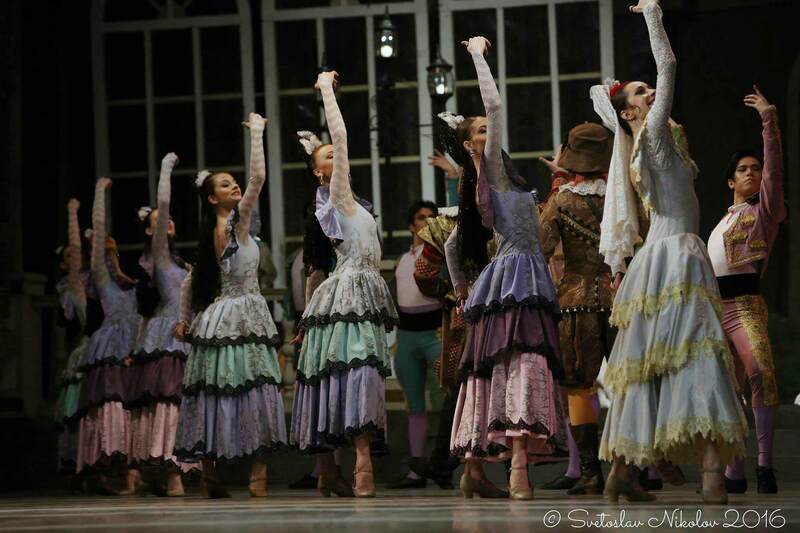 From then on the era of the National Ballet troupe, incorporated to the National Opera from its very foundation began. 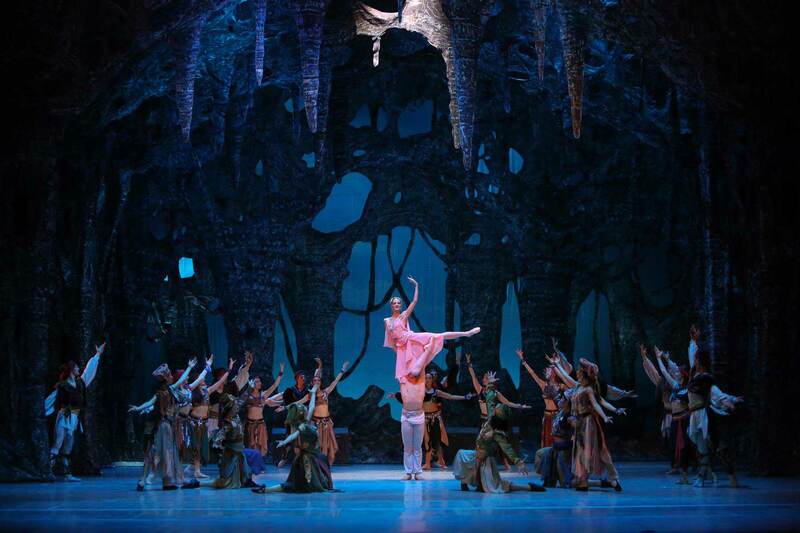 Over the past years the National Ballet achieved a lot. 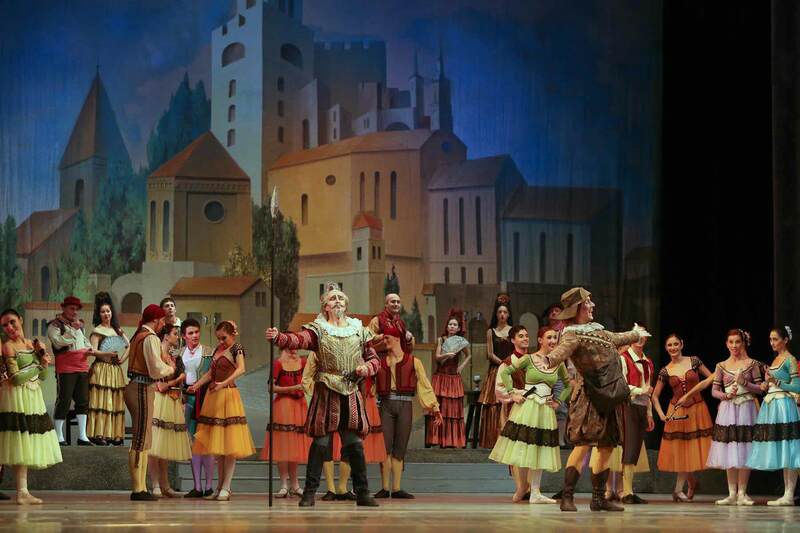 Recognition for the professional mastery of the troupe is the high appreciation of experts and the audience in Bulgaria as well as abroad. 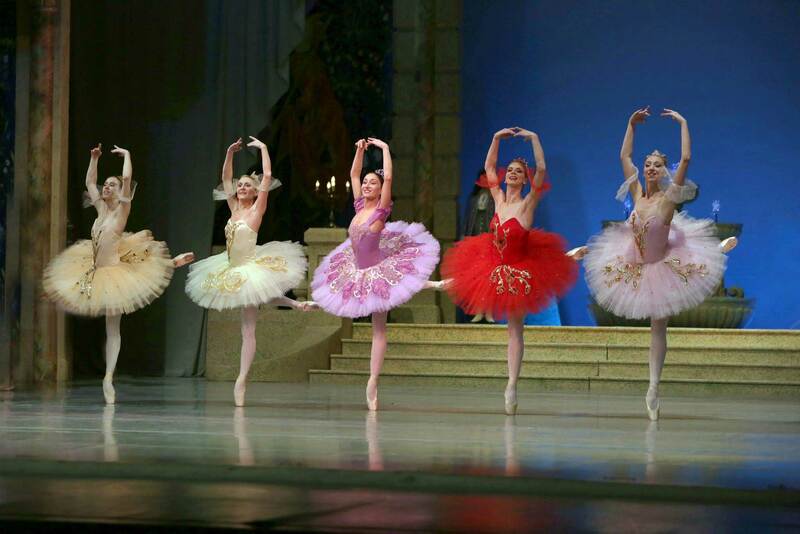 Since its very formation Bulgarian ballet synthesizes in its searching the Russian classical school and the German free dance expression. 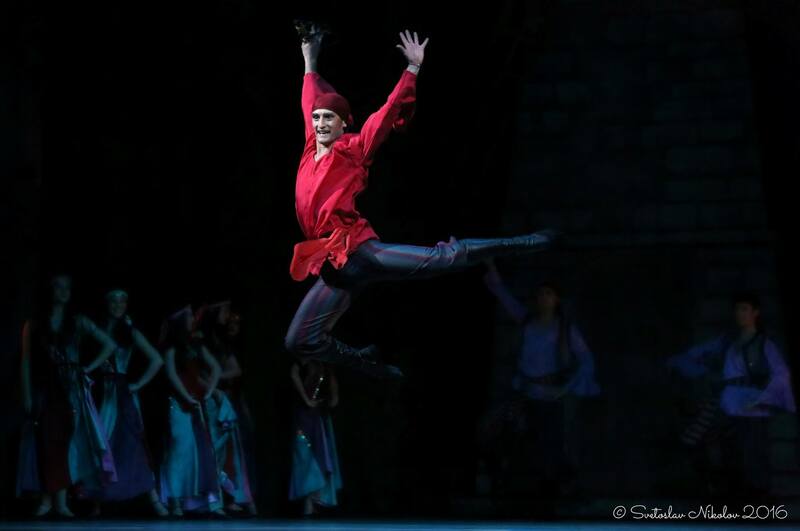 And while Anastas Petrov offers his editions of the classical ballets “Copellia”, “Chopiniana”, “Raymonda”, “The Doll’s Fairy”, “Giselle”, “Swan lake”, “Esmeralda”, as well as the first work on national theme “Serpent and Yana” by Hristo Manolov /1937/, during that period in this country works the pronounced representative of the German free dance expression Maria Dimova who found a new perusal of the Bulgarian folklore in her staging of “Fire dance” by Marin Goleminov /1942/, “German” by Filip Kutev. 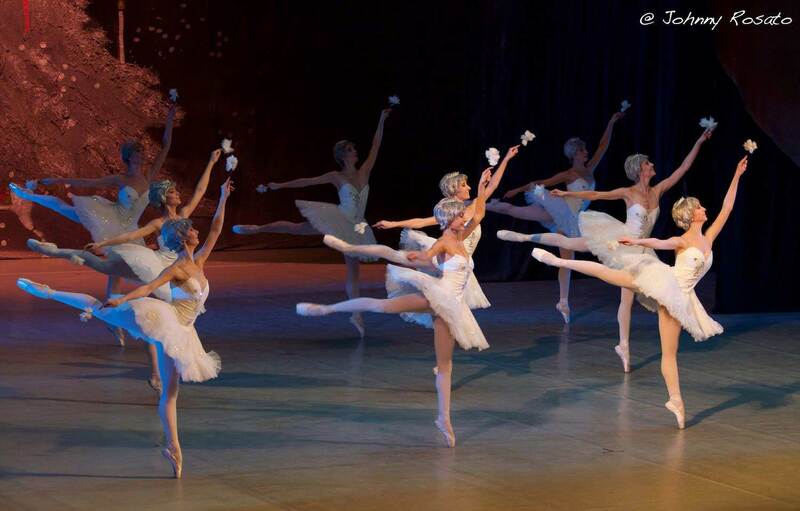 After 1945 the influence of the Russian classical school became stronger. 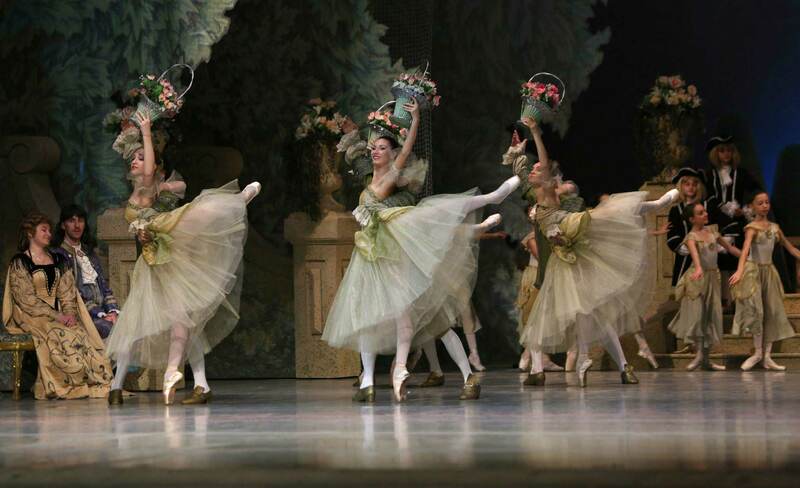 Even the ballets, which are founded on folklore motives, were created by foreign, mainly Russian choreographers. 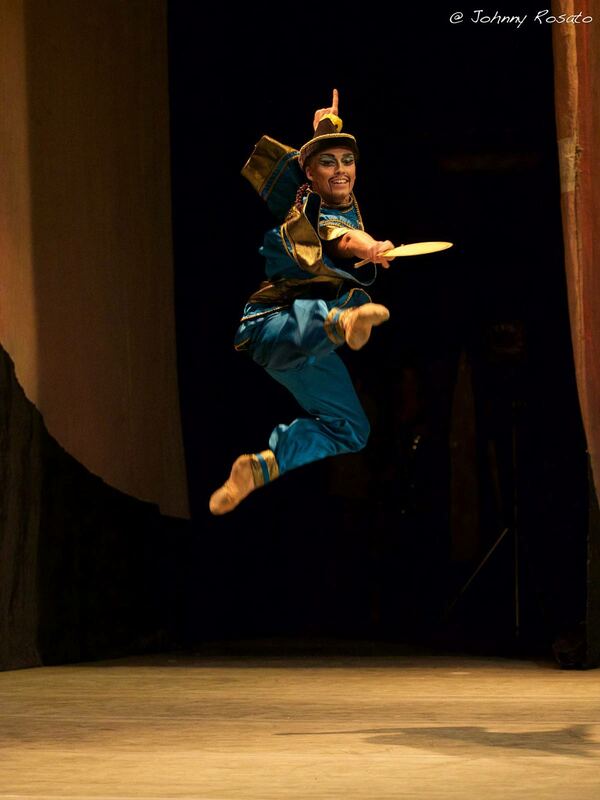 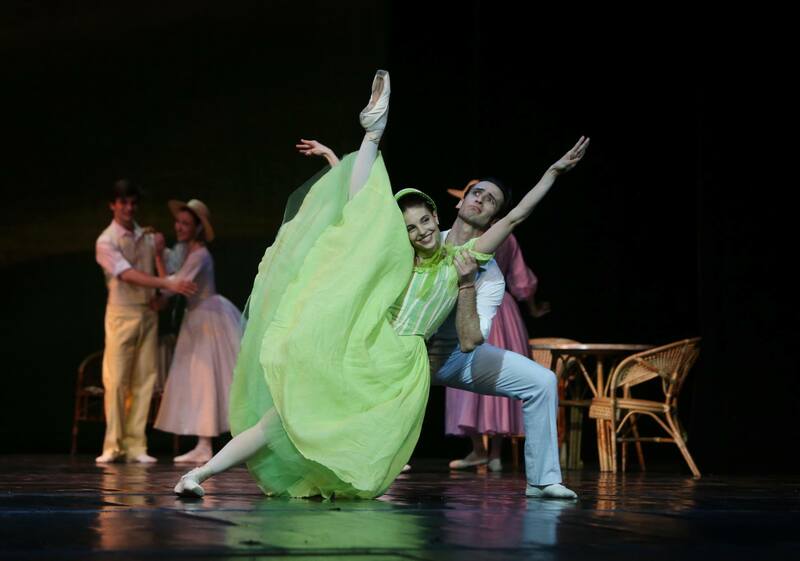 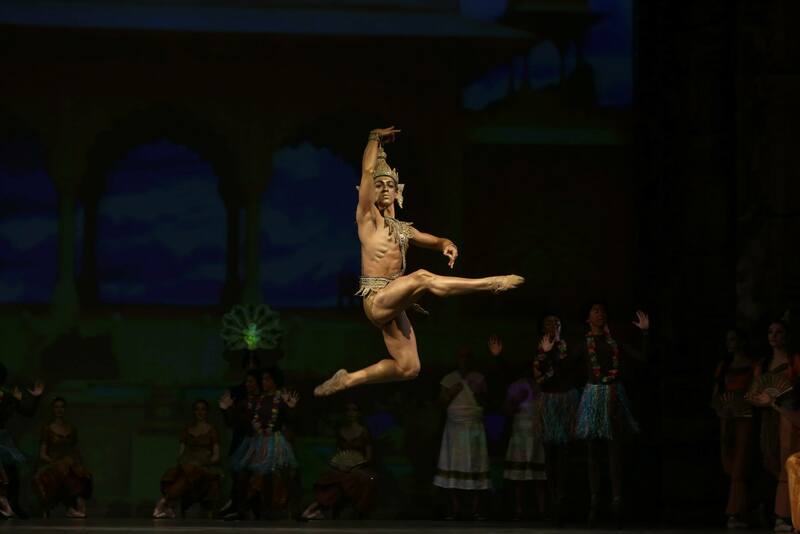 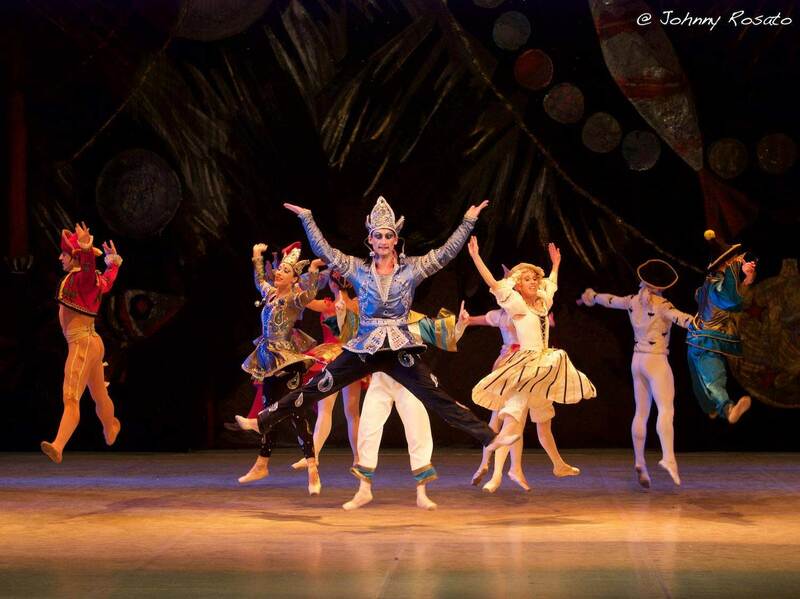 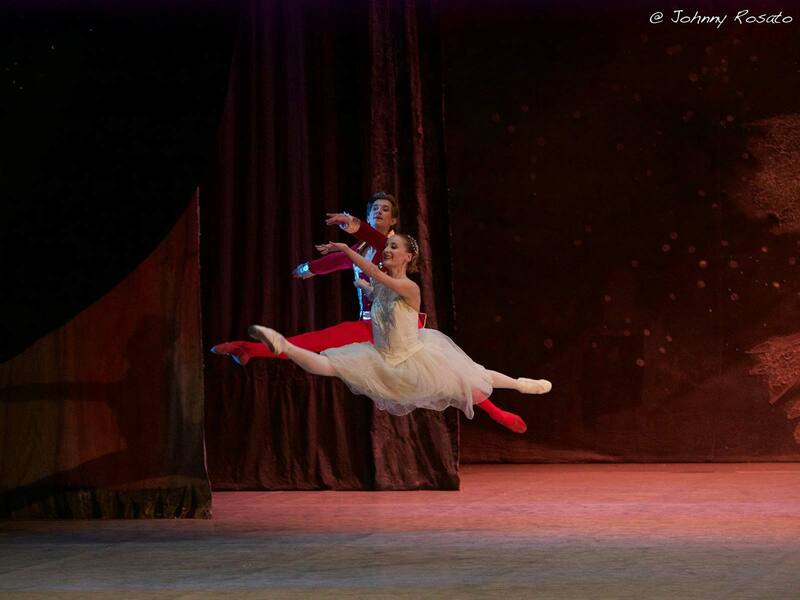 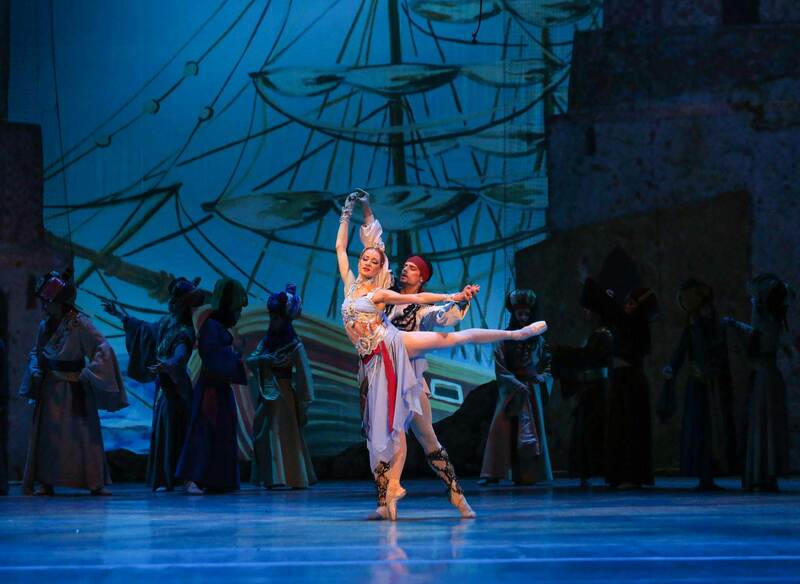 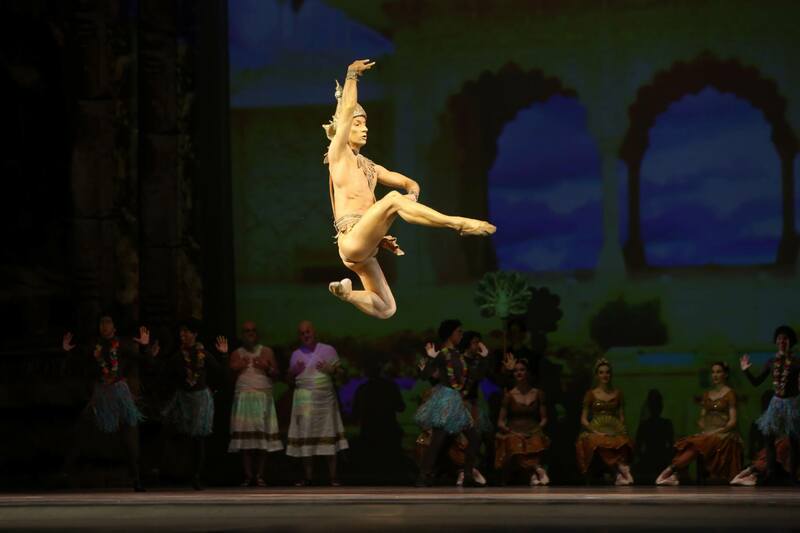 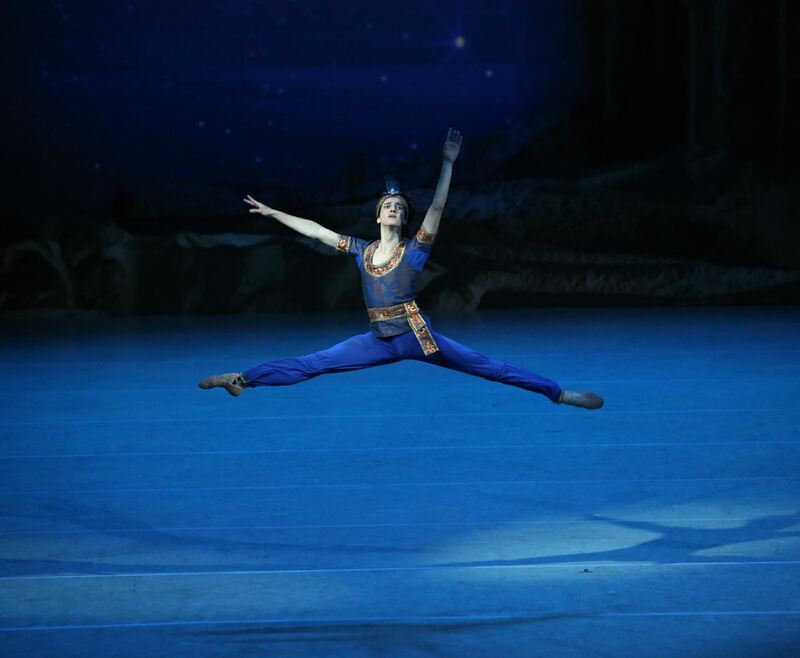 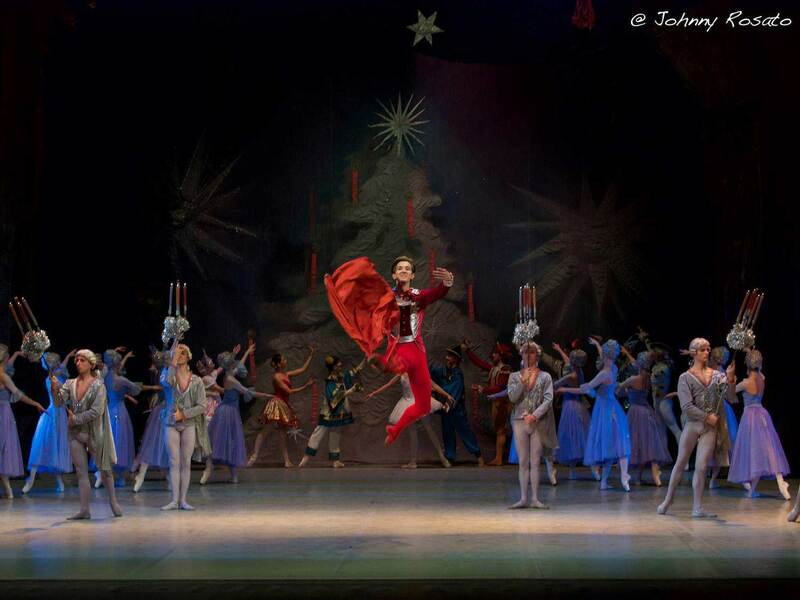 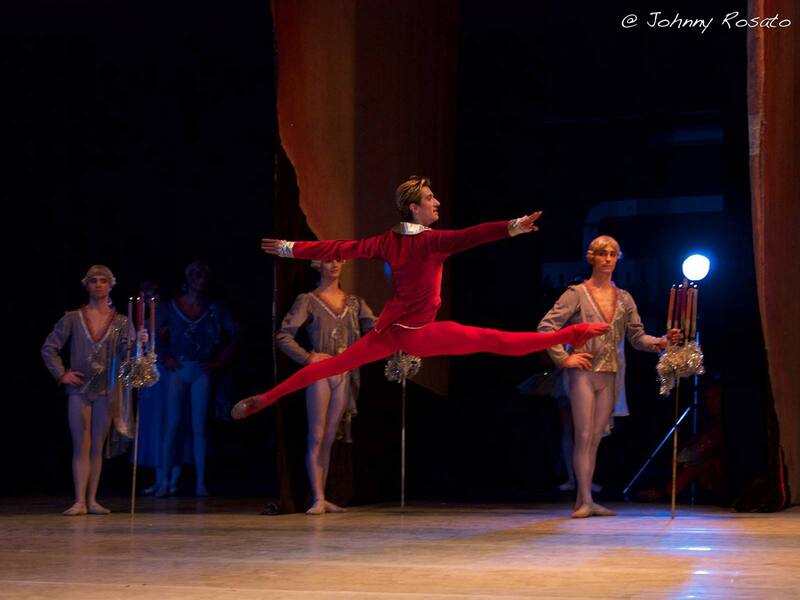 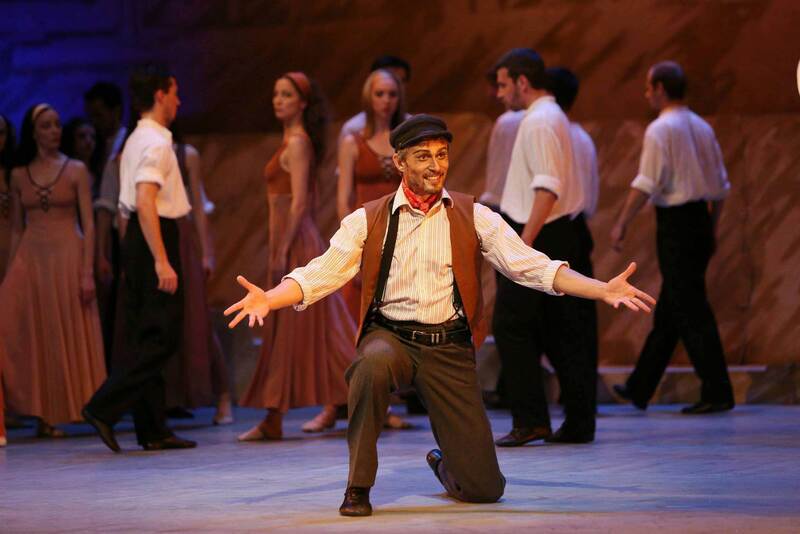 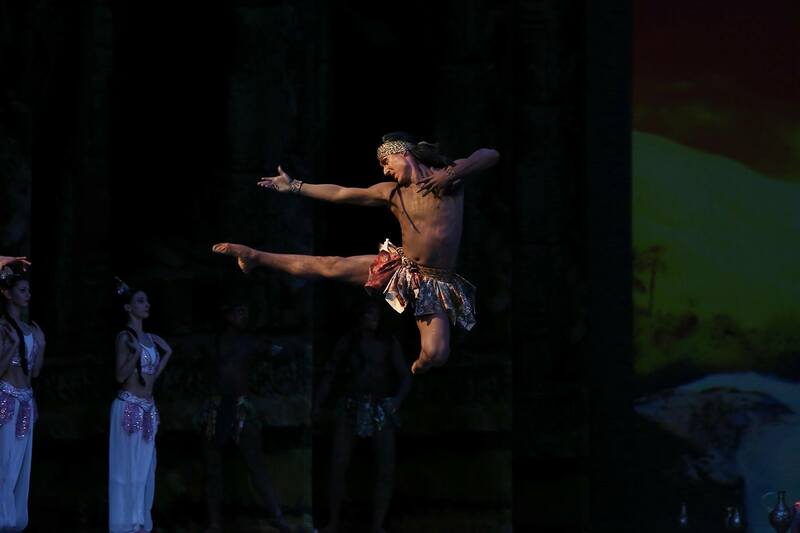 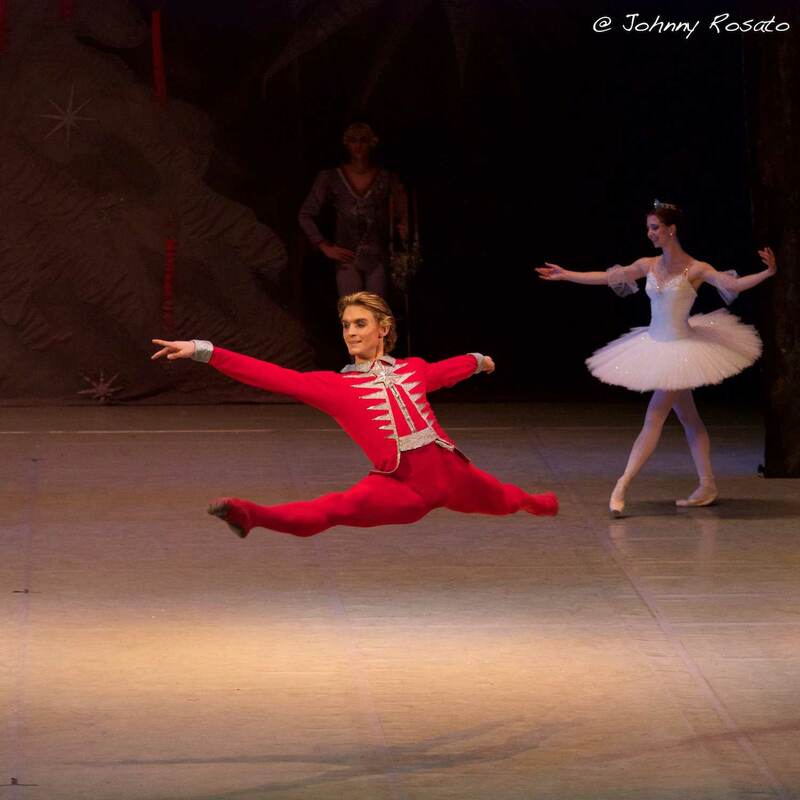 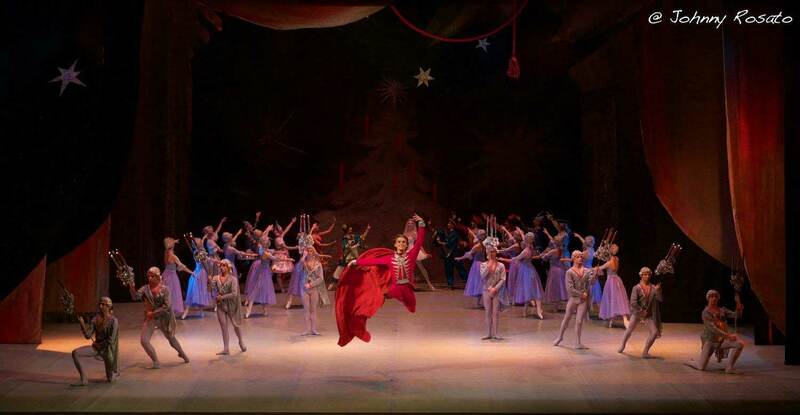 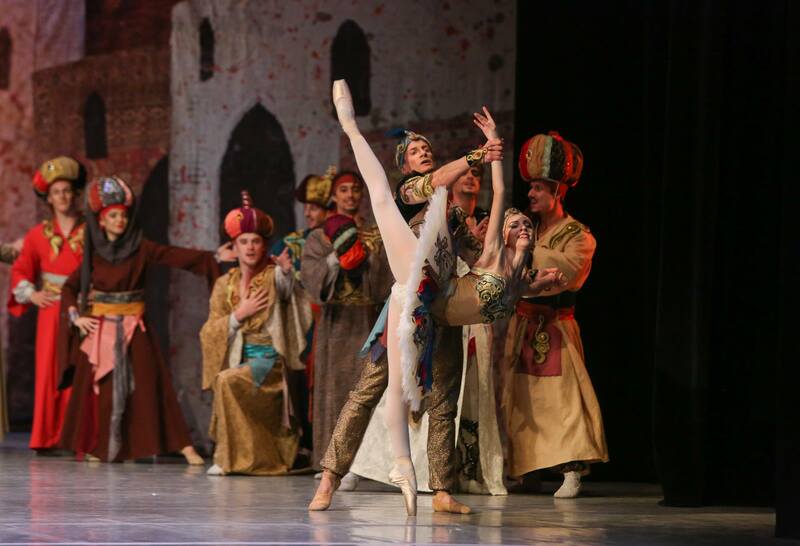 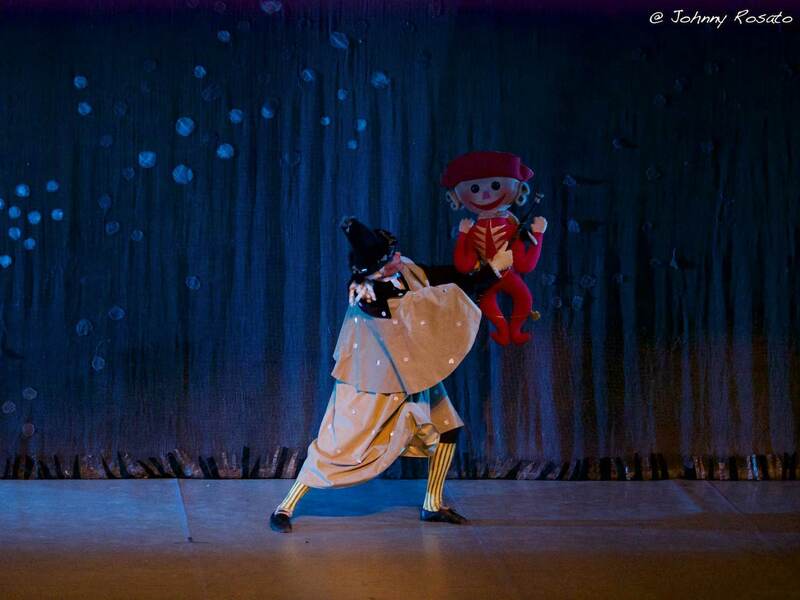 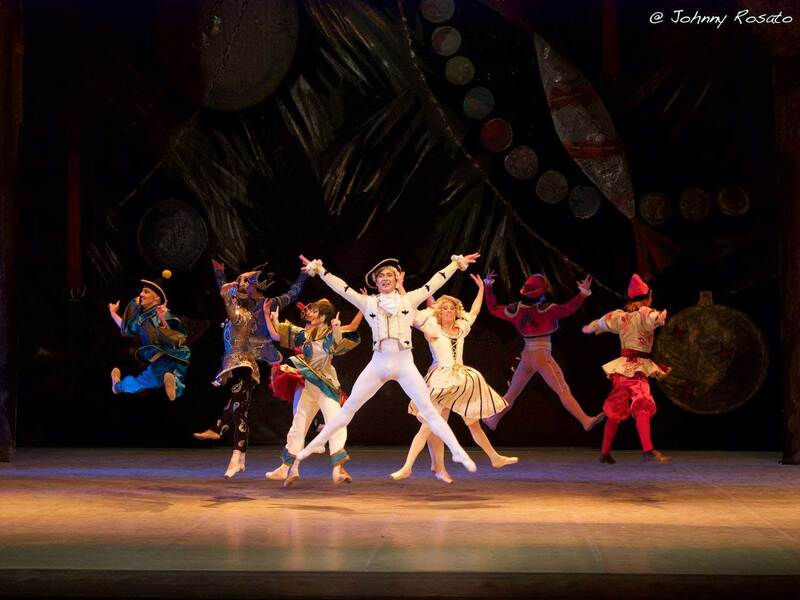 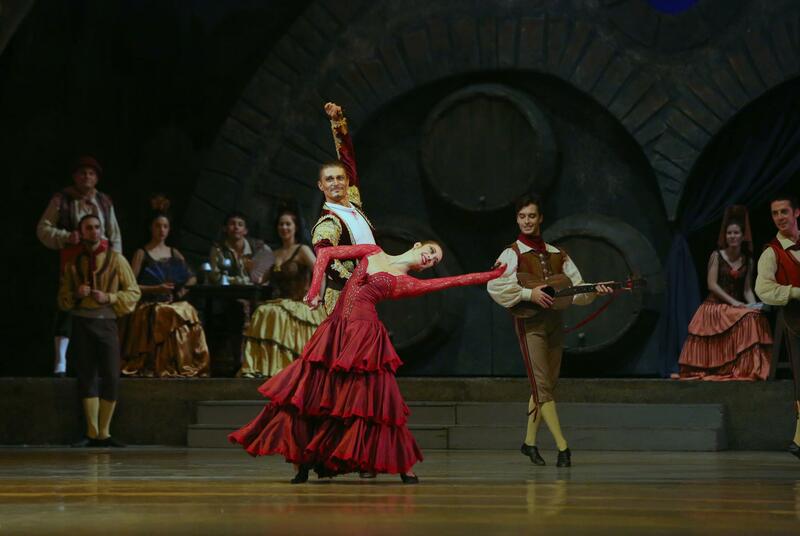 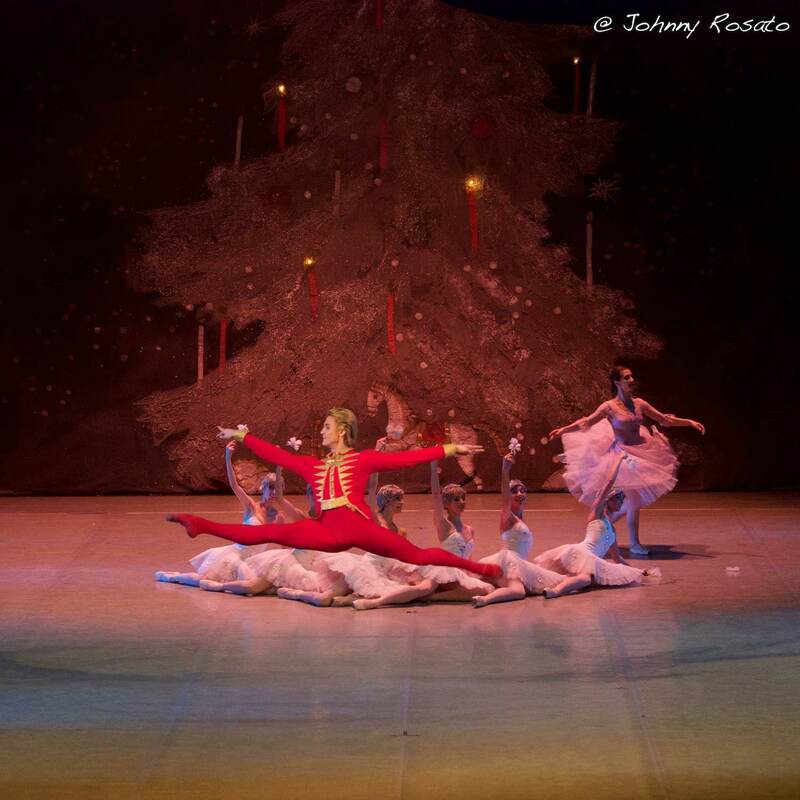 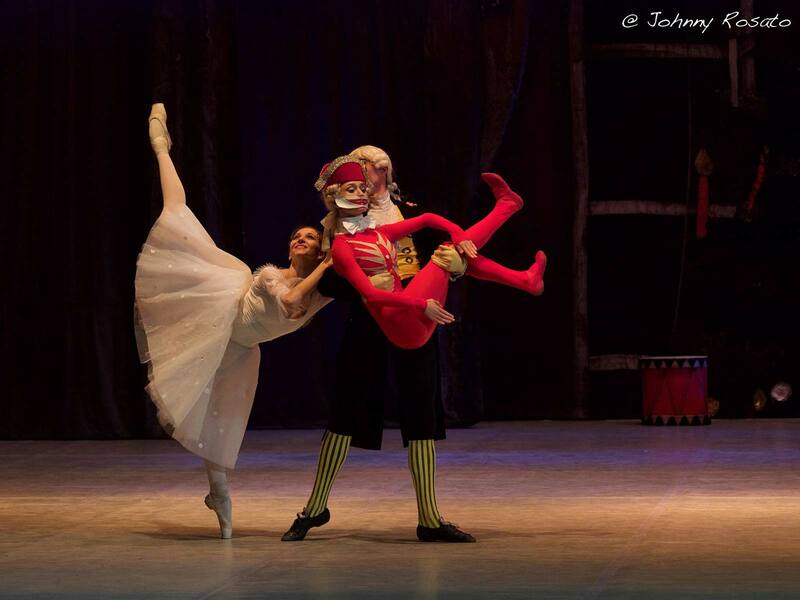 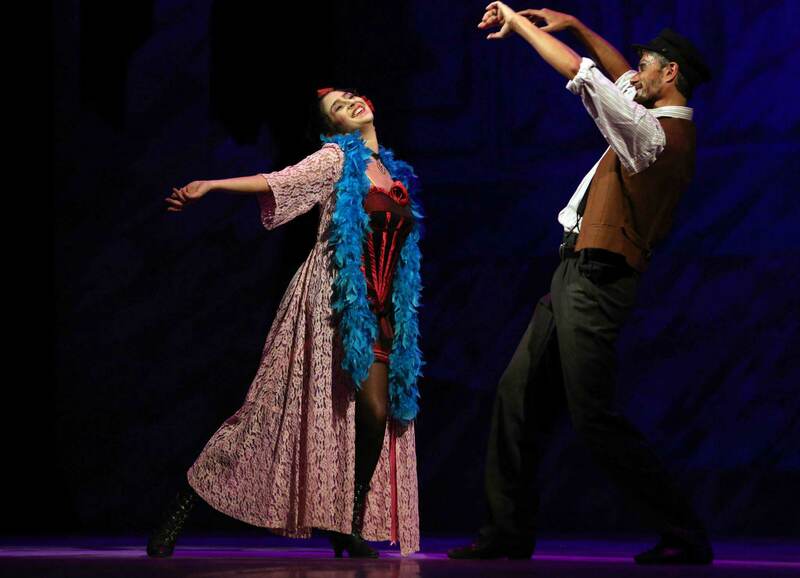 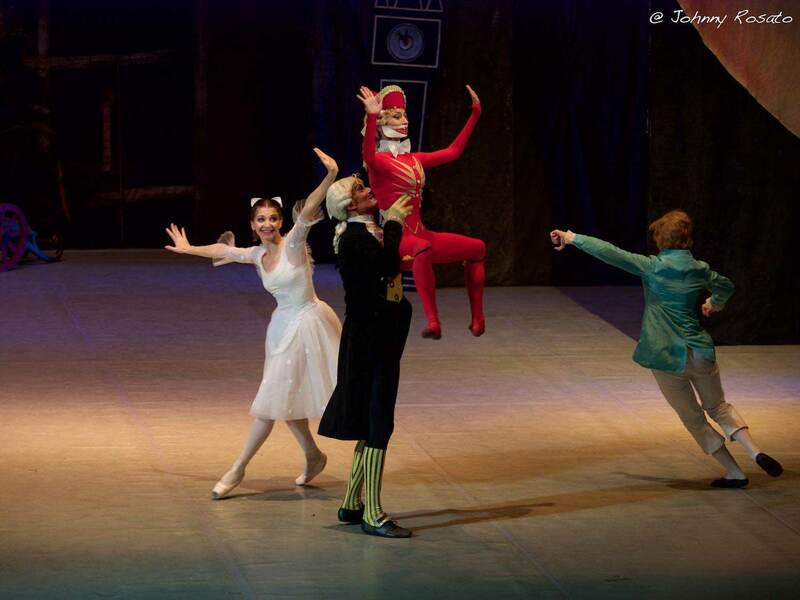 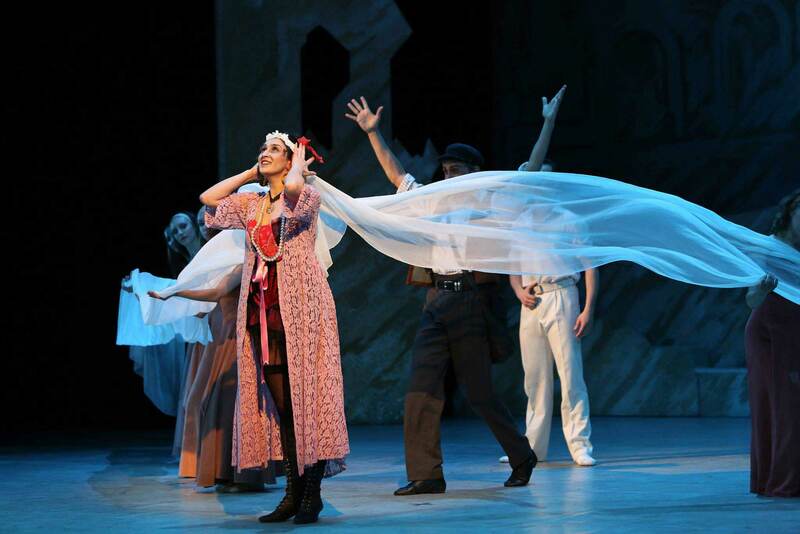 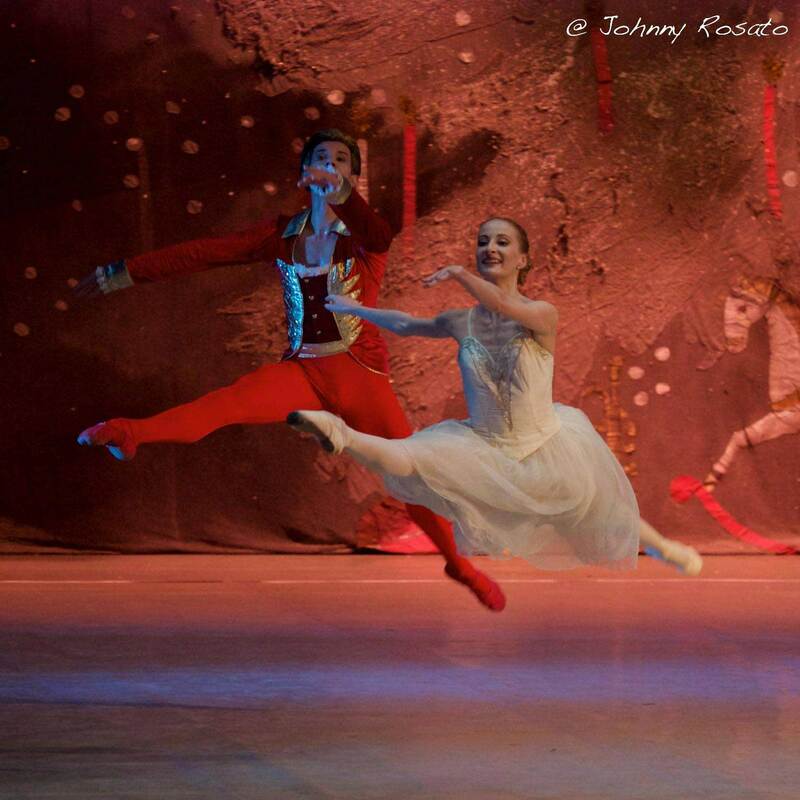 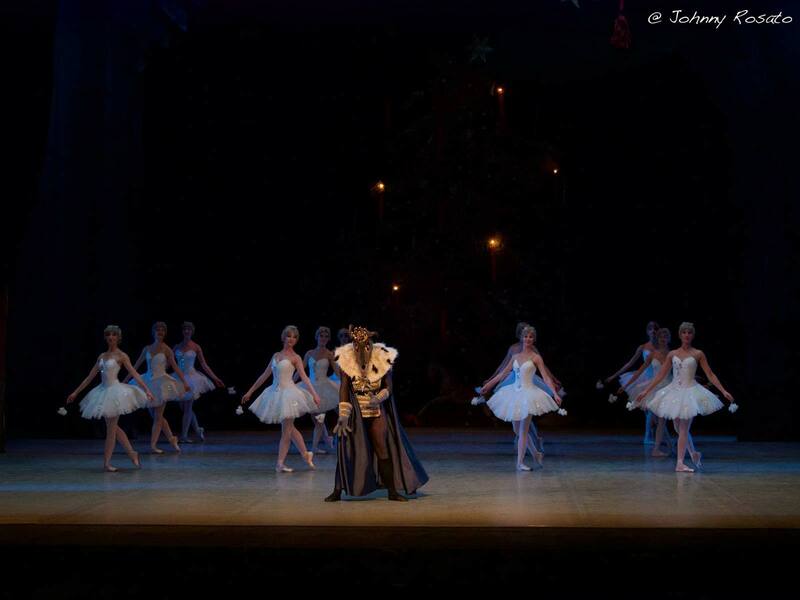 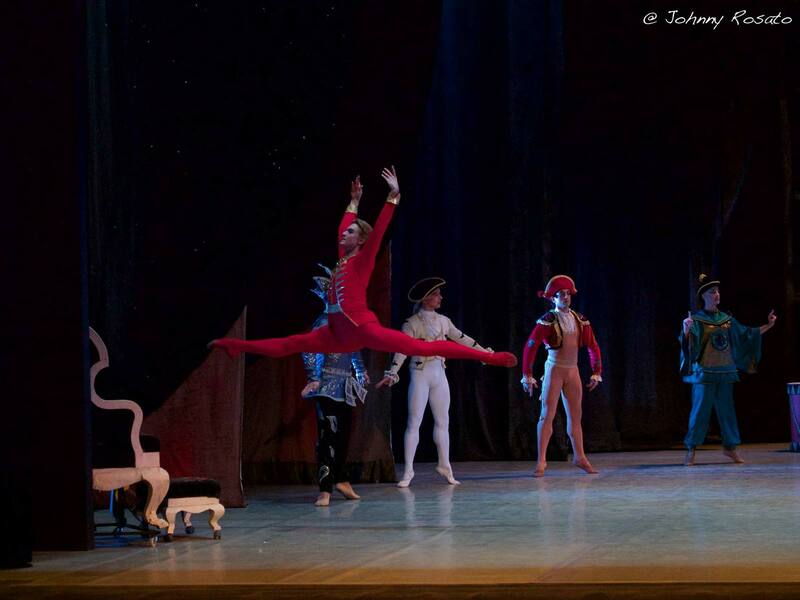 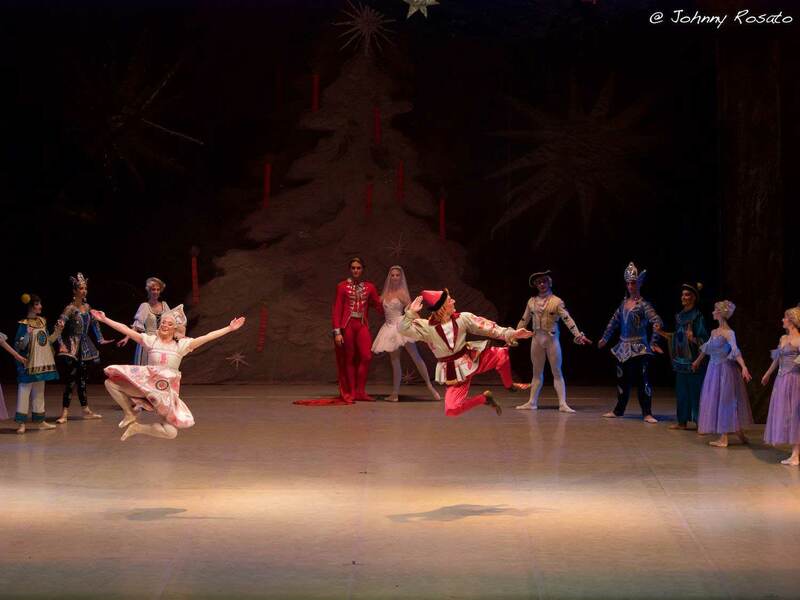 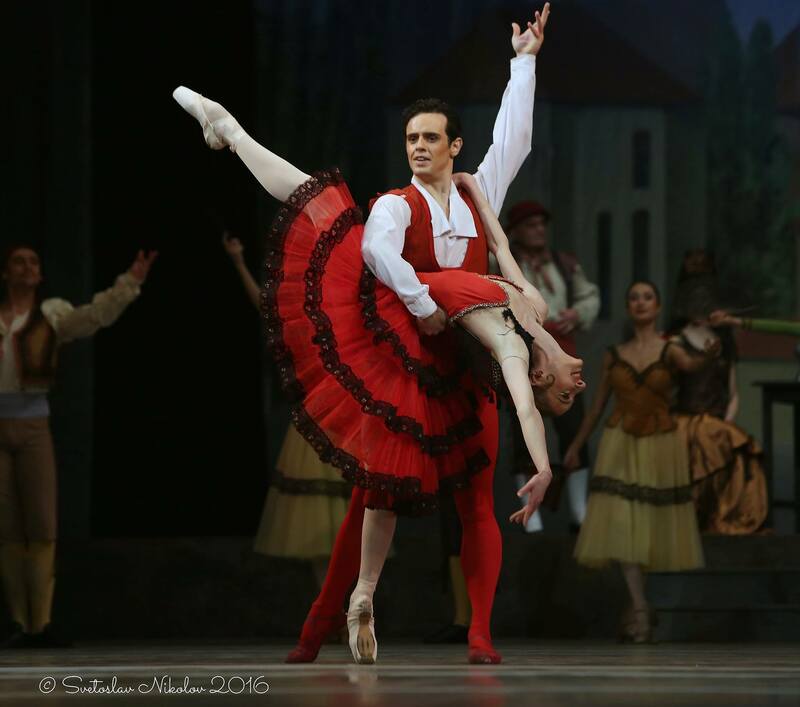 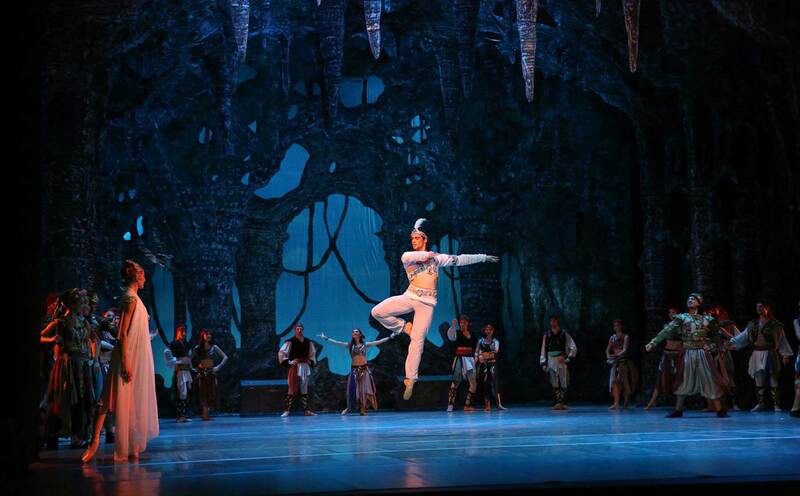 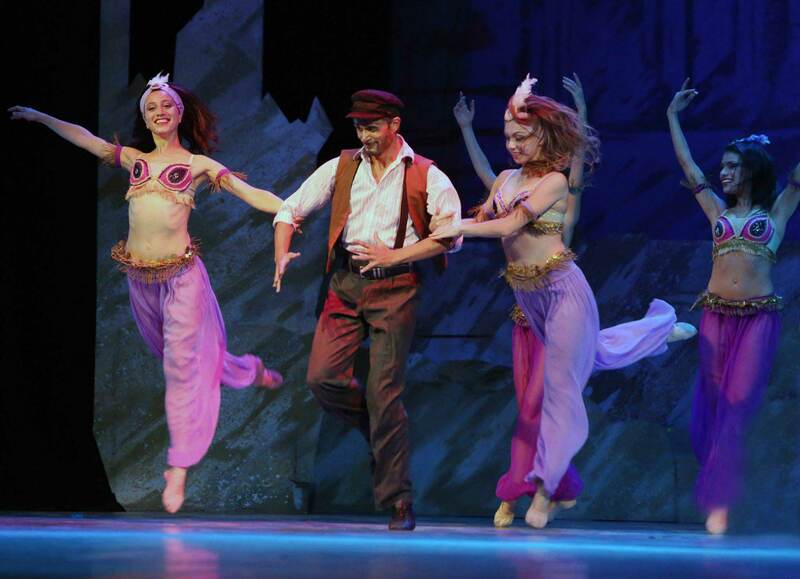 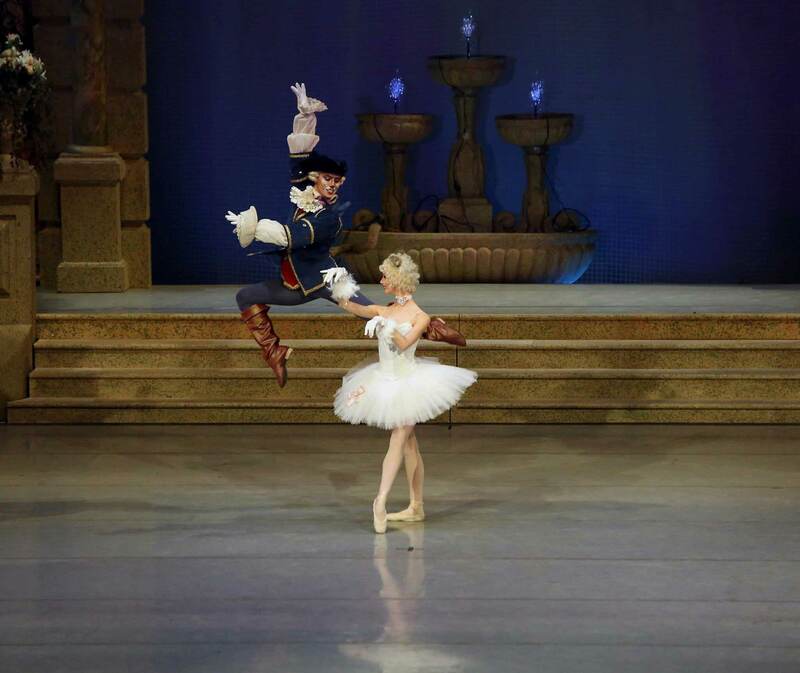 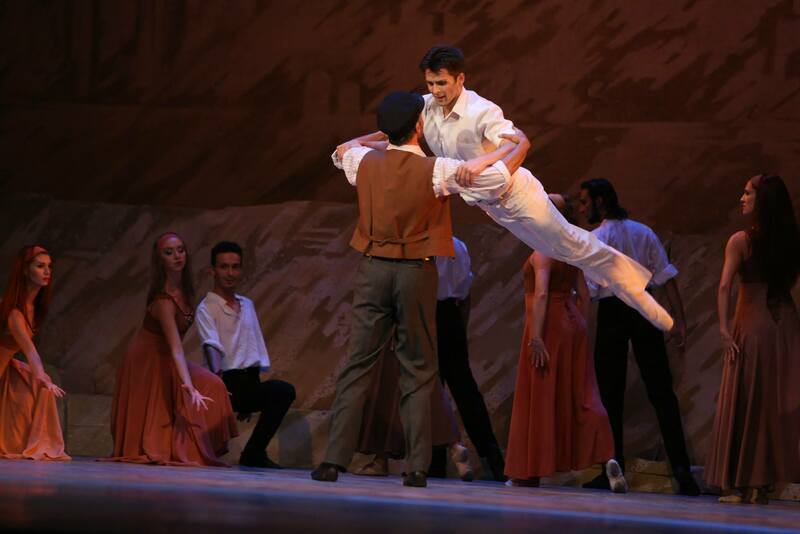 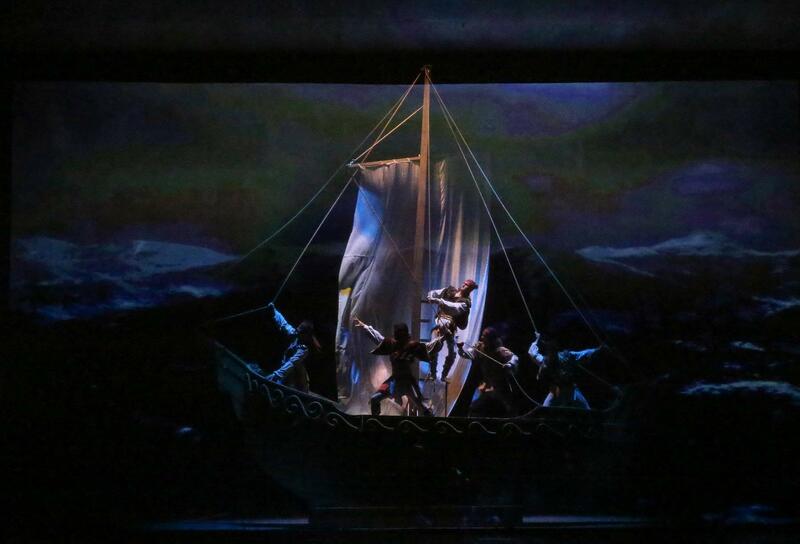 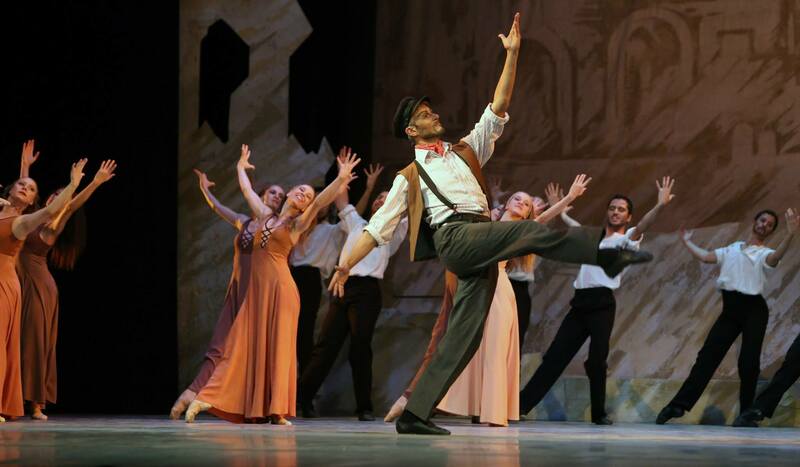 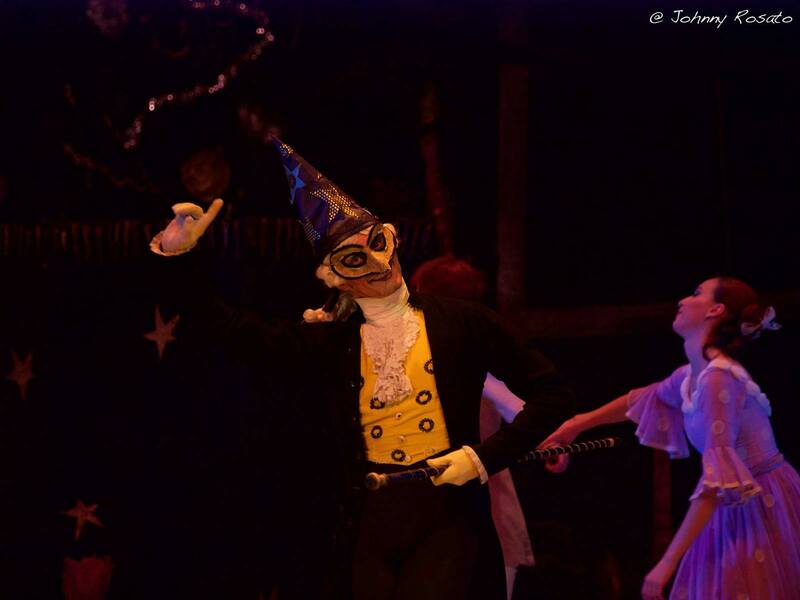 Therefore appeared “Hajdushka pesen” by Alexander Raychev in the choreography of Nina Anisimova, “The Rider of Madara” by Dimiter Sagaev and choreography Vitold Borkovski. 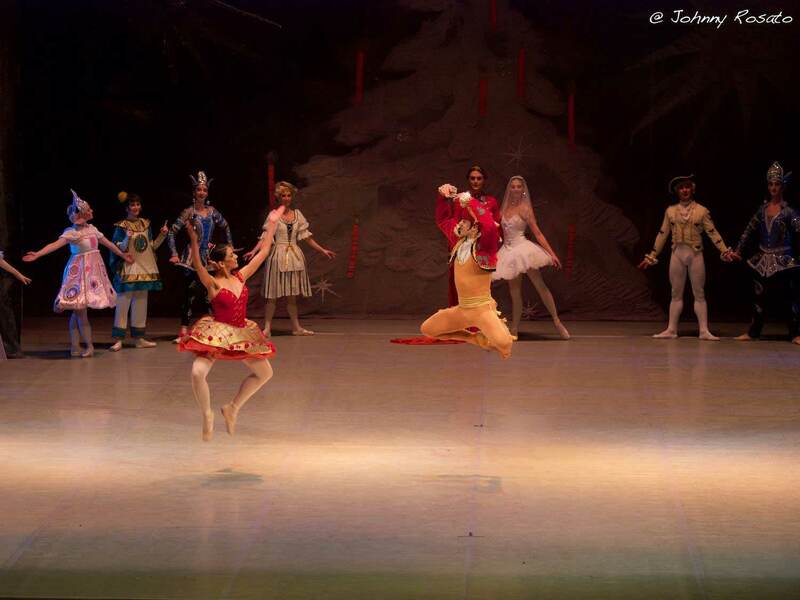 At the same time the Bulgarian choreographers, mastering the experience of the ballet decades, take their well – deserved place in the repertoire of our national troupe – Nina Kirajieva with “Nestinarka”, “Bahchisarayski Fountain” and “Laurencia”, Bogdan Kovachev with “Petrushka”, “Daphnis and Chloe”, “Haidouk Song” and “The Spring of White – legged Girl”, Galina and Stefan Yordanov with “Romeo and Juliet”, Asen Gavrilov with “The Miraculous Mandarin”, “Spartacus” and “Copellia”, Petar Lukanov with “Kaloyan’s daughter”, “The Goat Horn”, “Legend of Love” and “Notre- Dame de Paris”, Margarita Arnaudova with her stagings “The Creation of the World”, “The Shadow” and “Fire- dance”. 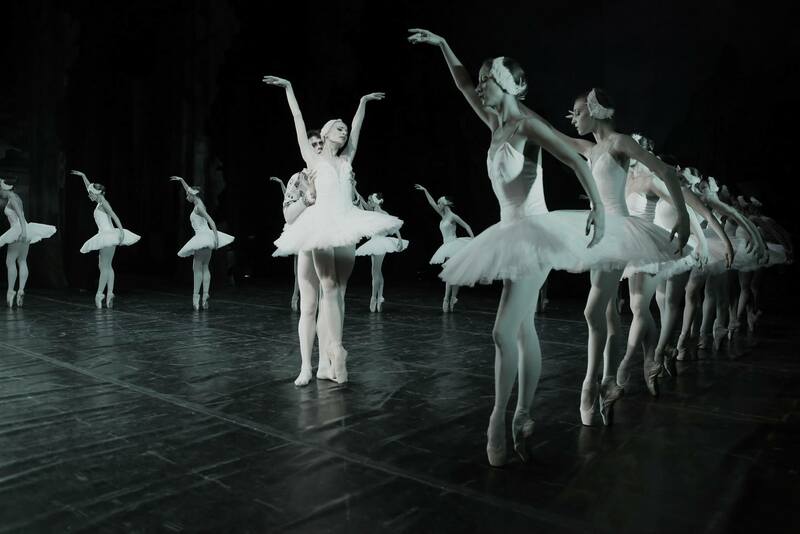 The two tendencies for preservation and development of the classical repertoire and creation of new modern works are kept until today. 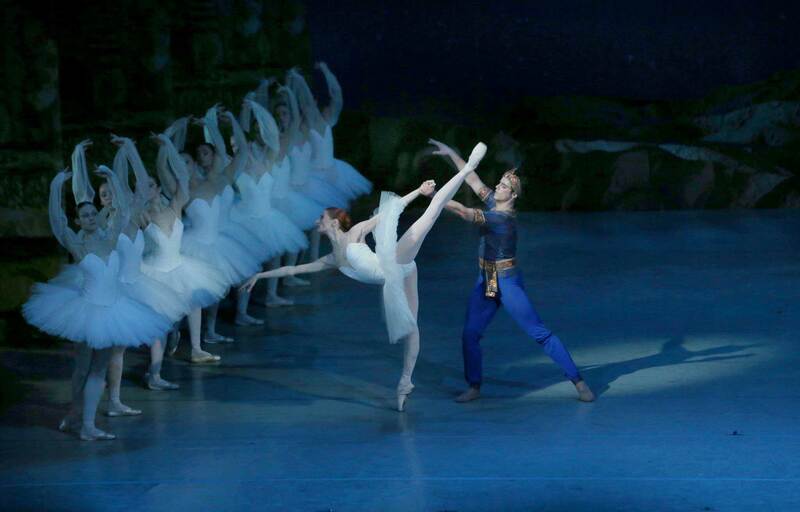 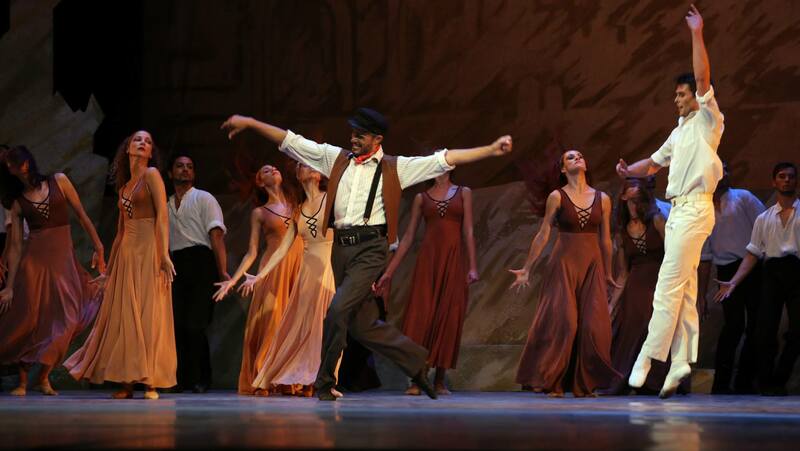 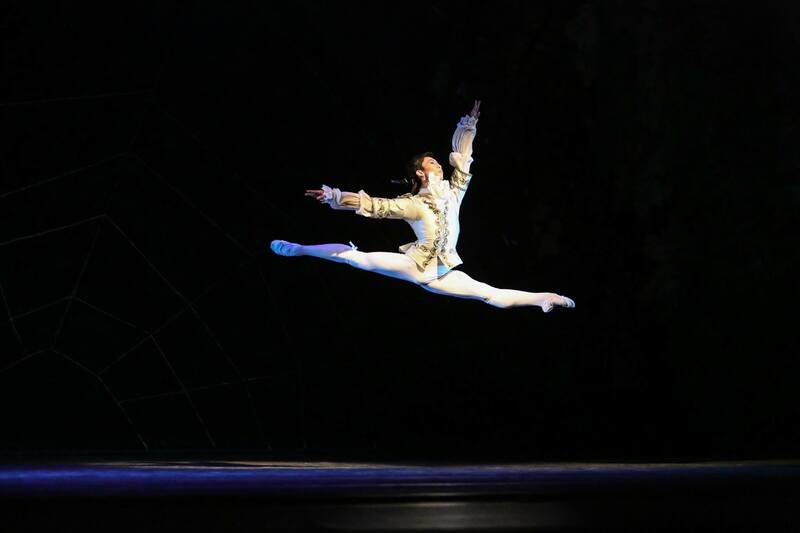 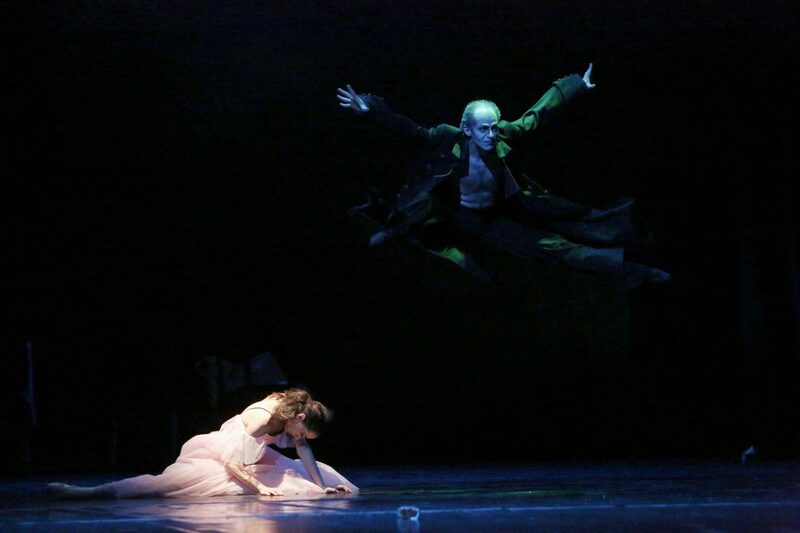 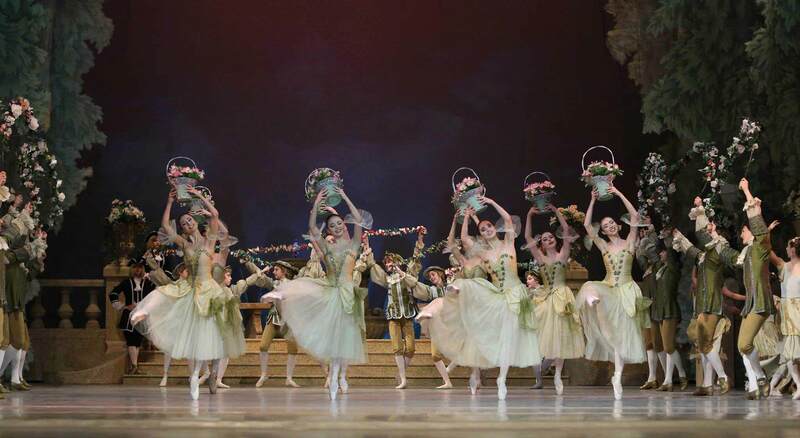 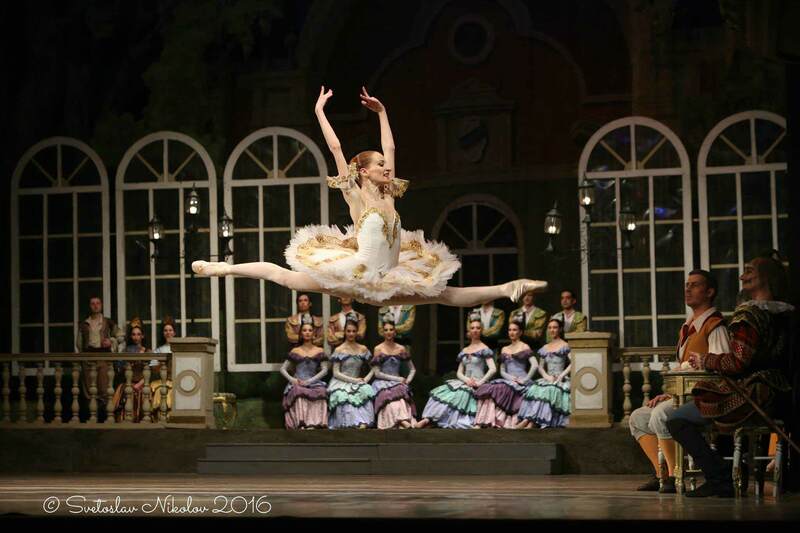 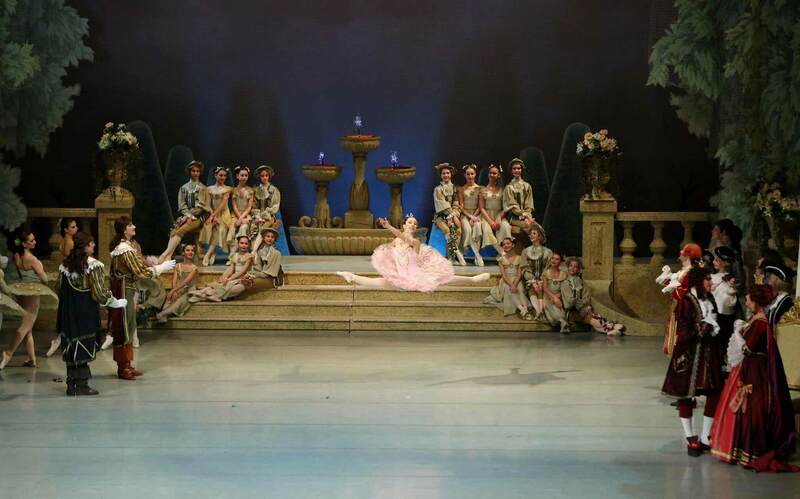 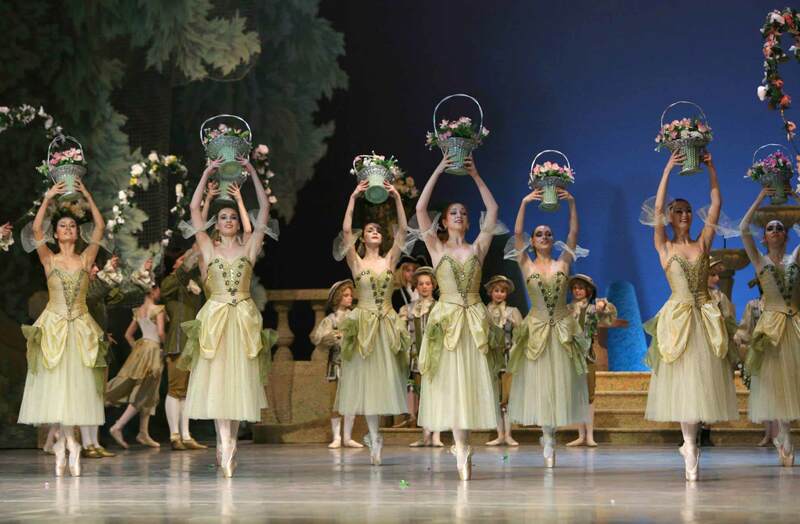 Along with “Giselle”, ”The Sleeping Beauty”, “Swan Lake”, “Chopiniana”, “Paquita”, “La Sylphide”, “Don Quixote” in the playbill of the National Ballet are present the titles of master – pieces like “Romeo and Juliet” choreography by Irzi Nemechek, “Spring Story” and “Sketches” choreography by Anastas Petrov, “Boomerang” choreography by Boris Eifmann, “The Badly – kept Girl” choreography by Albert Alonzo, “Unfinished Symphony” choreography by George Skibine, “The Lady With the Camellias” choreography by Pierre Lacote, “Zorba il Greco” choreography by Lorca Massine, appear the experimental staging of Boryana Sechanova, Donvena Pandurski, Hikmed Mehmedov, Anna Pampulova, Mariana Kruncheva, Jordan Krustev. 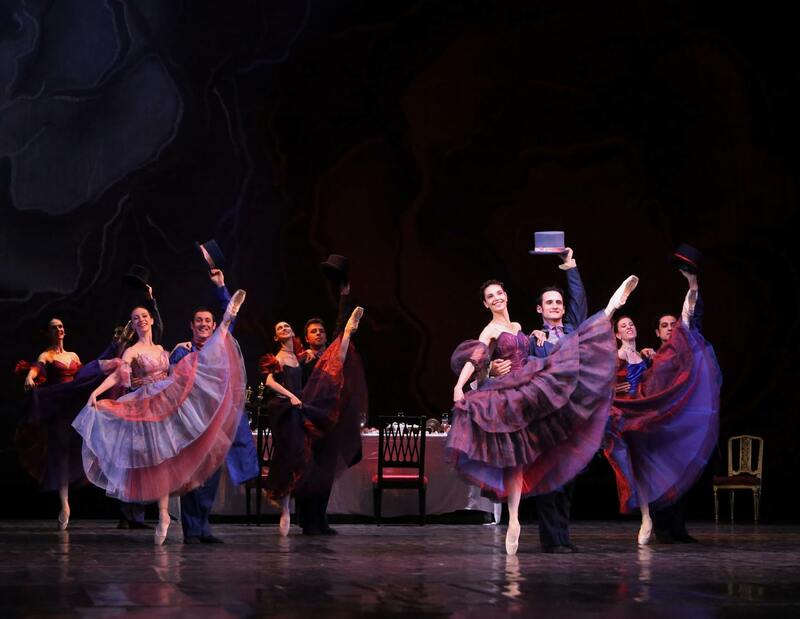 The creators of the National Ballet – choreographers and performers, play a leading part in the creation of the national performing school. 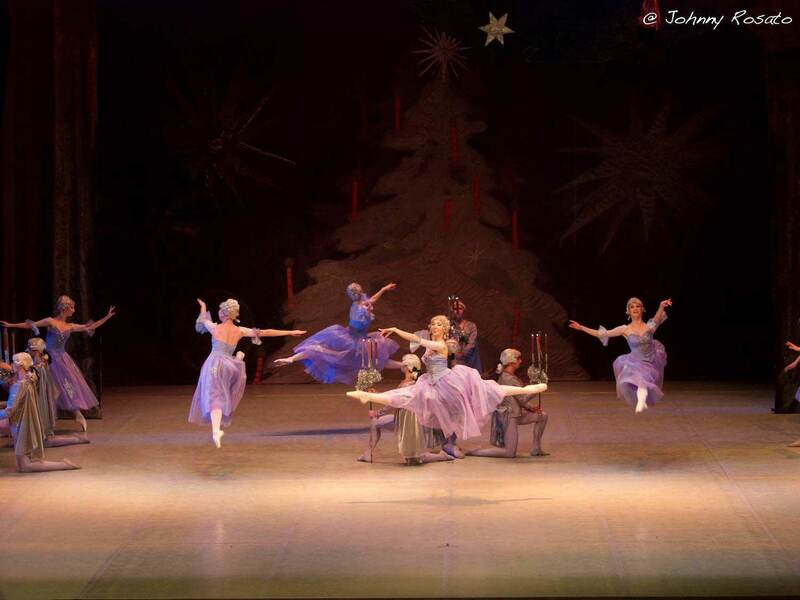 The pioneers Anastas Petrov, Nina Kirajieva, Penka Encheva, Zhivko Biserov, Asen Gavrilov, Krum Yankov educate pupils of theirs, who successfully replace them on the stage – Vera Kirova, Krasimira Koldamova, Kalina Bogoeva, Margarita Dimitrova, Tzveta Djumalieva, Itchko Lazarov, Anton Stoynov, Emilia Kirova, Anastas Samev. 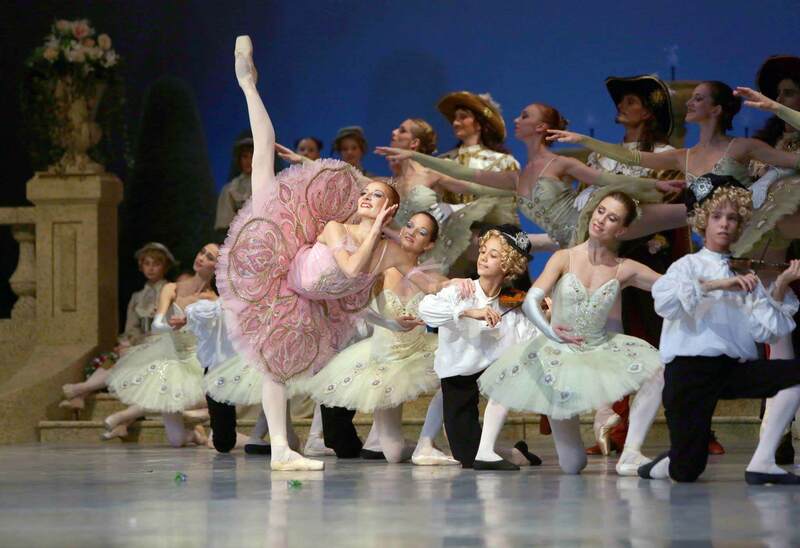 They themselves train the future ballet generations – Baser Deyanov, Evgenia Krusteva, Boyko Nedelchev, Mariana Deneva, Ivan Tzanov, Yasen Valchanov, Alexander Alexandrov, Roumen Rashev, Maria Ilieva, Georgi Syarov, Dilyana Nikiforova, Vesa Tonova, Darina Bedeva, Mariana Krancheva, Rosen Kanev, Trifon Mitev, Kaloyan Boyadjiev and young Marta Petkova, Nikola Hadjitanev, Boryana Petrova, Tsetso Ivanov, Emil Iordanov, etc. 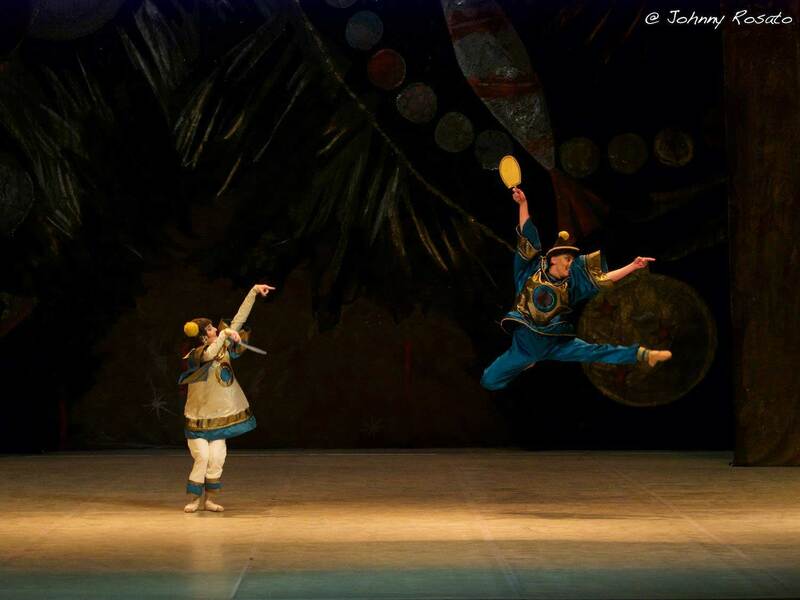 The dancers of the National troupe are alumni of the National School of Dance Arts in Sofia and also the Moscow Academic Ballet School and the State Academic School of Choreography “A.Y.Vaganova” in St. Petersburg. 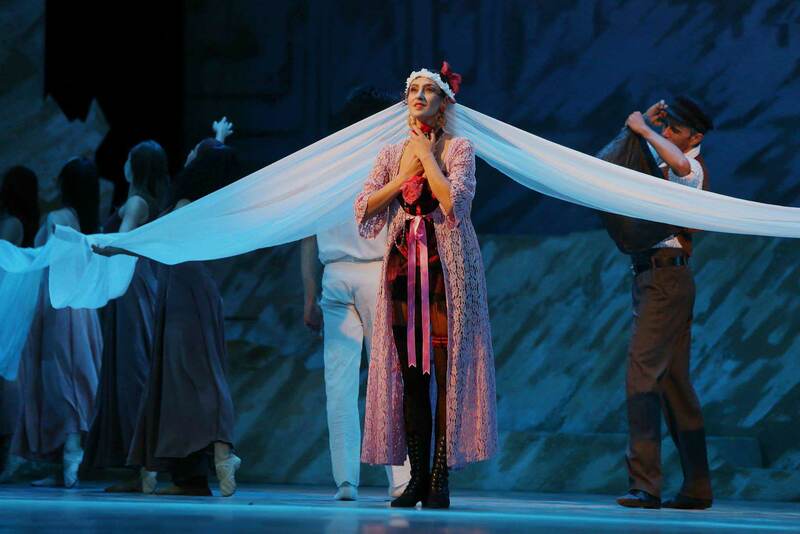 Over the past years directors of the troupe have been the eminent artists Petar Lukanov, Hikmed Mehmedov, Yasen Valchanov, Maria Ilieva, Silvia Tomova. 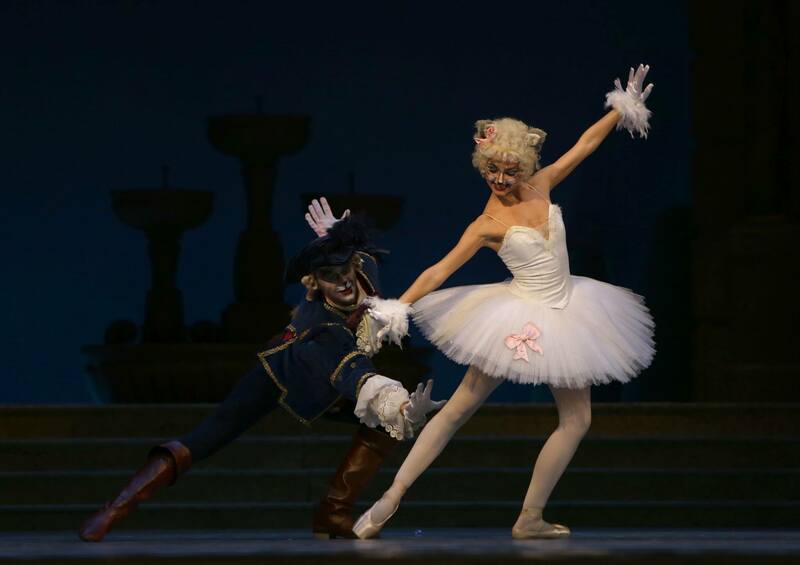 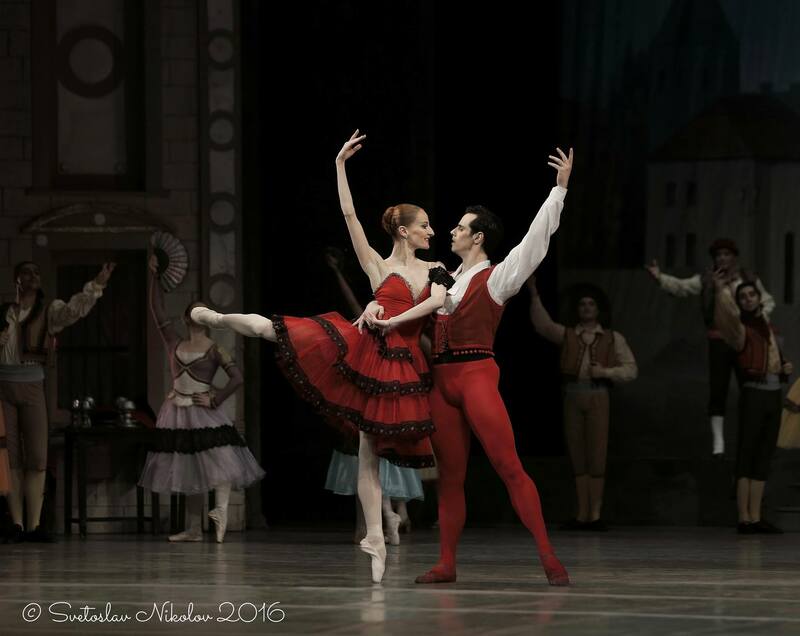 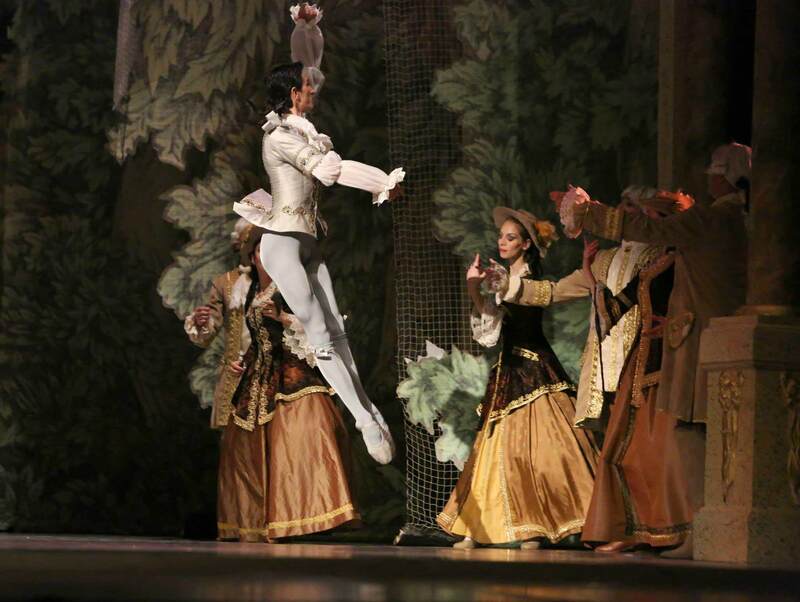 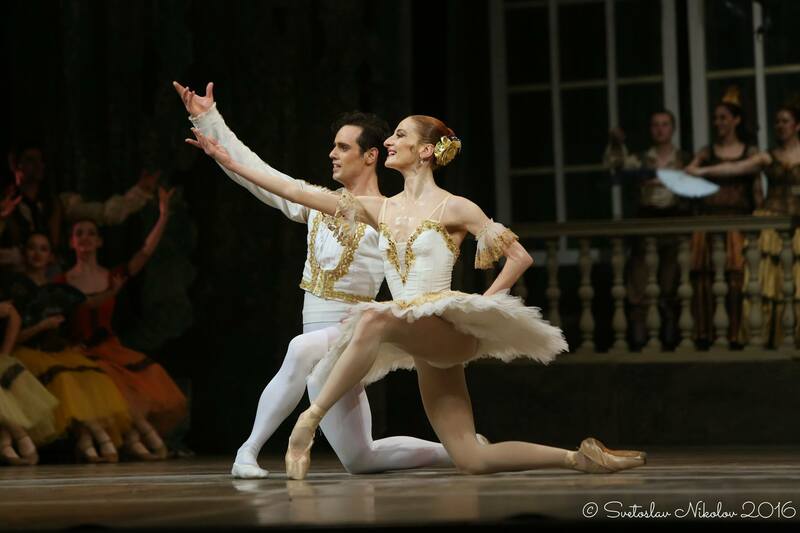 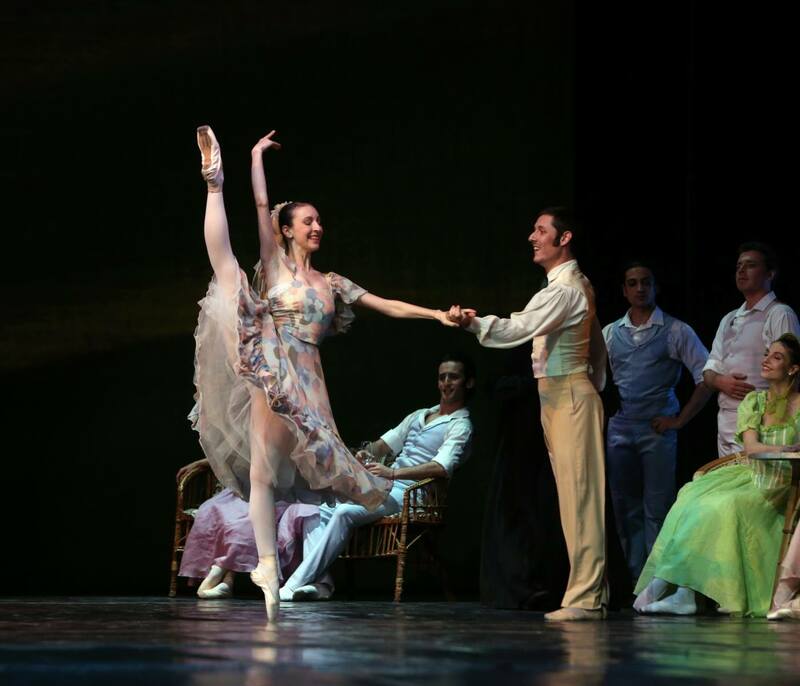 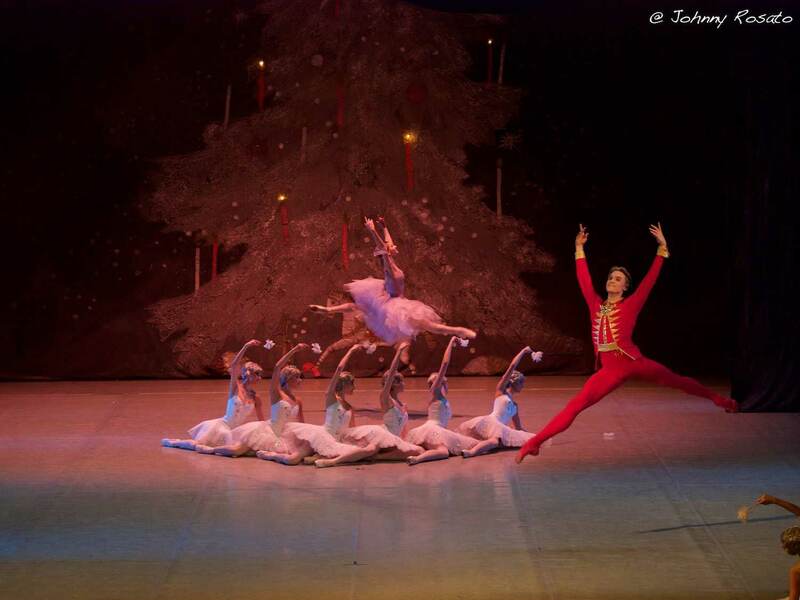 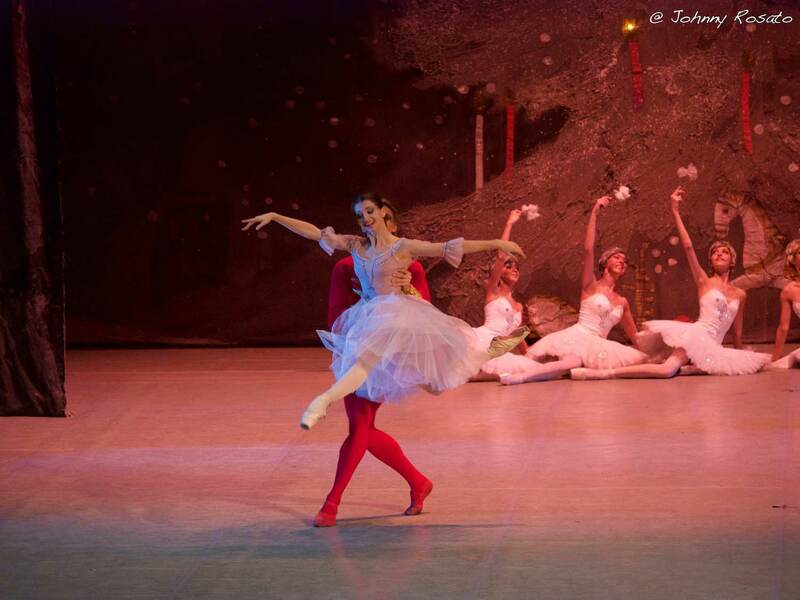 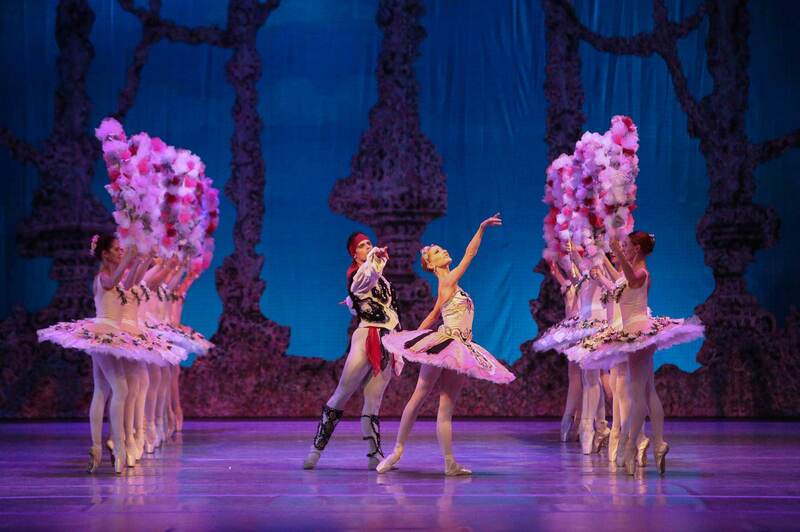 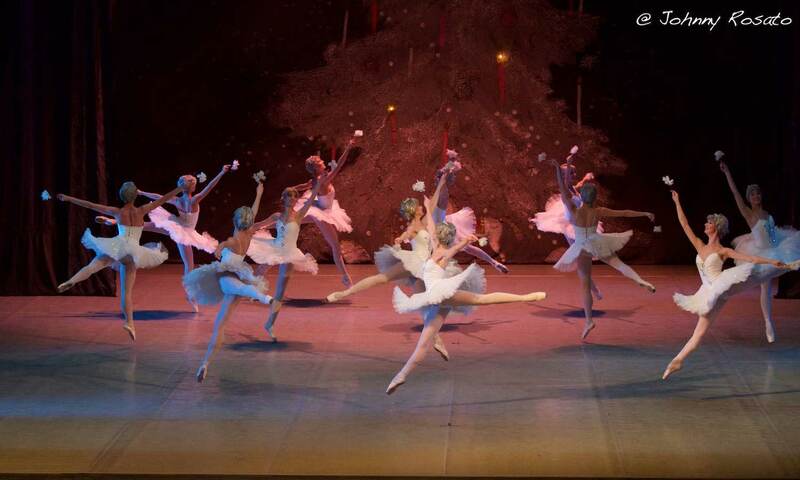 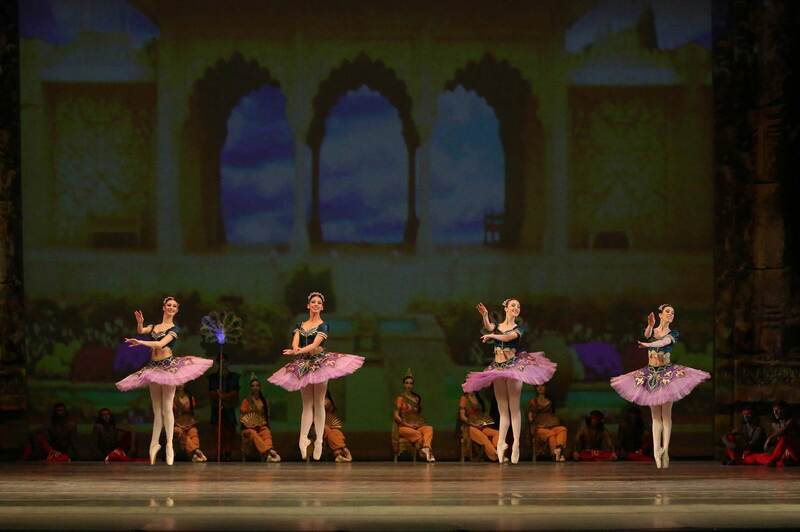 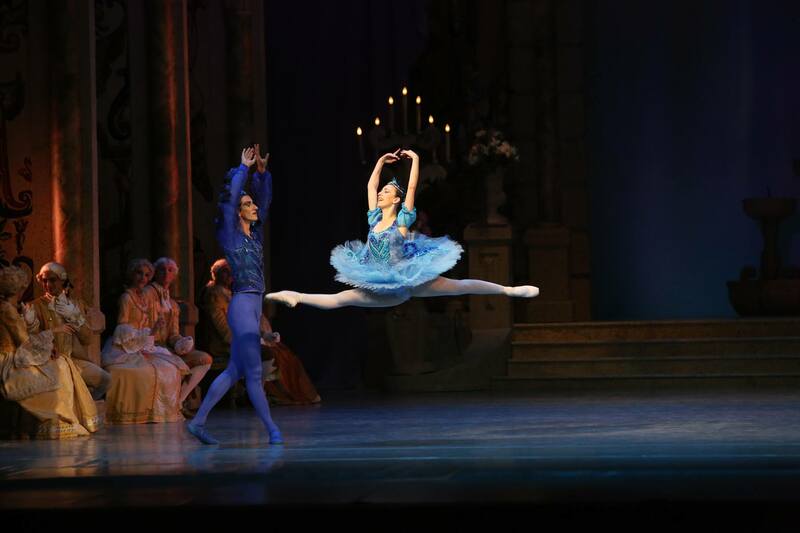 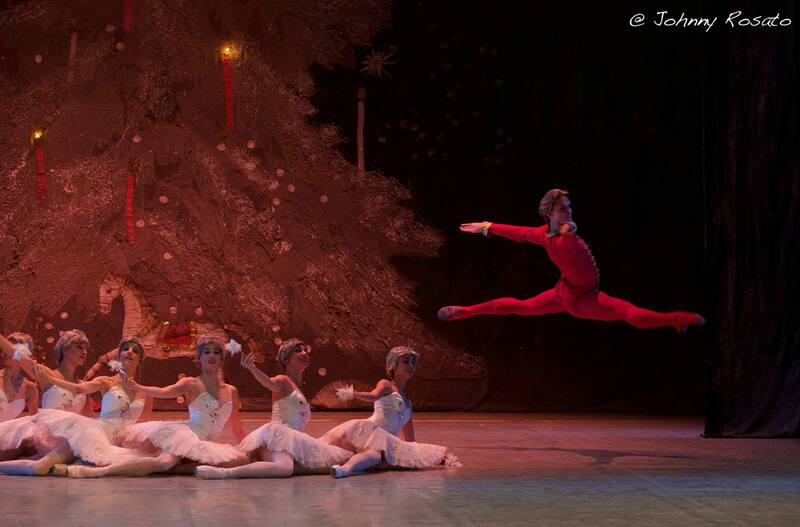 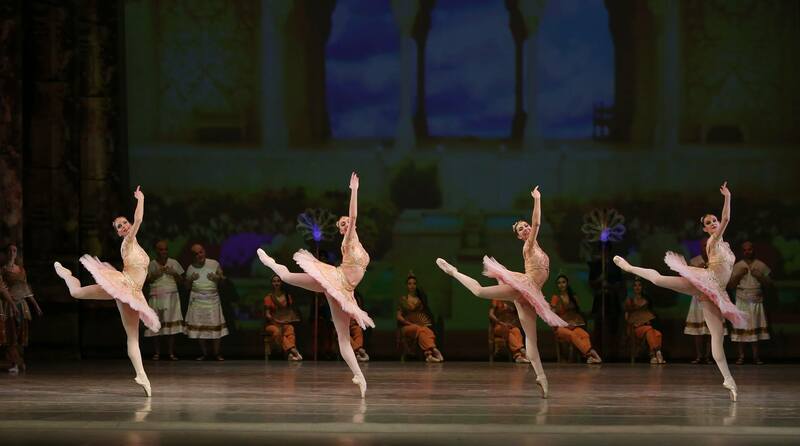 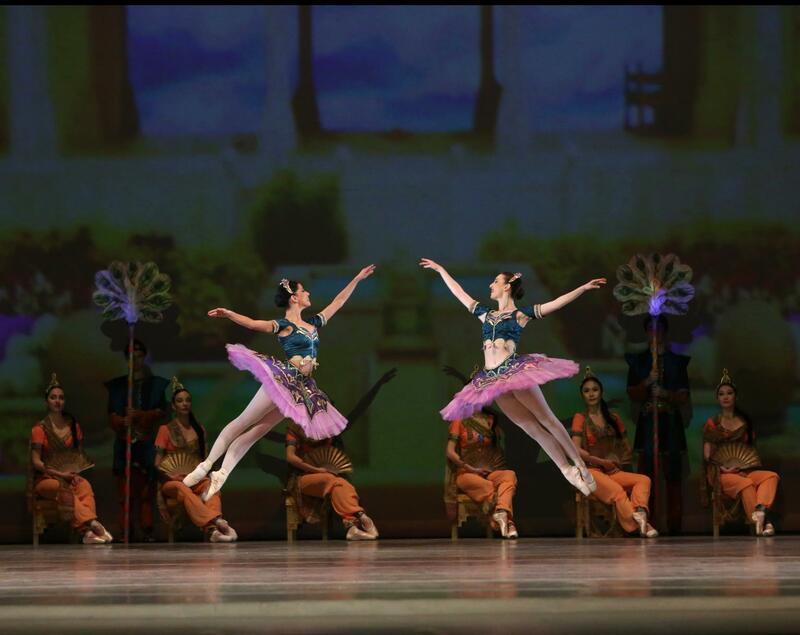 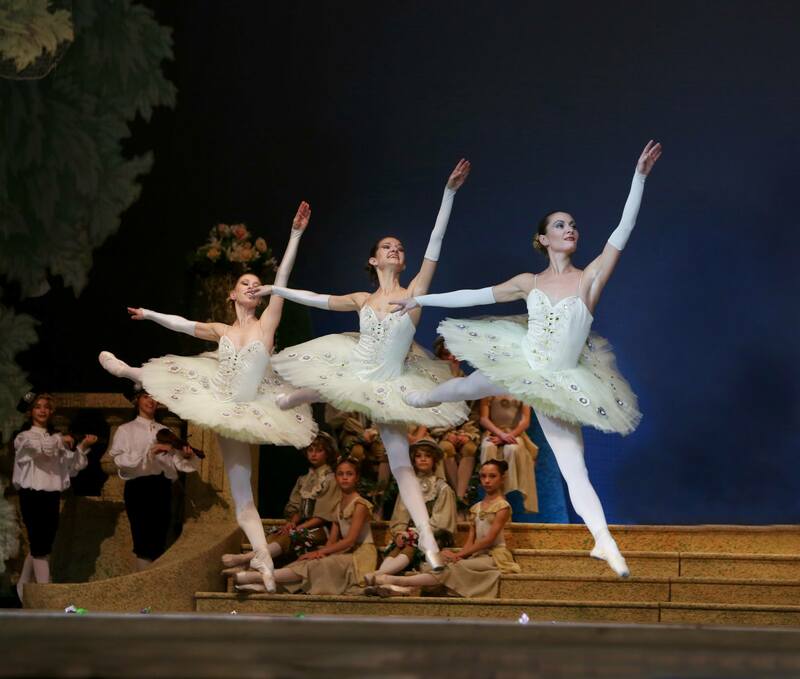 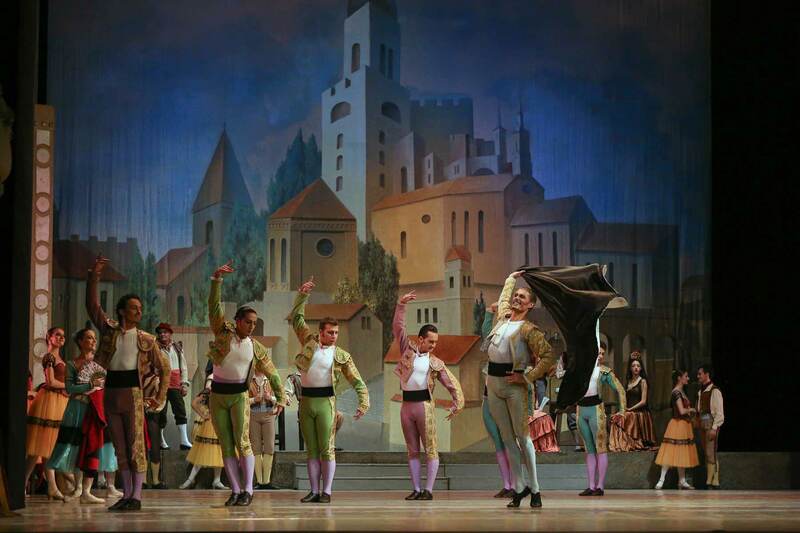 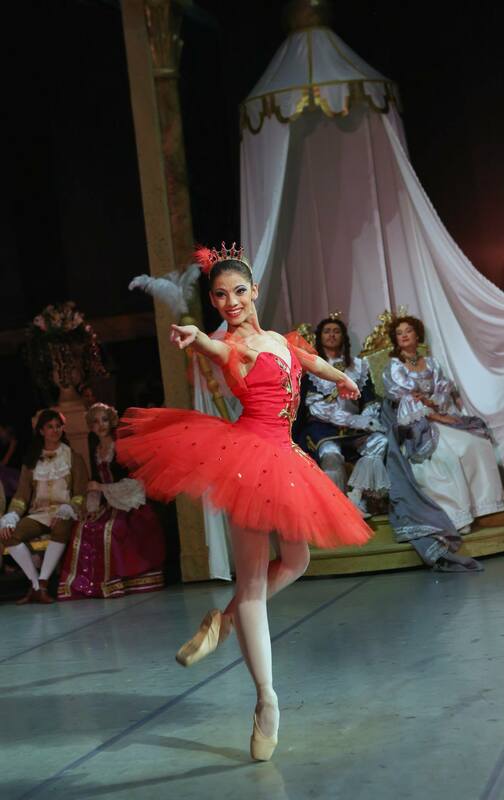 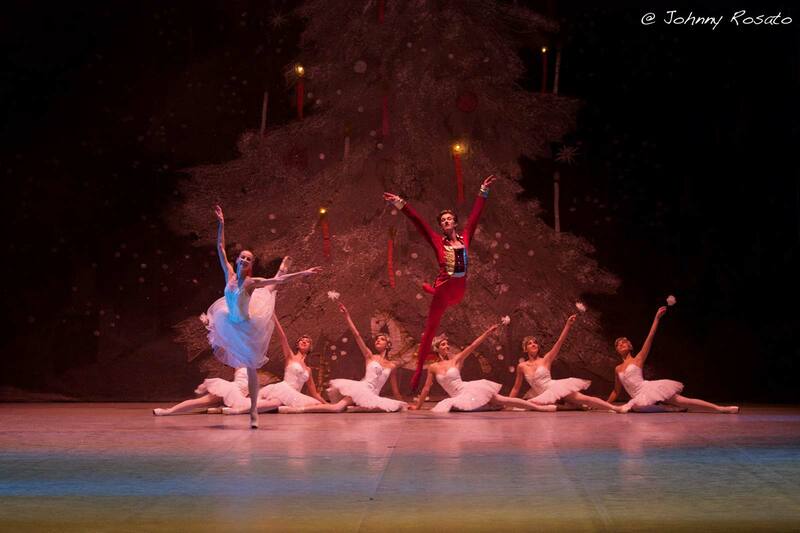 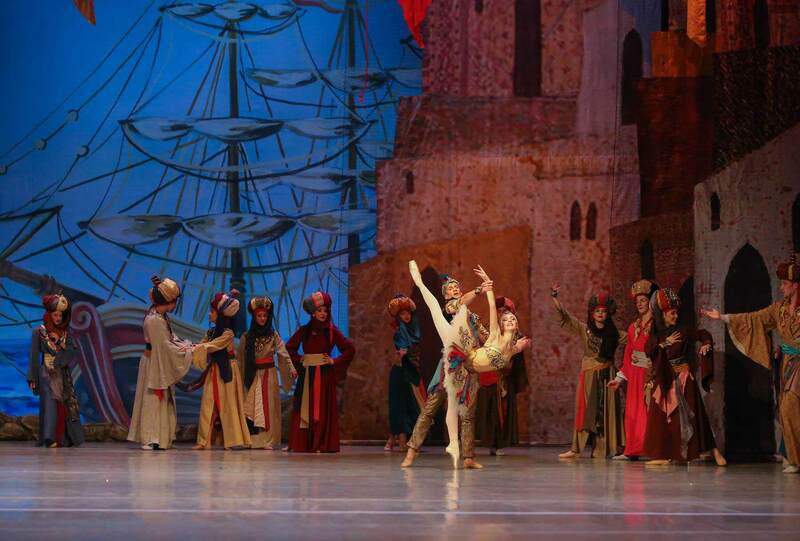 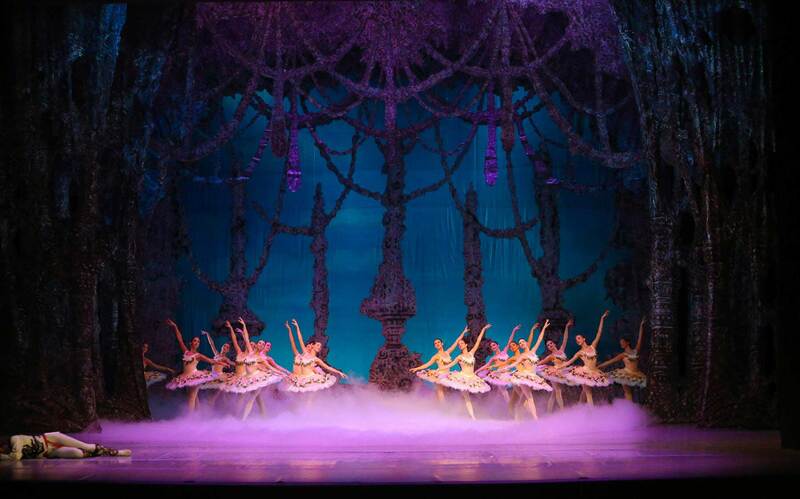 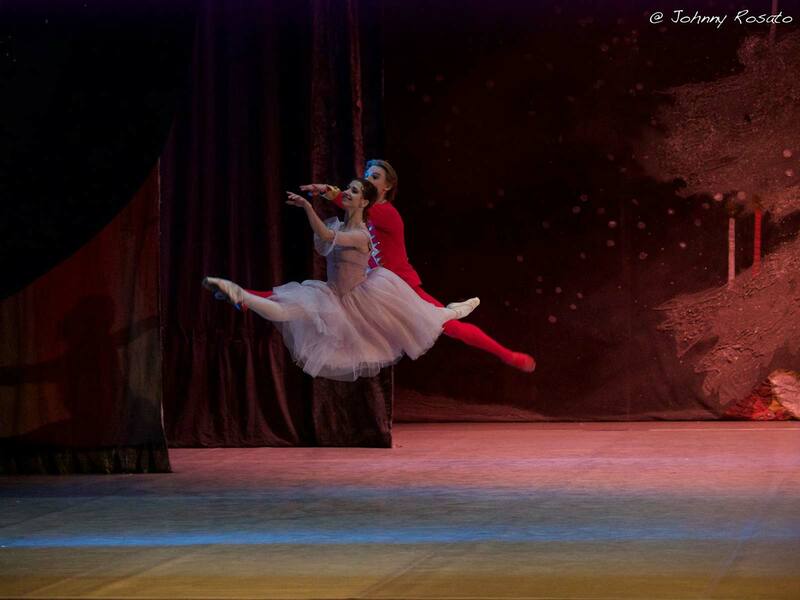 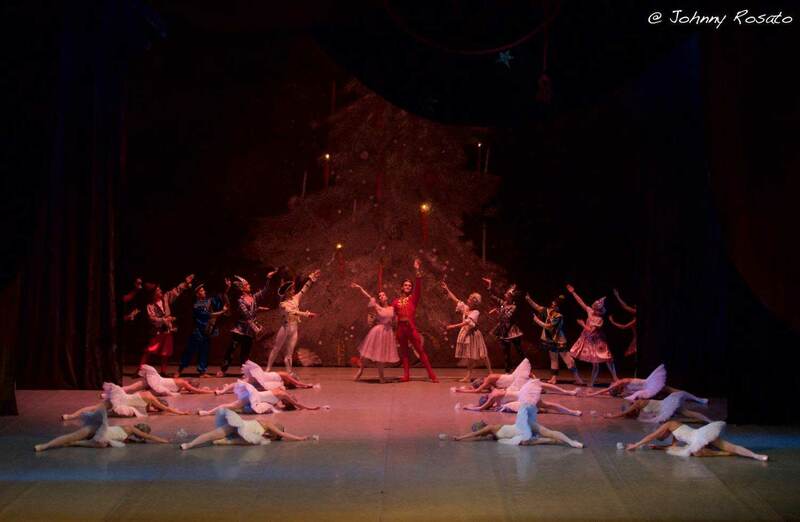 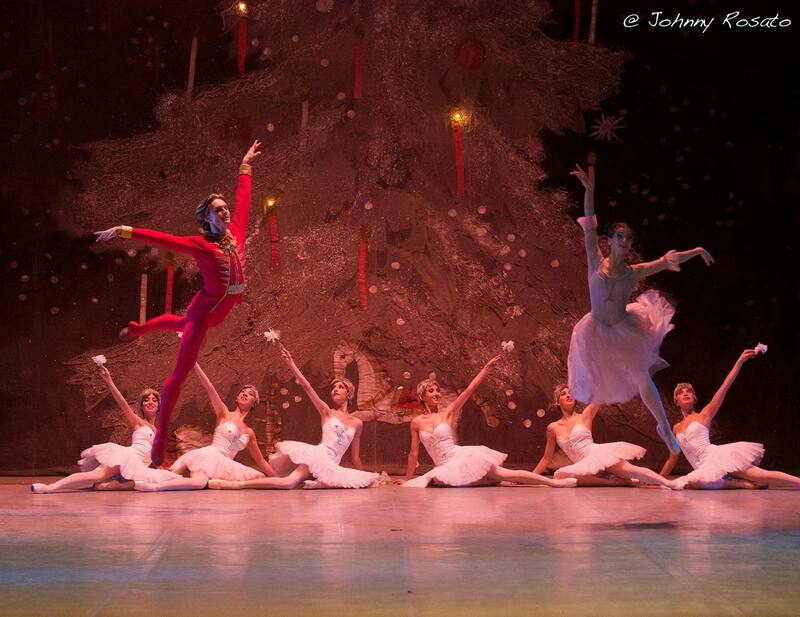 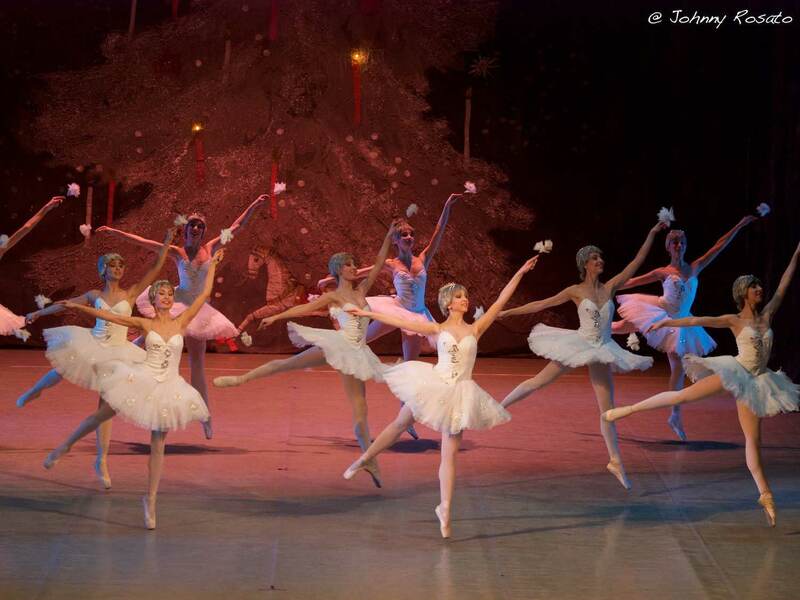 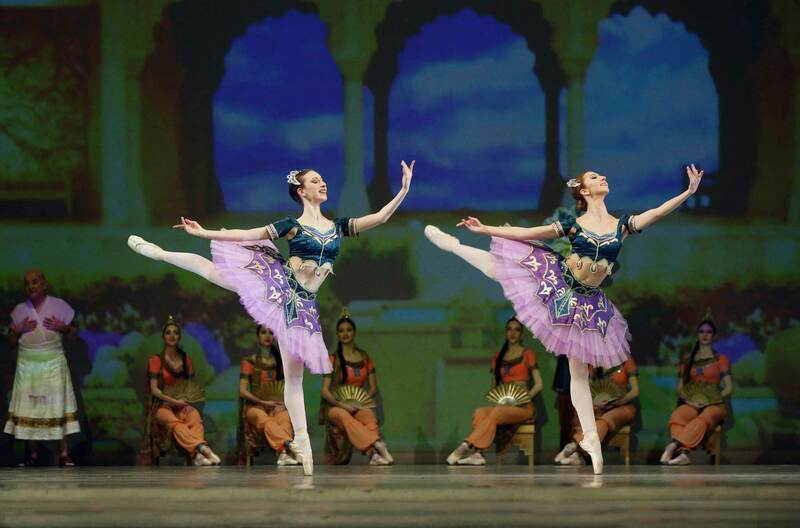 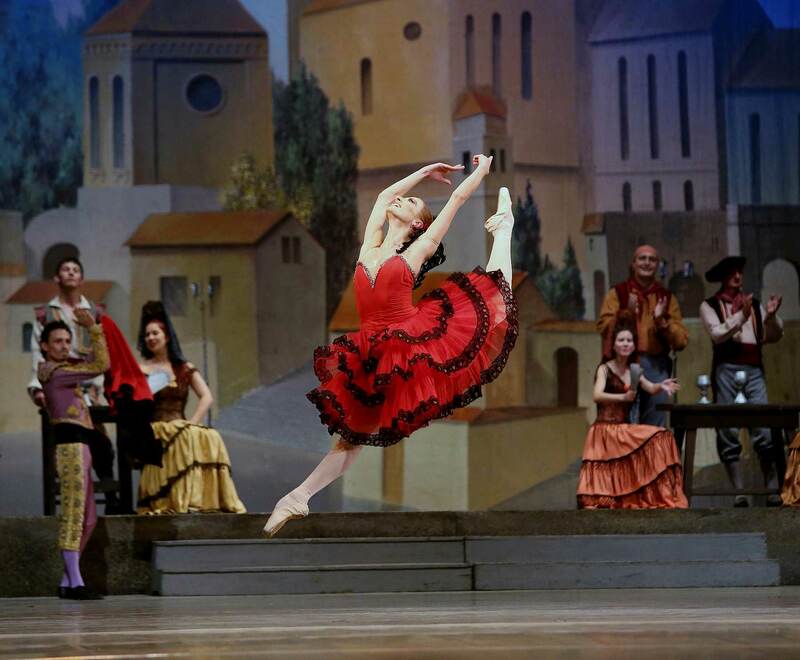 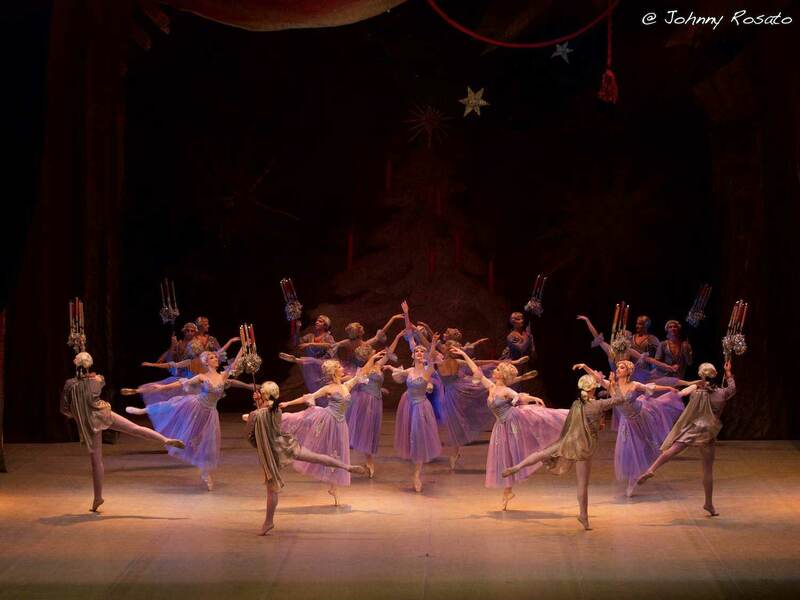 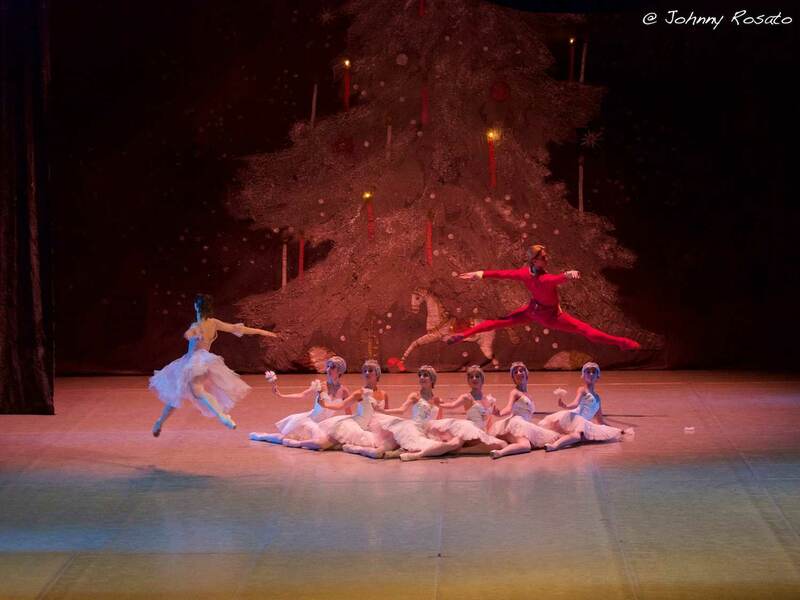 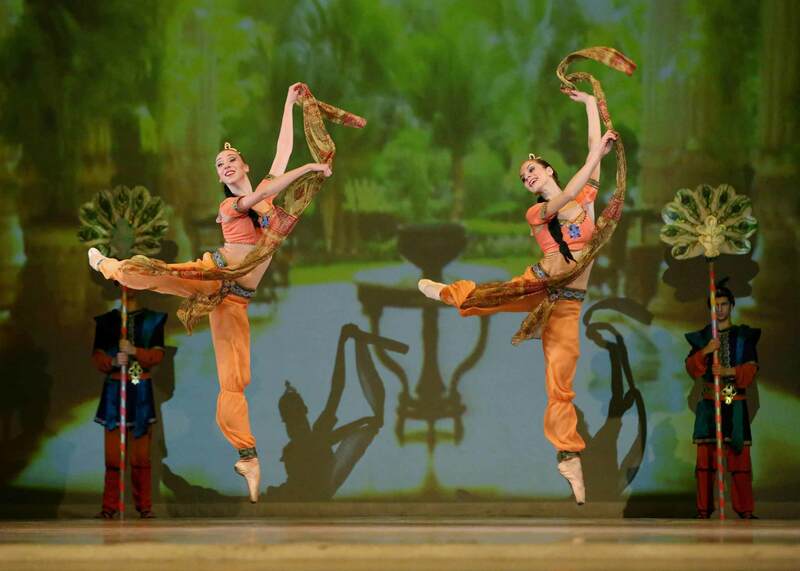 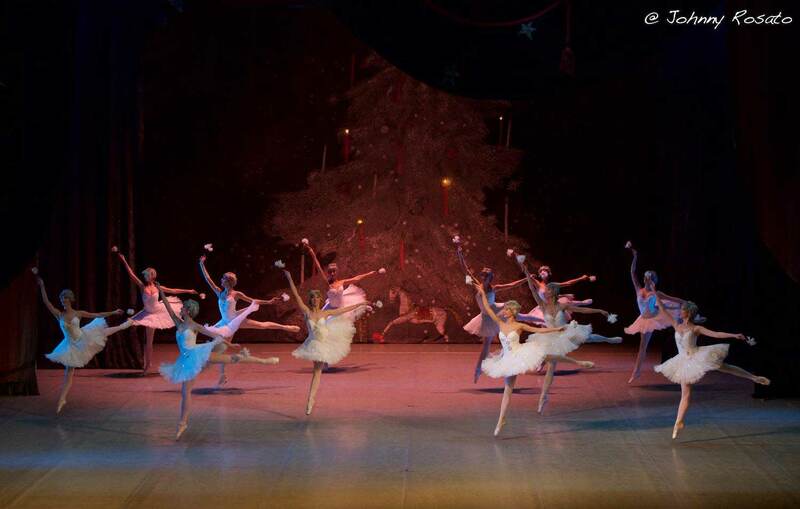 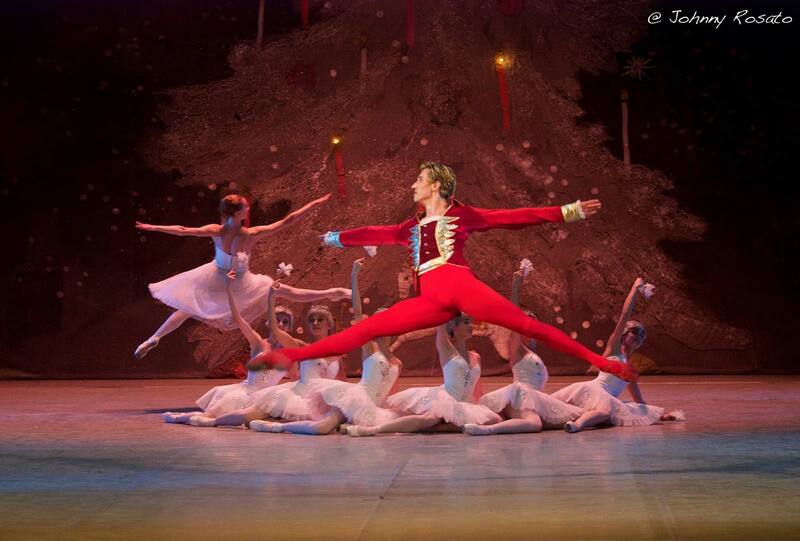 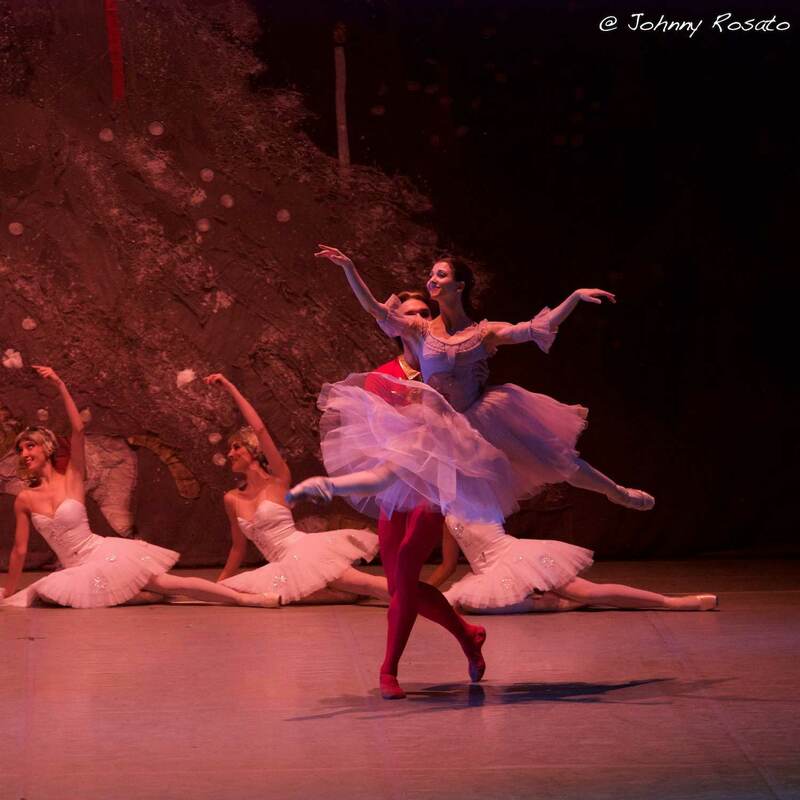 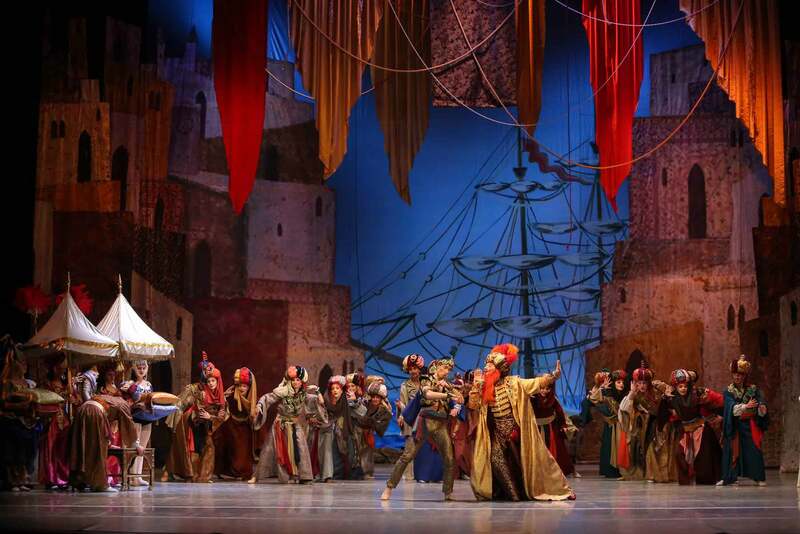 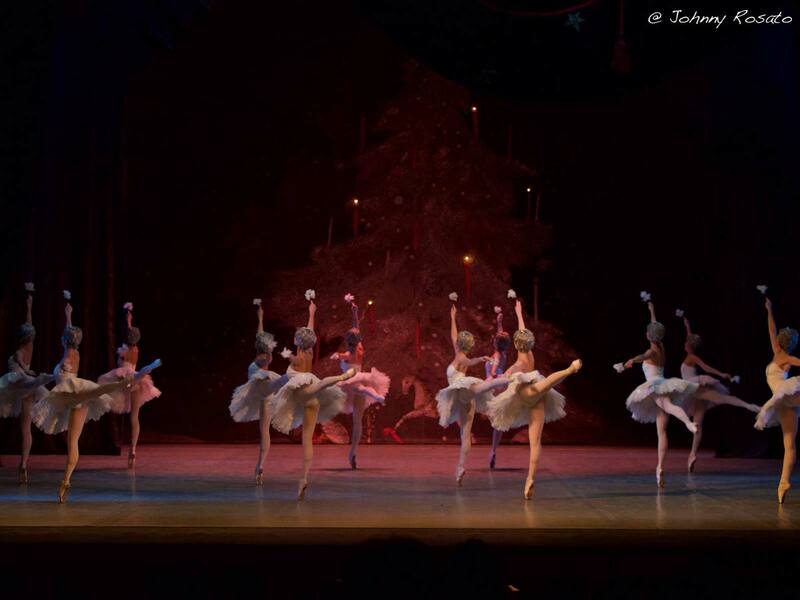 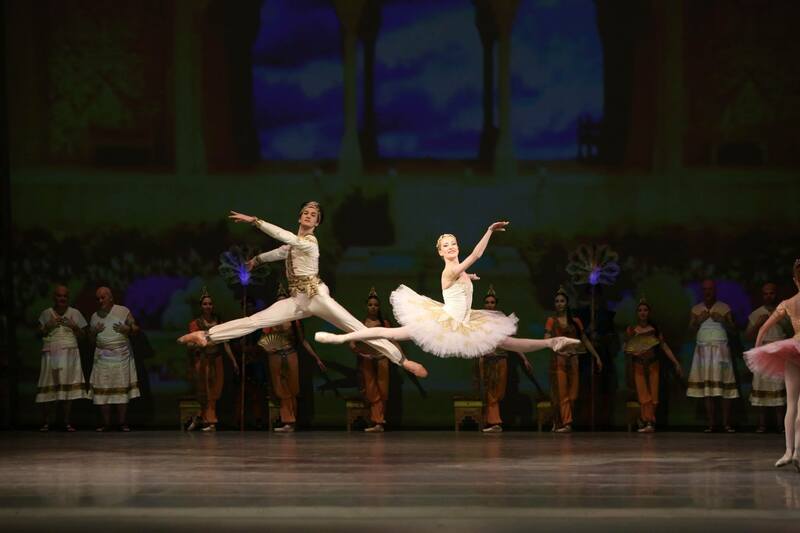 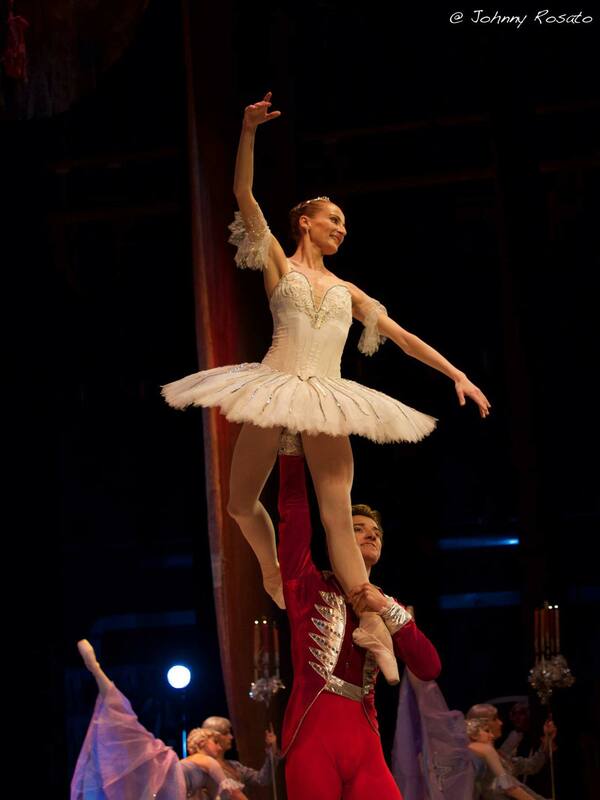 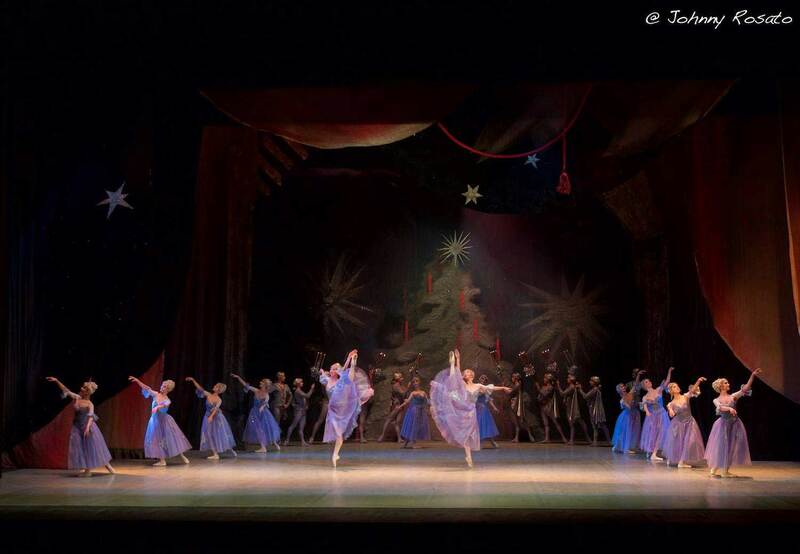 The National Ballet Sofia has performed with great success abroad with whole performances and concert programs. 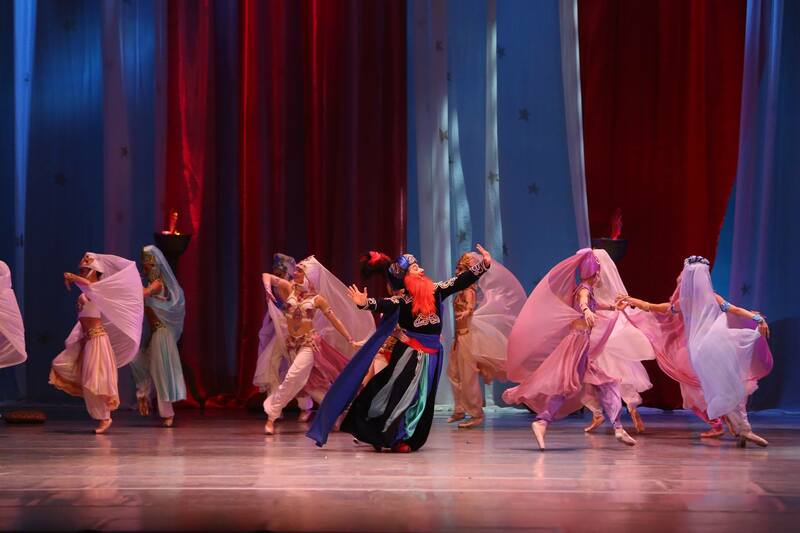 Highly appreciated is its participation in a succession of the international music festivals. 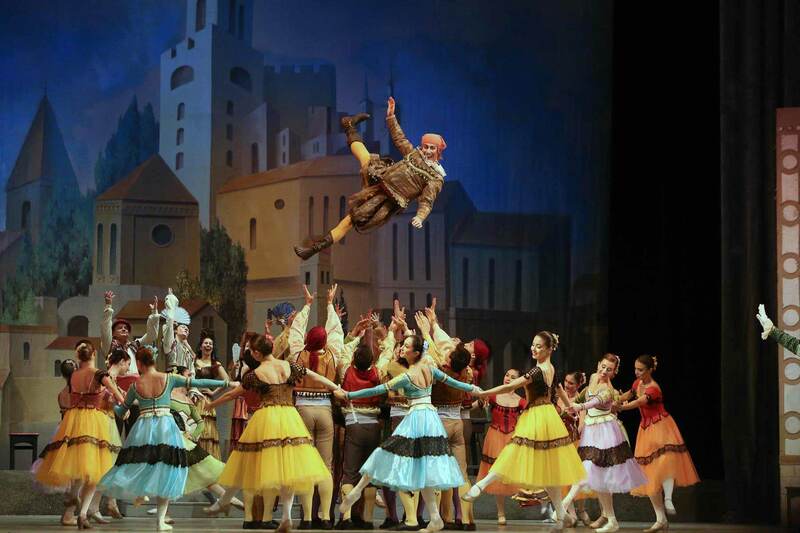 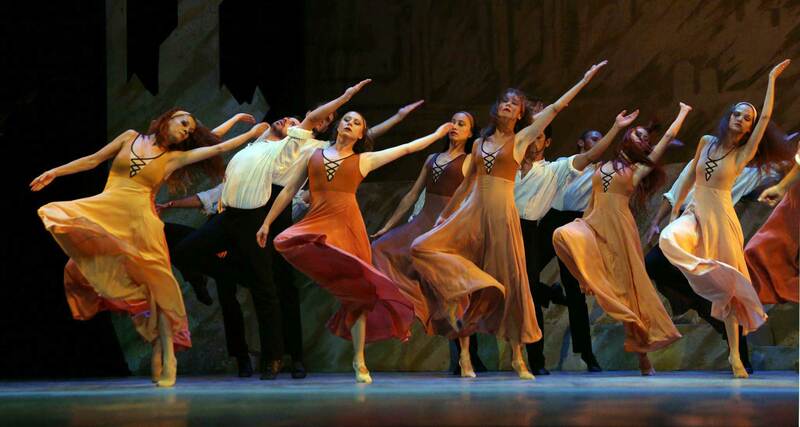 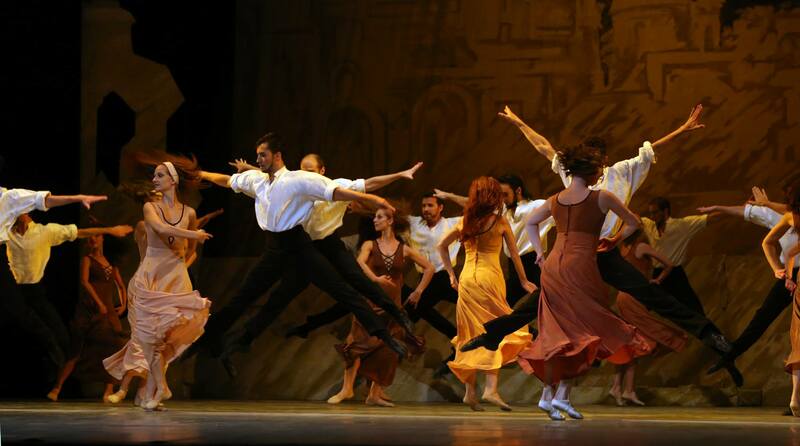 Triumph of Bulgarian ballet in Europe. 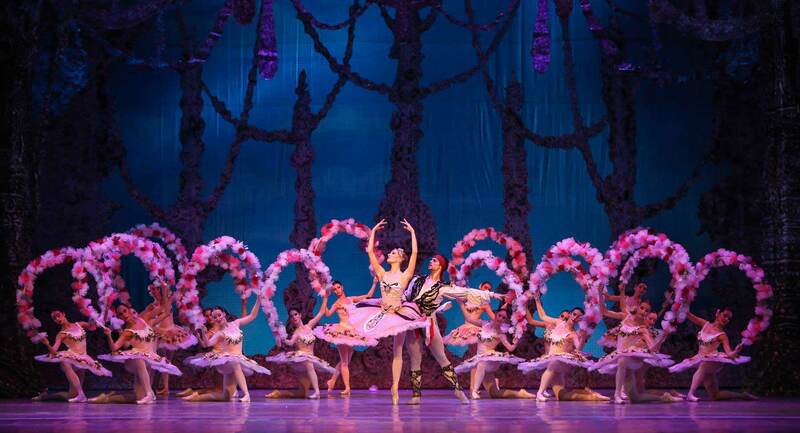 I must most sincerely say that the artists from the National Ballet troupe are wonderful. 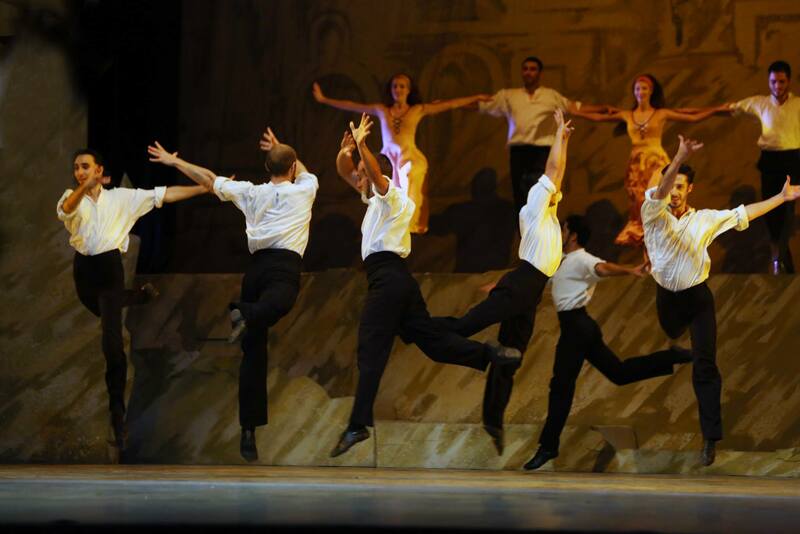 They have an impressive academic style. 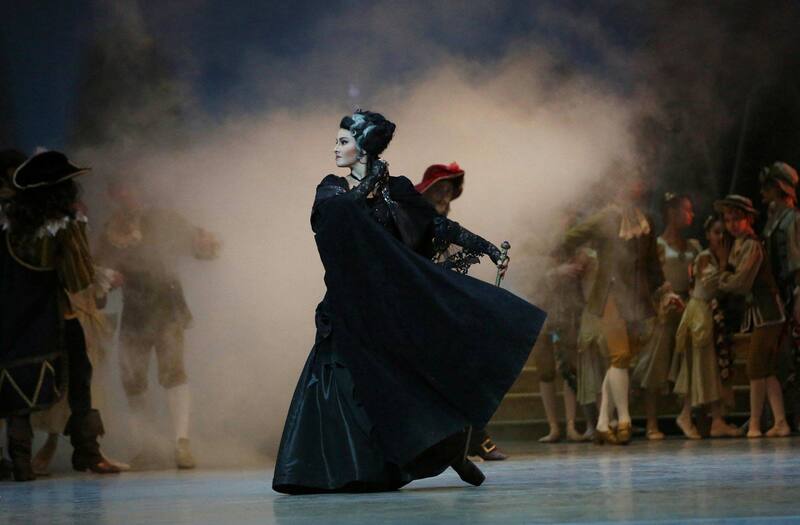 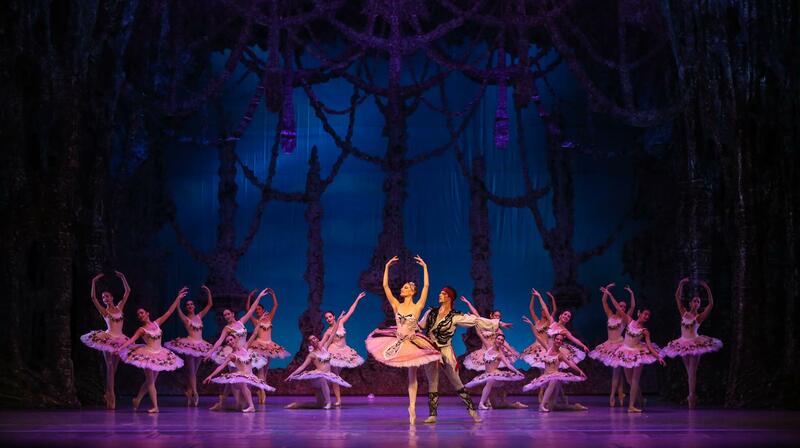 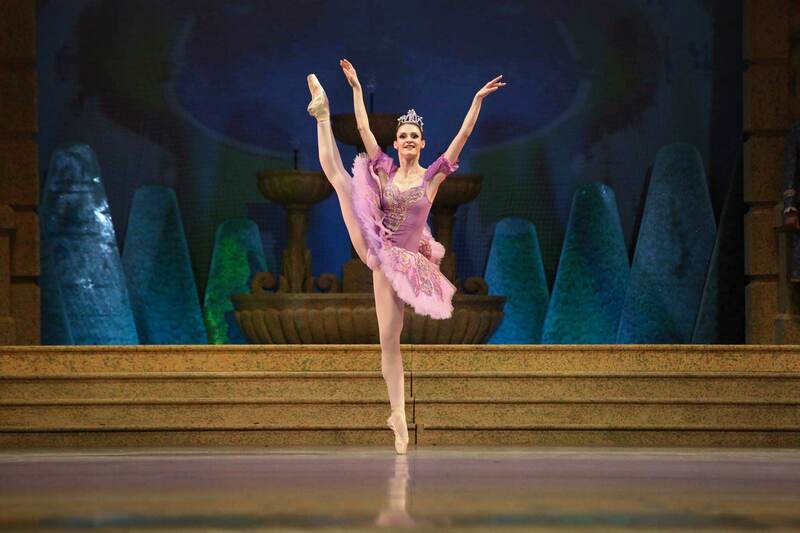 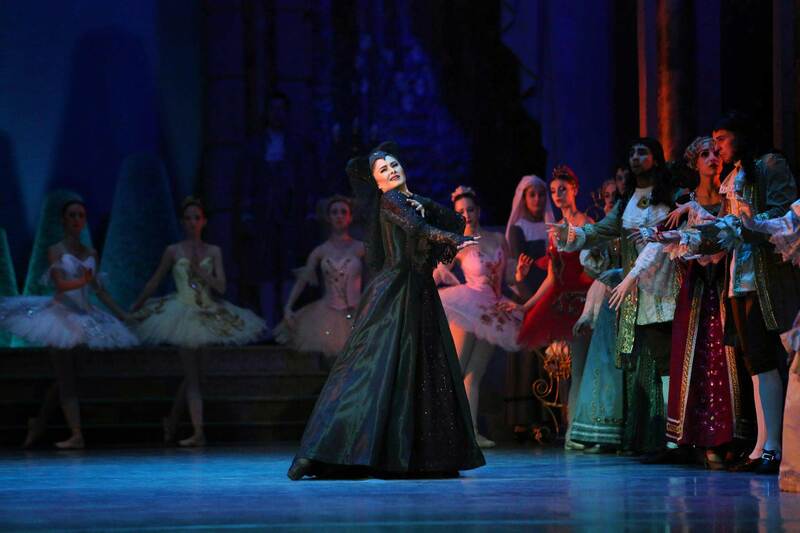 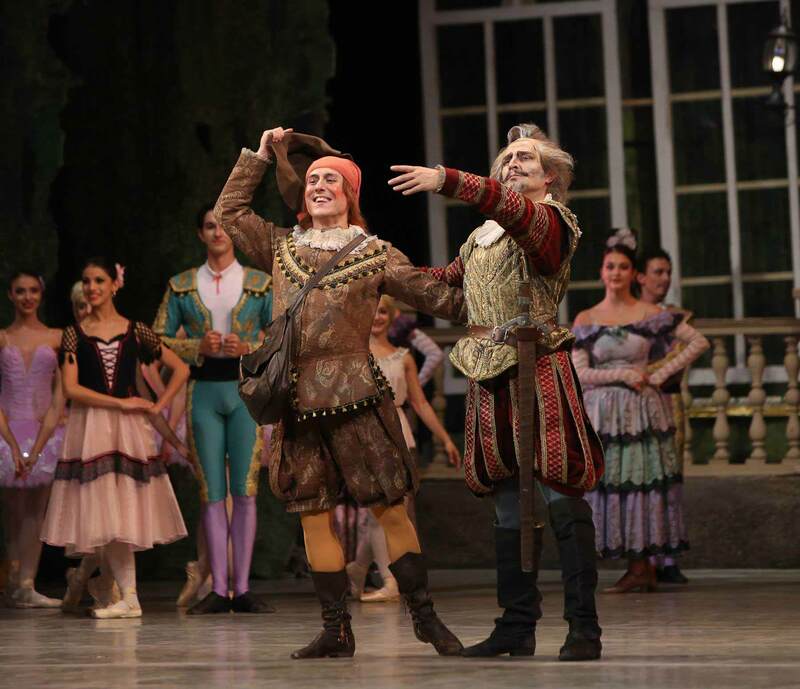 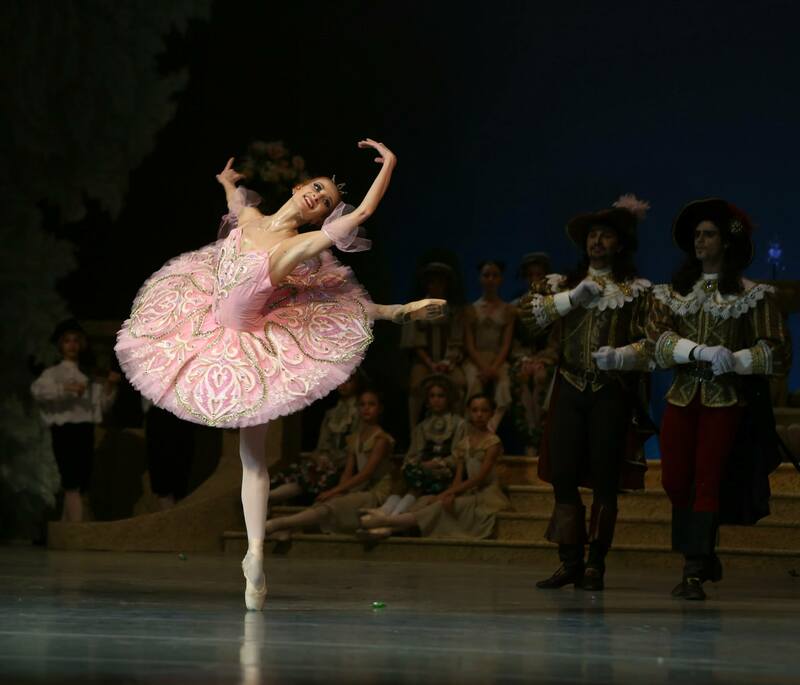 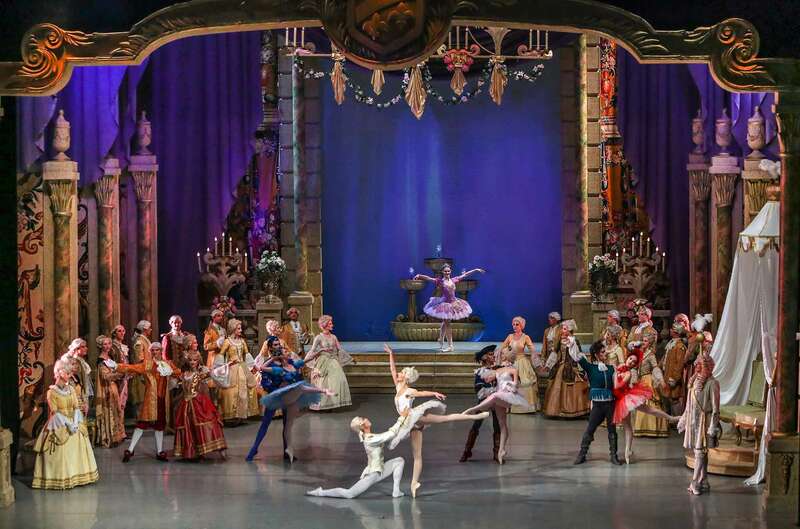 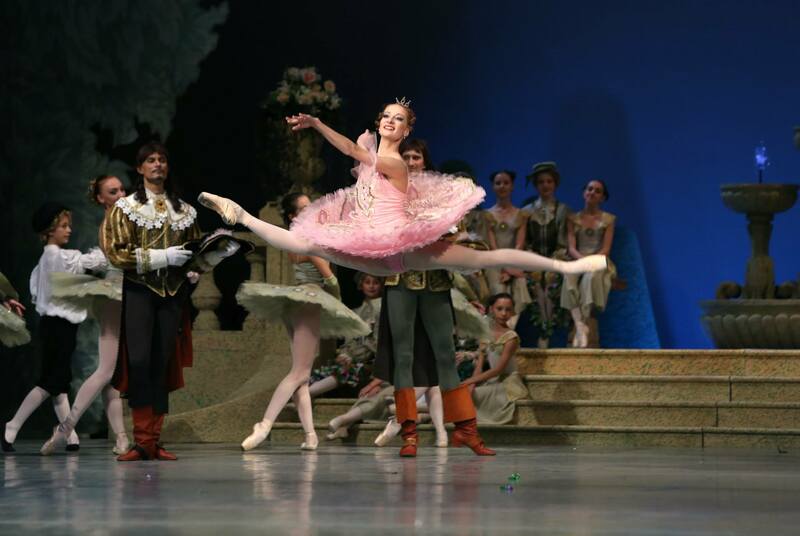 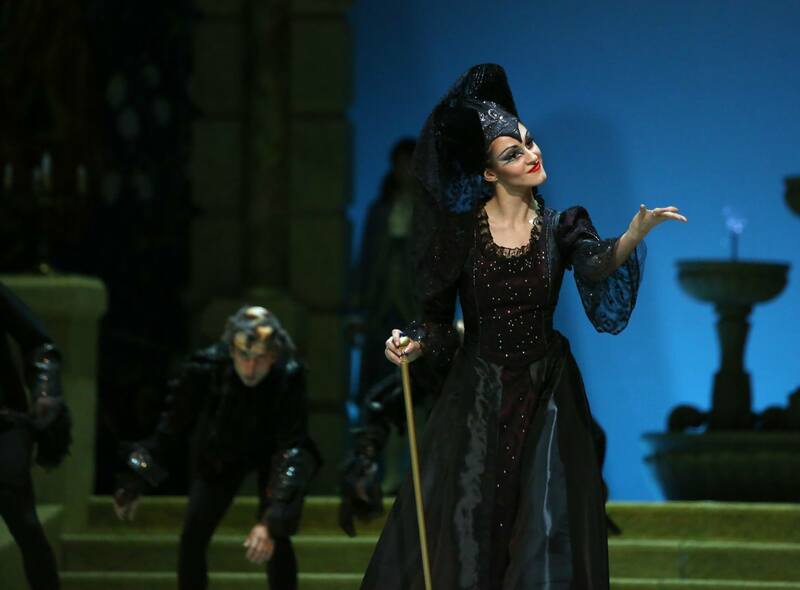 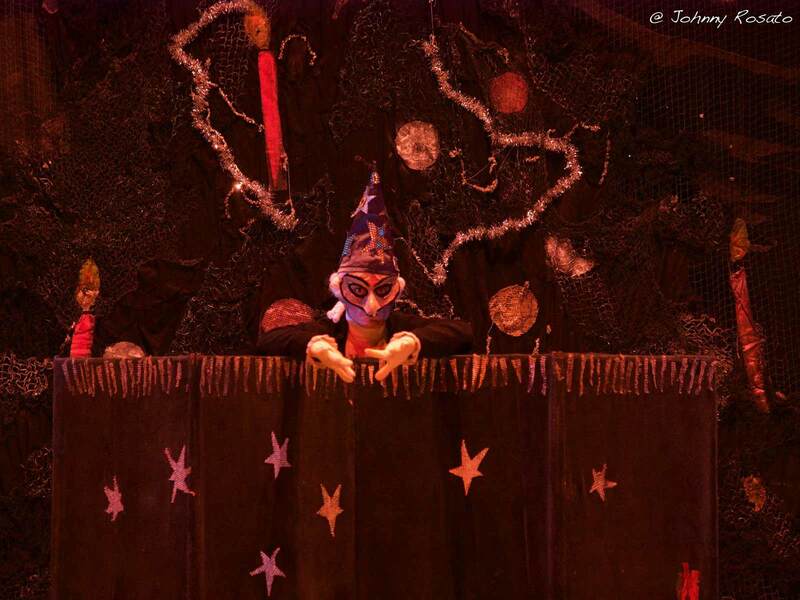 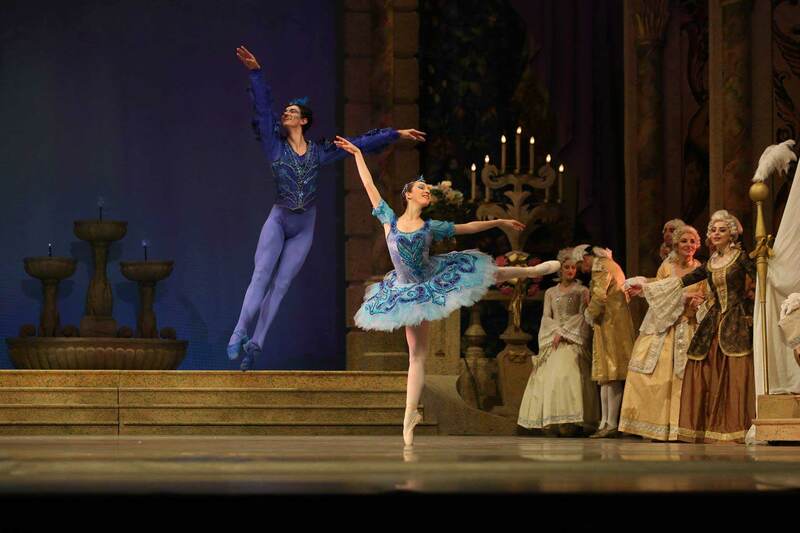 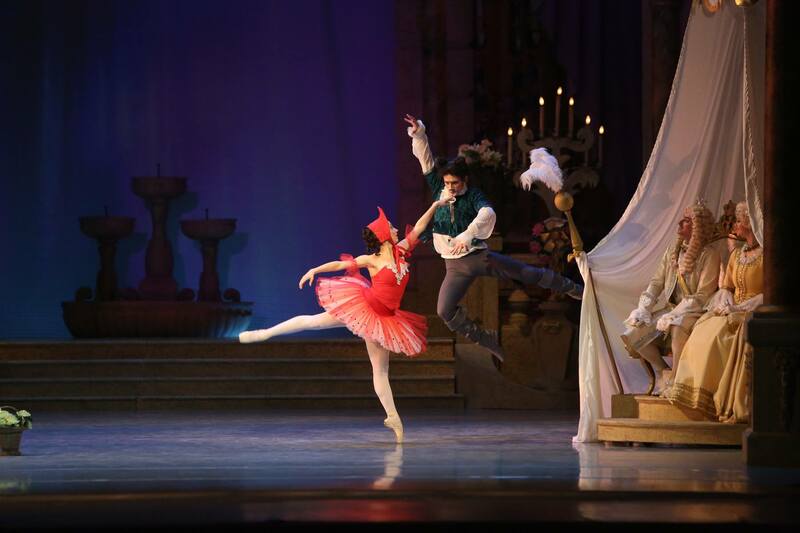 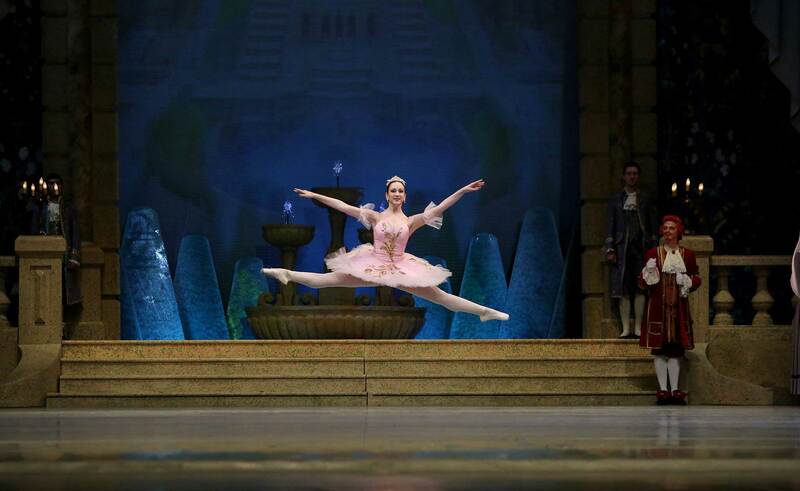 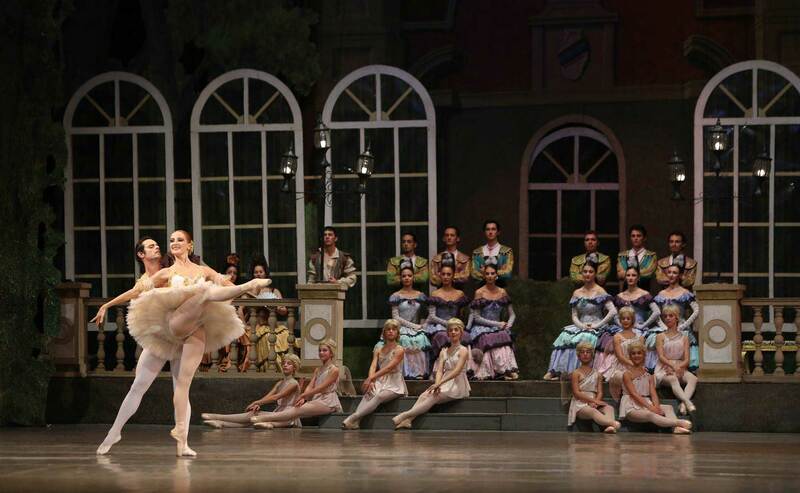 I was delighted by the premiere of “The Sleeping Beauty”. 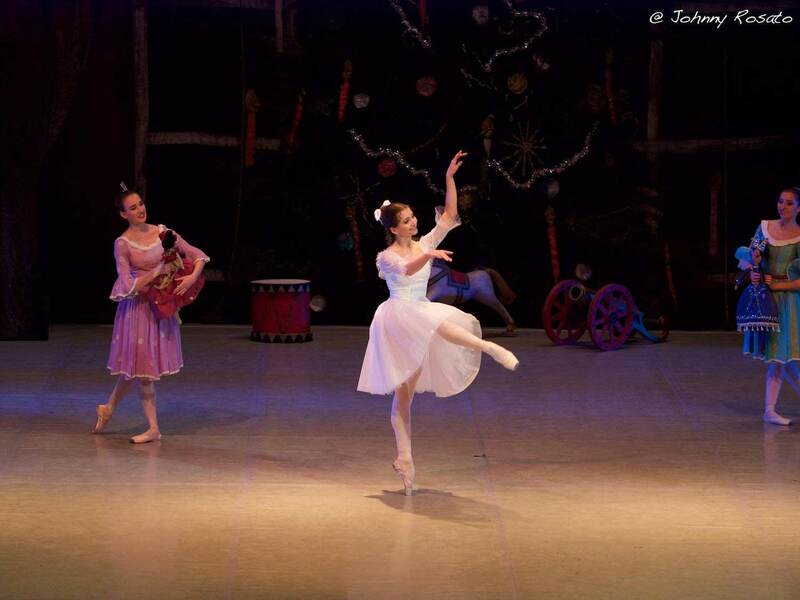 The performance of Aurora (Vesa Tonova), a ballerina of staggering qualities left me speechless. 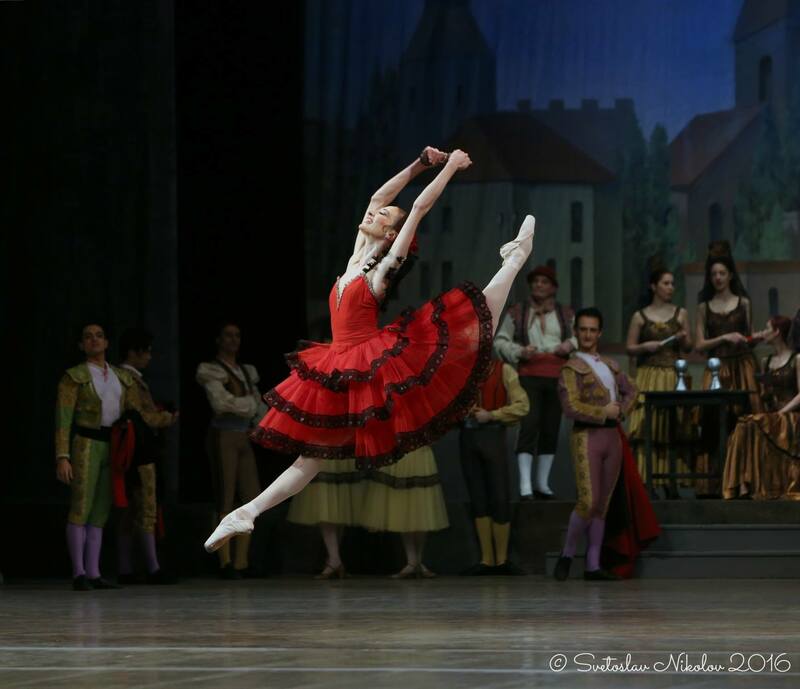 Her movements are graceful and pure, her arms are so expressive – they just took my breath away; her fouetté is explosive. 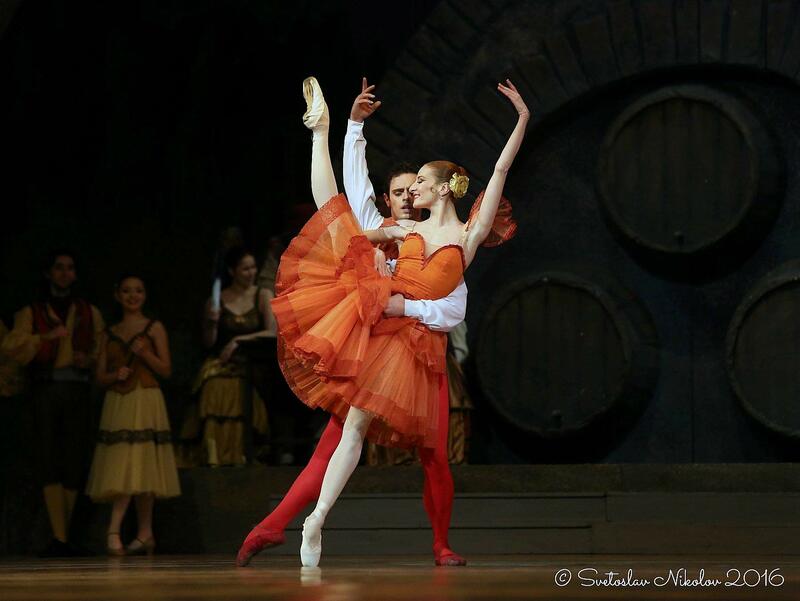 She is a ballerina of remarkable skills and professionalism, her performance observes the rules and makes me shiver. 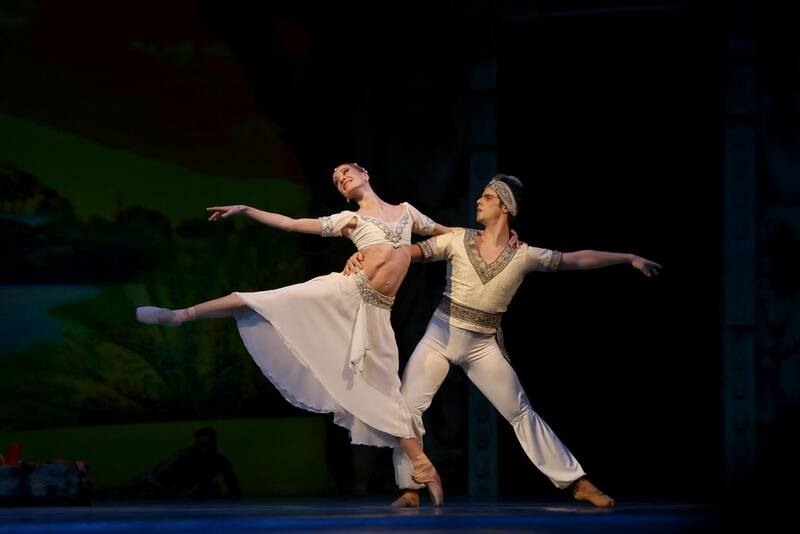 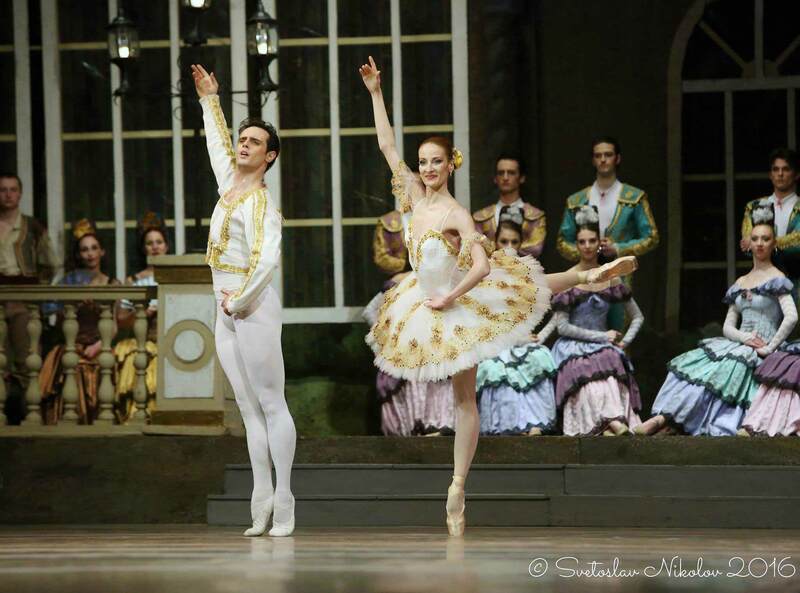 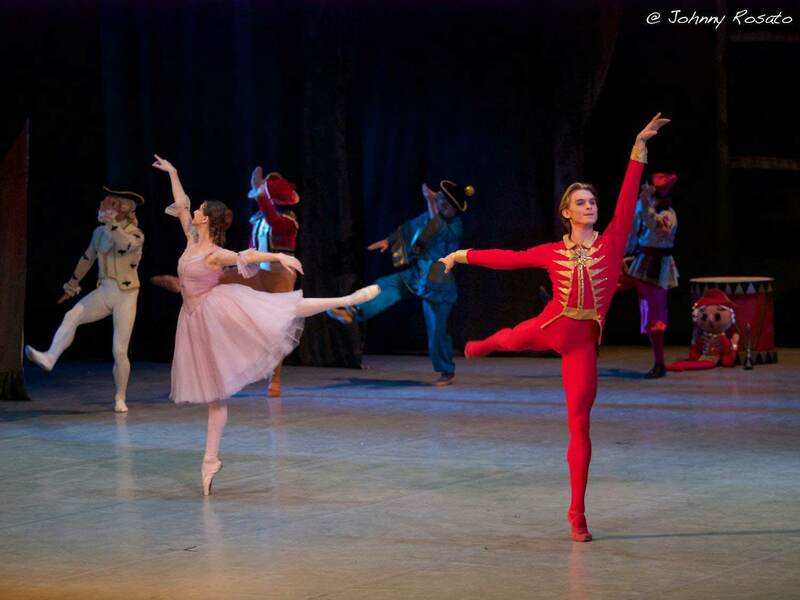 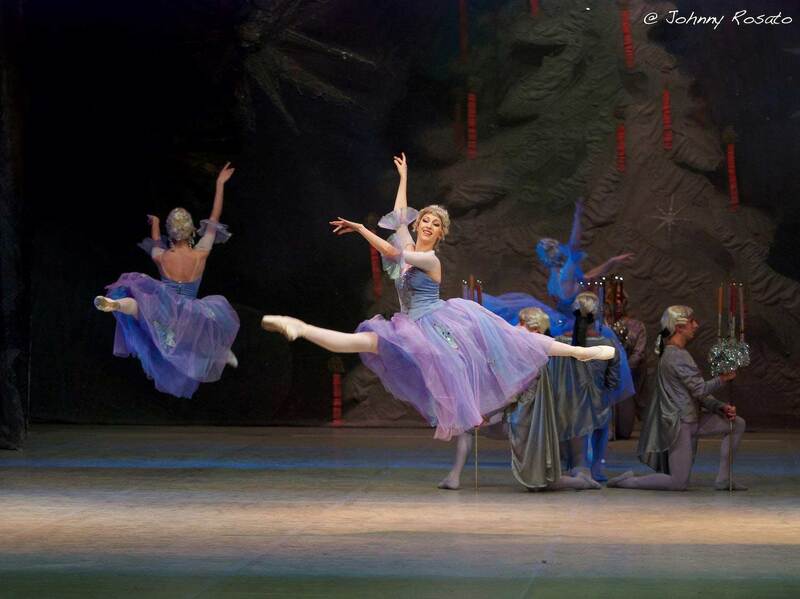 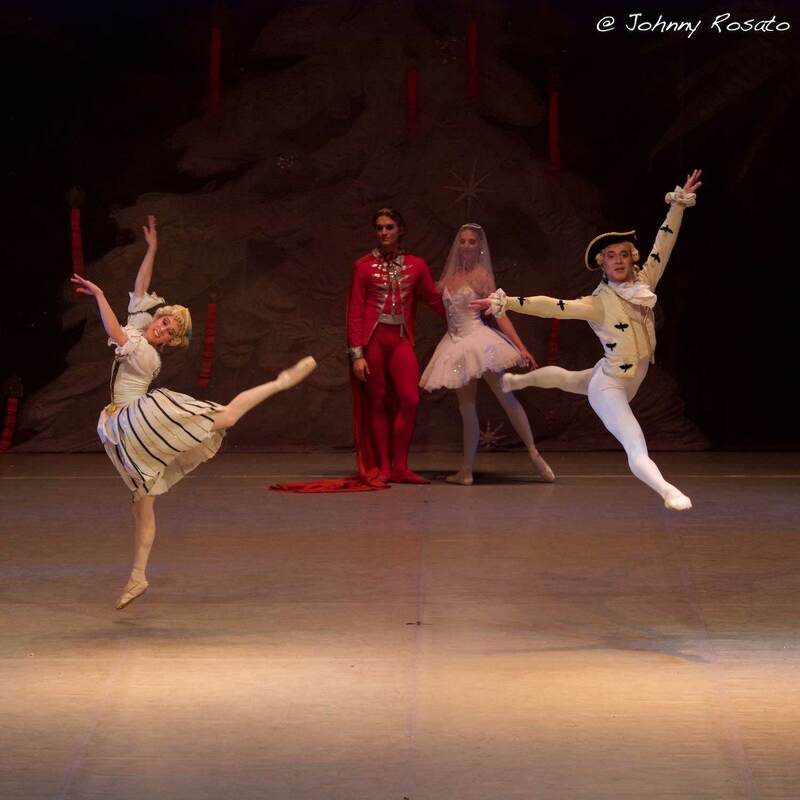 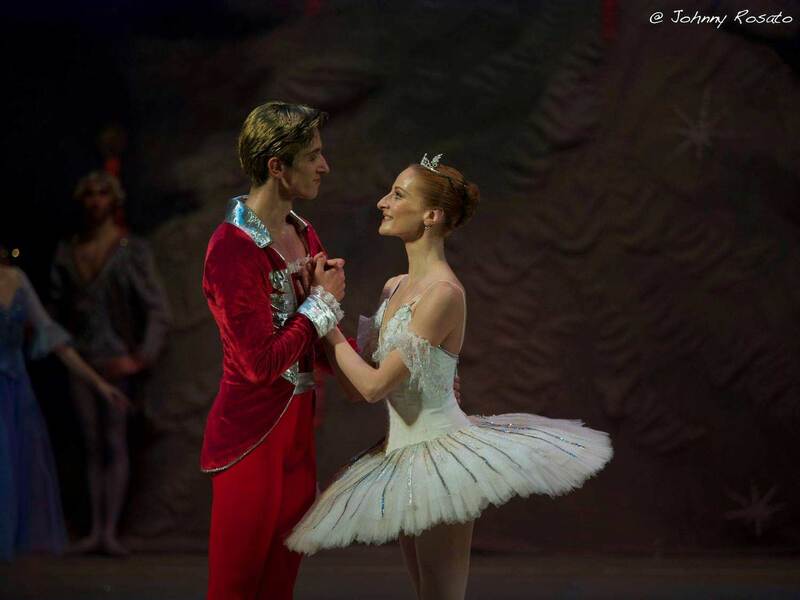 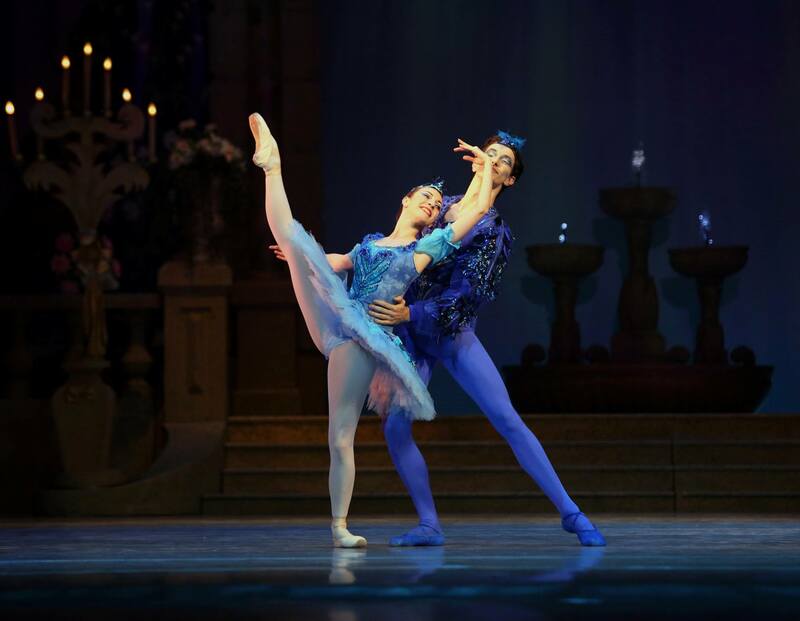 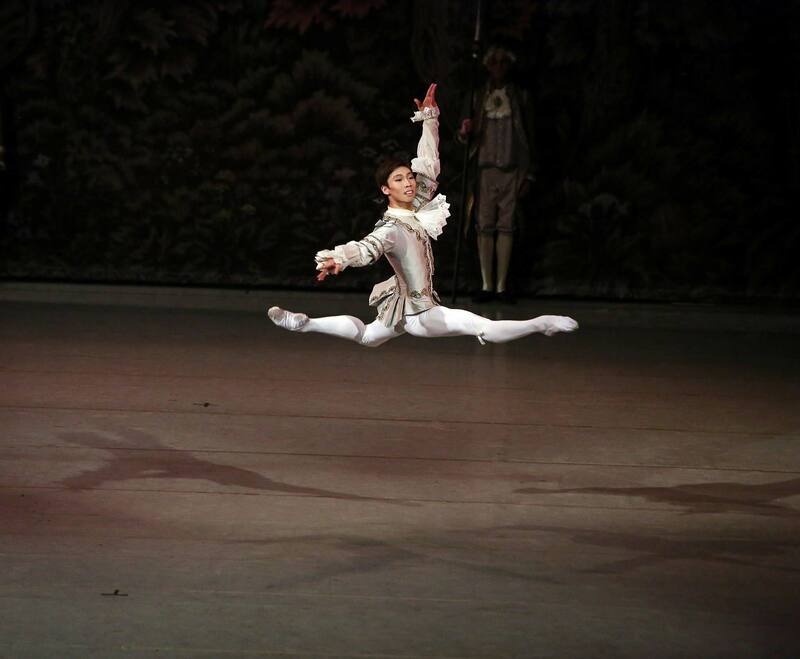 I was also impressed by the Lilac Fairy (Sara-Nora Krusteva) and by Prince Desire (Trifon Mitev) – they have a beautiful movement of complete lines ‘and artistry. 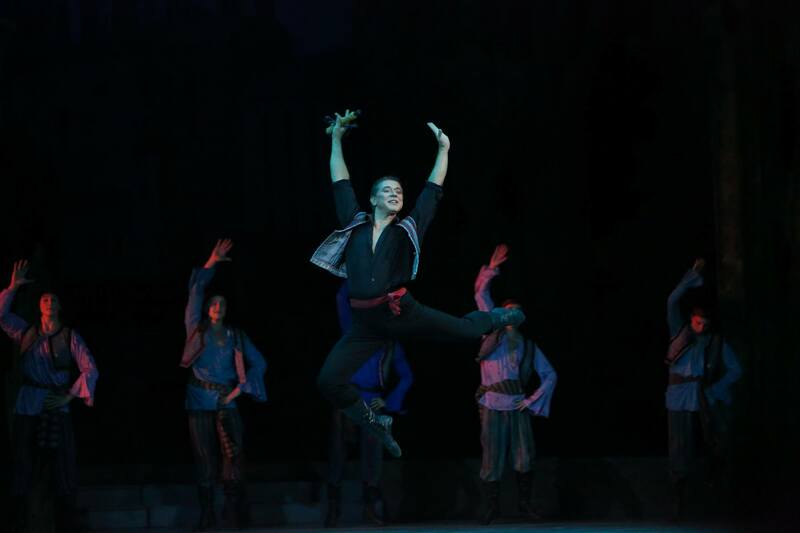 I got complete esthetic satisfaction and to some degree I feel proud, for I have some contribution sending our excellent Vyacheslav Homyakov (the choreographer who restored the present staging in Sofia). 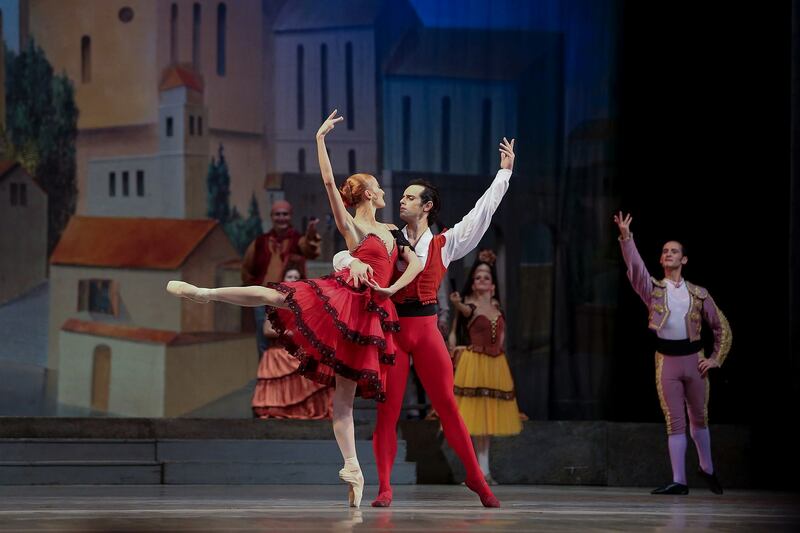 The repertoire of the National Ballet Sofia always puts an emphasis not only on the best classical and modern European achievements in the dancing art but also on the Bulgarian contribution in this field. 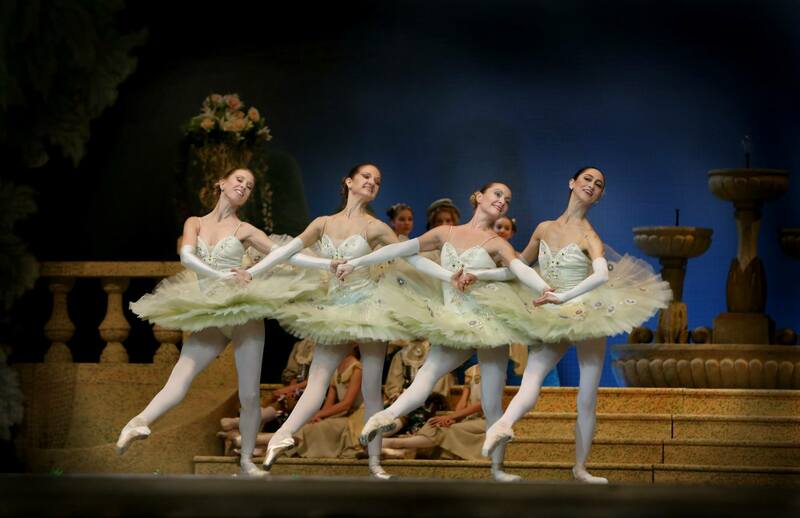 The female troupe is superb, ever-increasing; the reputable school, the stable basis is obvious. 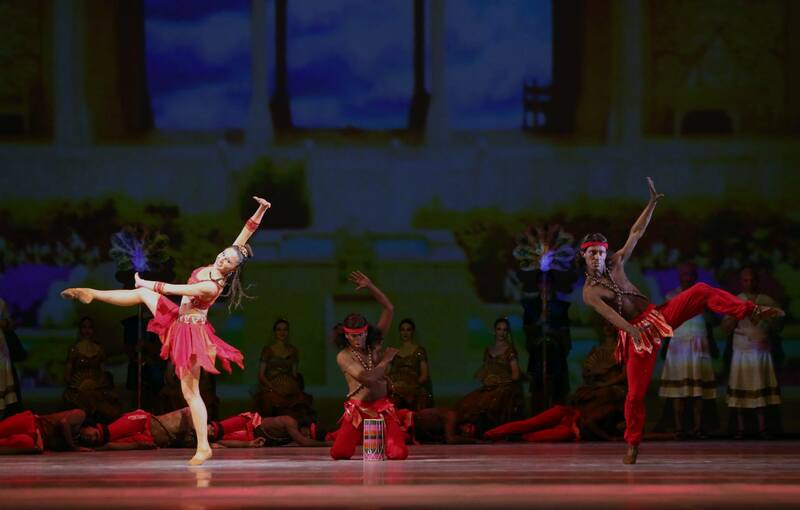 In this events-rich week the National Ballet Sofia registered its first premiere for the season – George Balanchine’s “Serenade”, set to Tchaikovsky’s music. 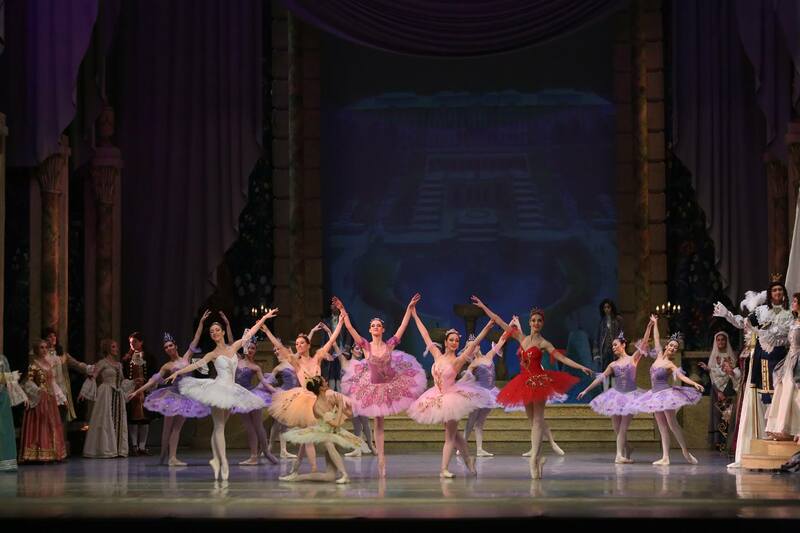 Performing a Balanchine’s is not just a rich event but it is also a sign of appreciation of the professional quality of a theatre. 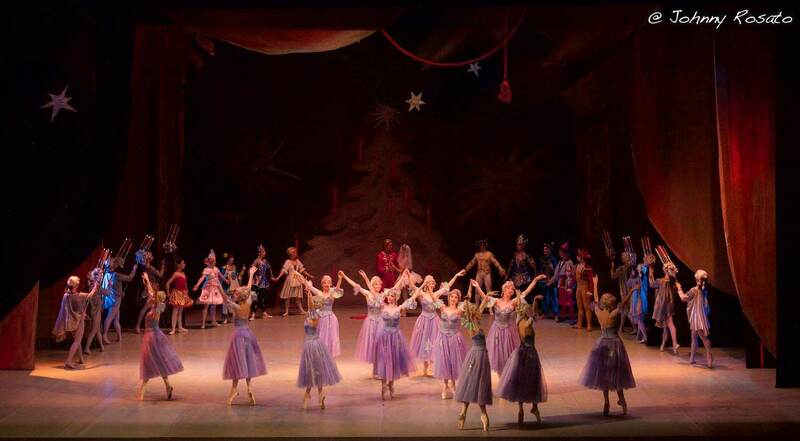 It is well-known that before taking up an enterprise the Balanchine trust sends its own specialists to evaluate the quality of the troupe and judge whether it is capable of coping with the subtle technique of Balanchine’s works. 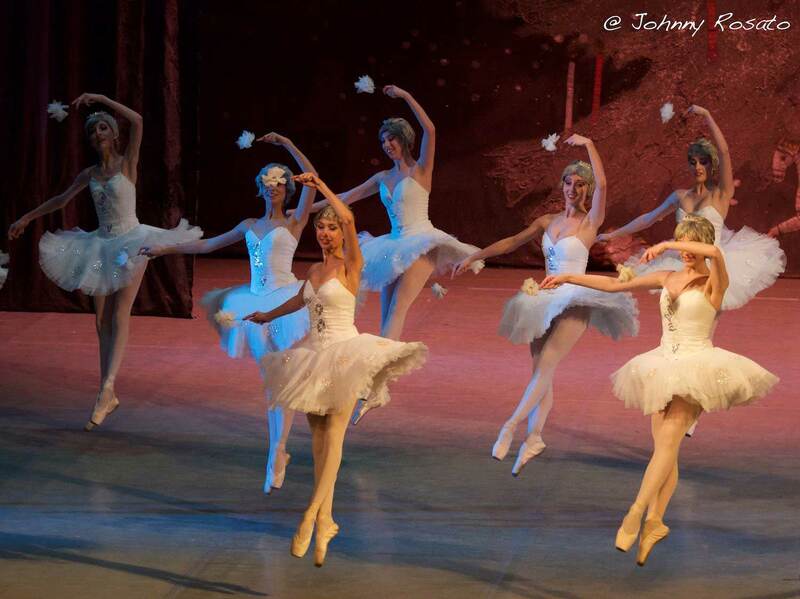 The professional criteria are ruthless but they are some kind of certificate for the class of a ballet theatre. 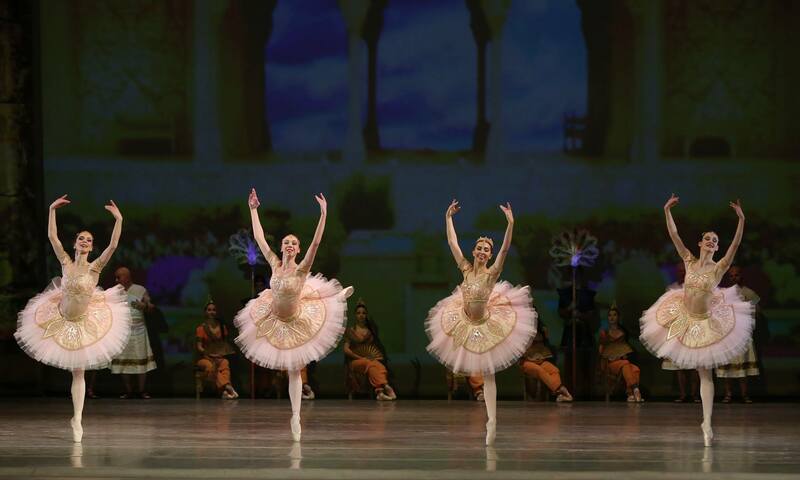 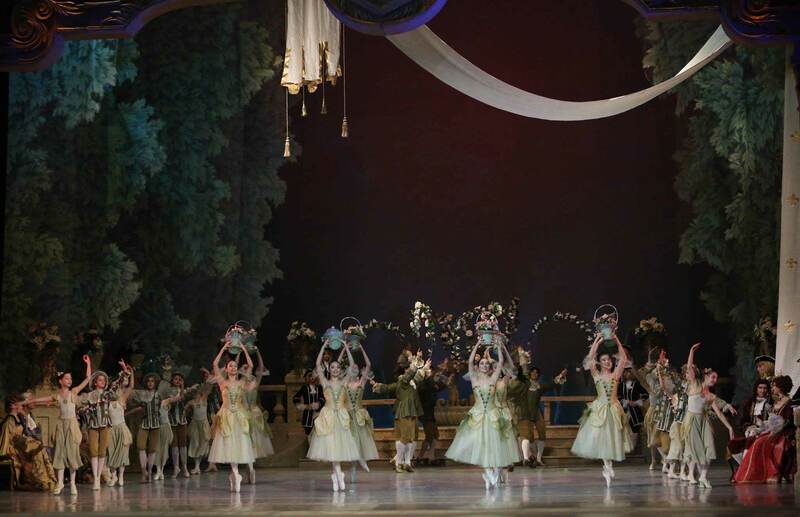 The challenges of Balanchine’s technique have seemingly mobilized the National Ballet Sofia to show its best. 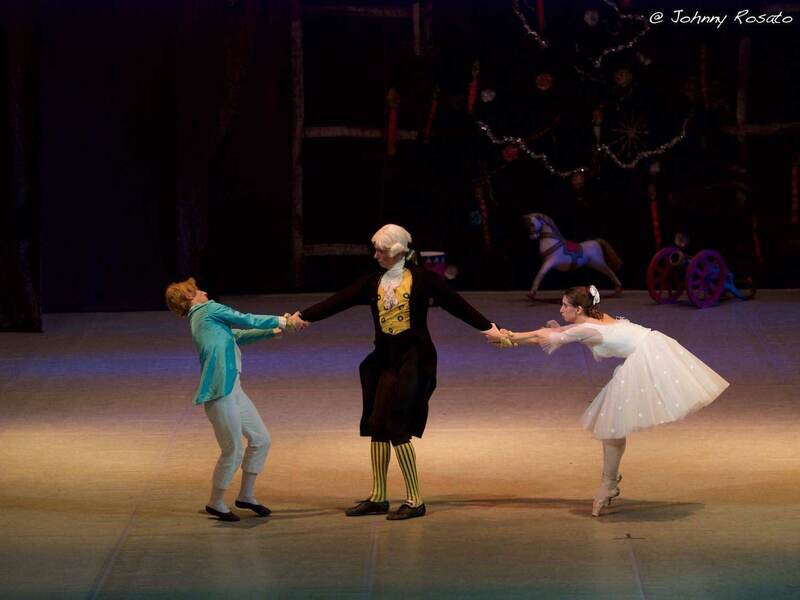 The Three soloists, Vesa Tonova, Dilyana Nikiforova and Mariana Kruncheva, interpreted correctly and profoundly the nature and spirit of the famous piece. 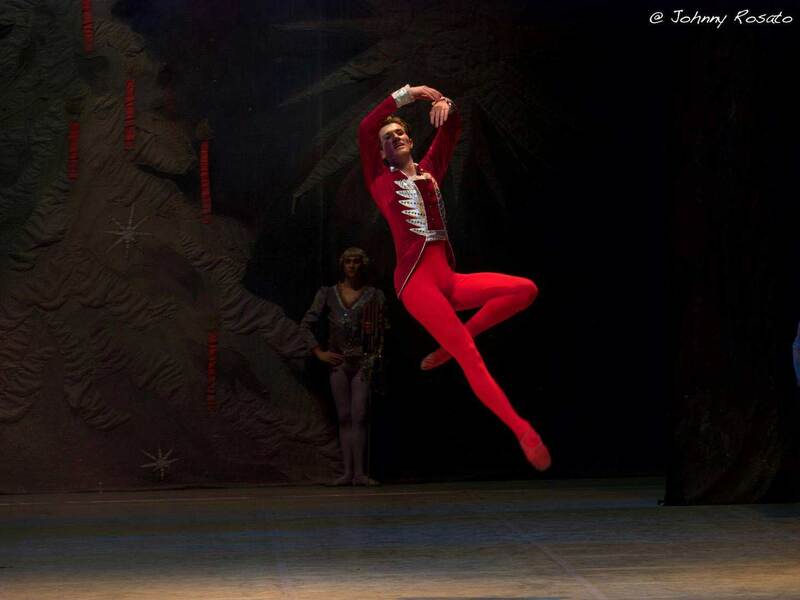 Vesa Tonova skimmed over the stage with lightning speed and breathtaking nimbleness. 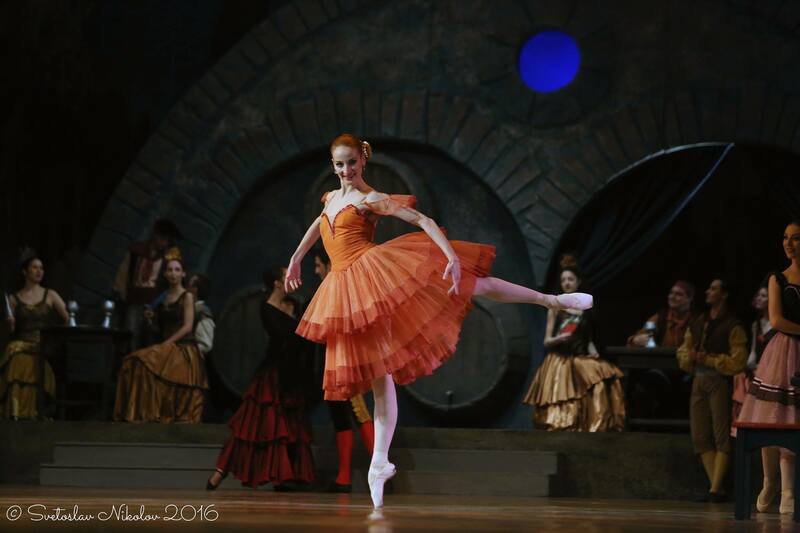 With her brilliant technique and her beautiful appearance Dilyana Nikiforova has all prerequisites needed for Balanchine ballerina. 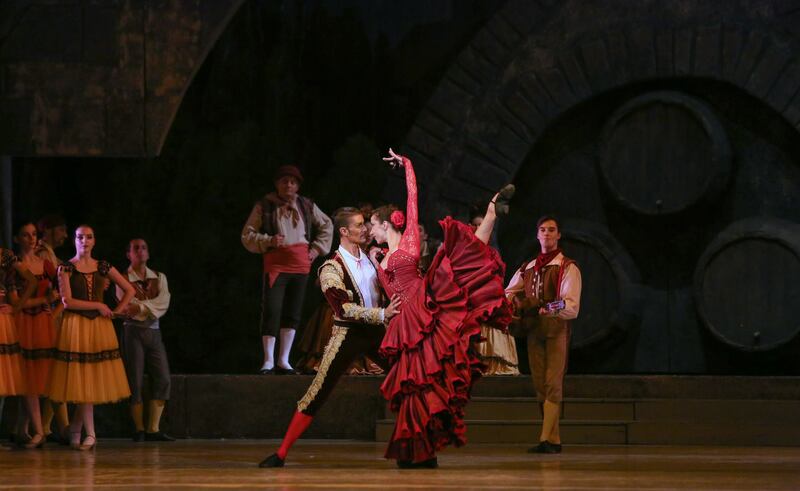 Once again the prima demonstrated the refinement of her art. 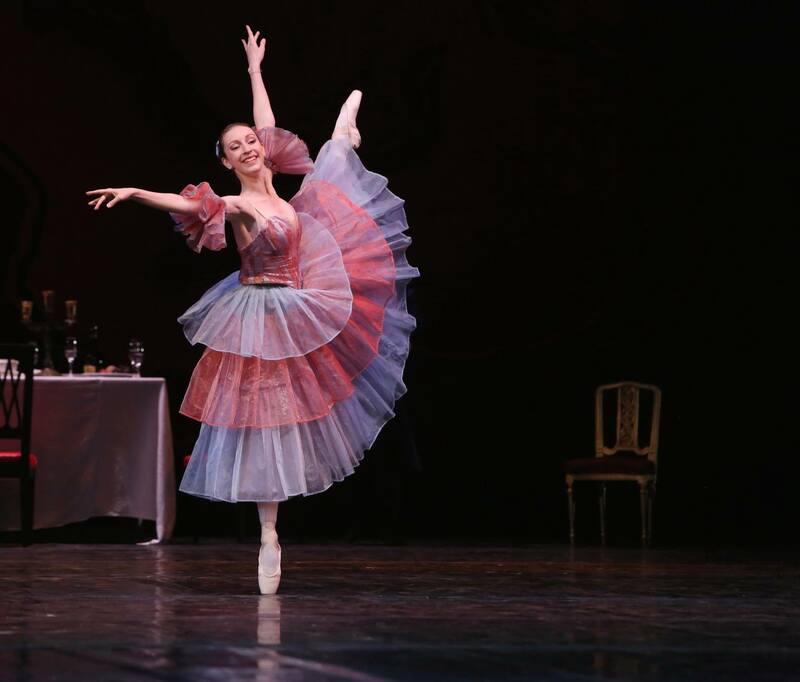 After a period of absence, Mariana Kruncheva, a ballerina of exceptional potential, with her inspired grace delighted the ballet connoisseurs. 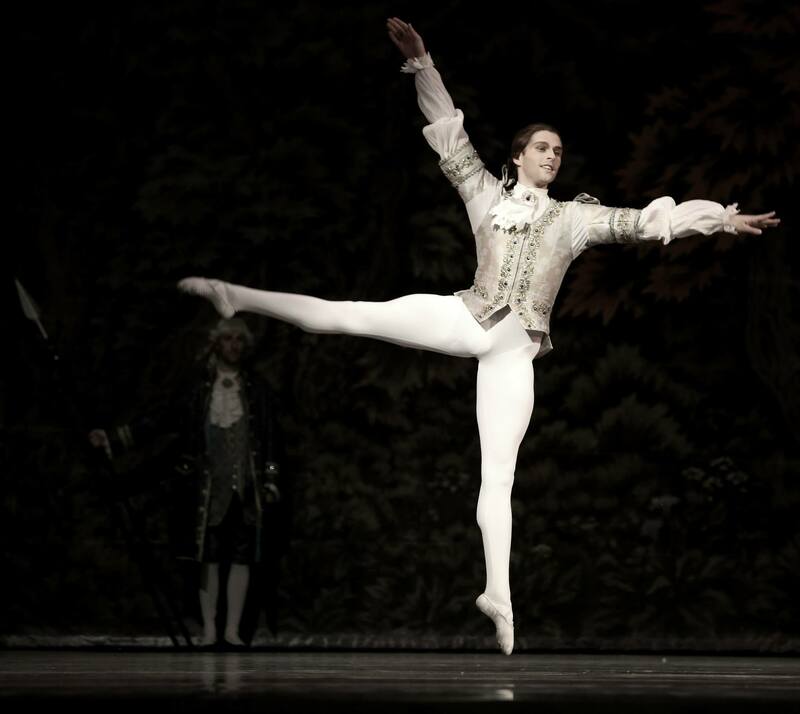 Unlike the standard classical ballets the variations of the soloists correspond with the corps de ballet. 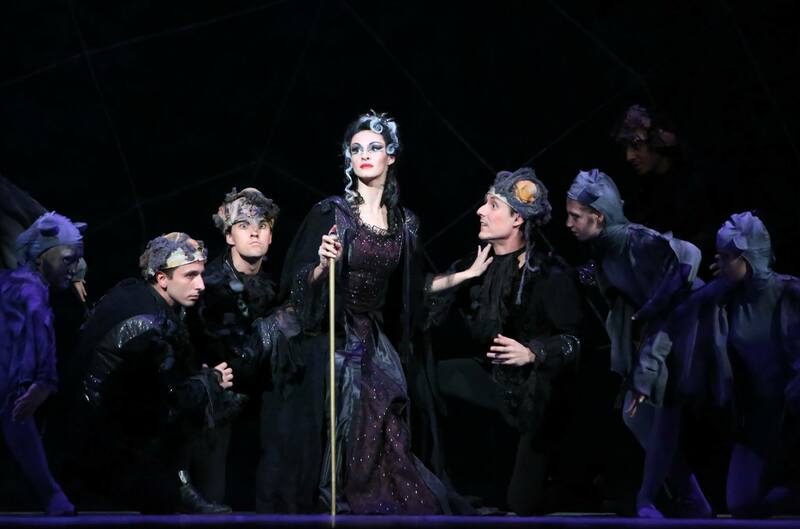 Quite impressive was the mastery with which the ensemble overcame the quickness and the dramatic accents, which it performed with enviable virtuosity. 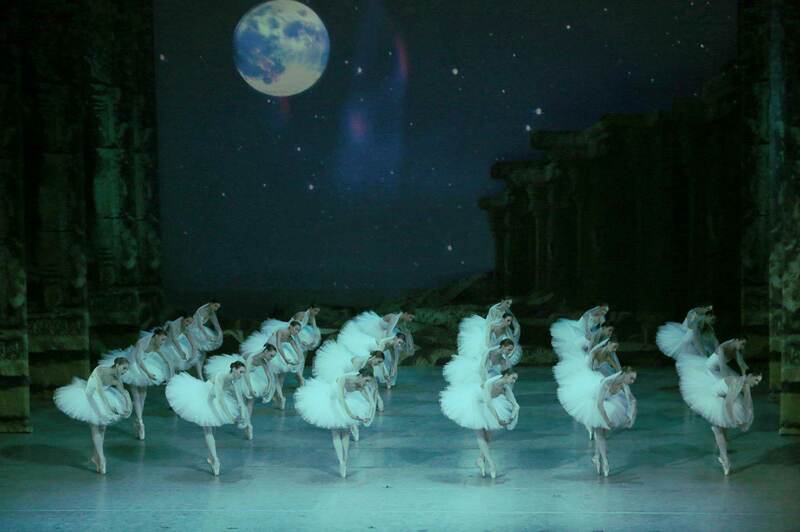 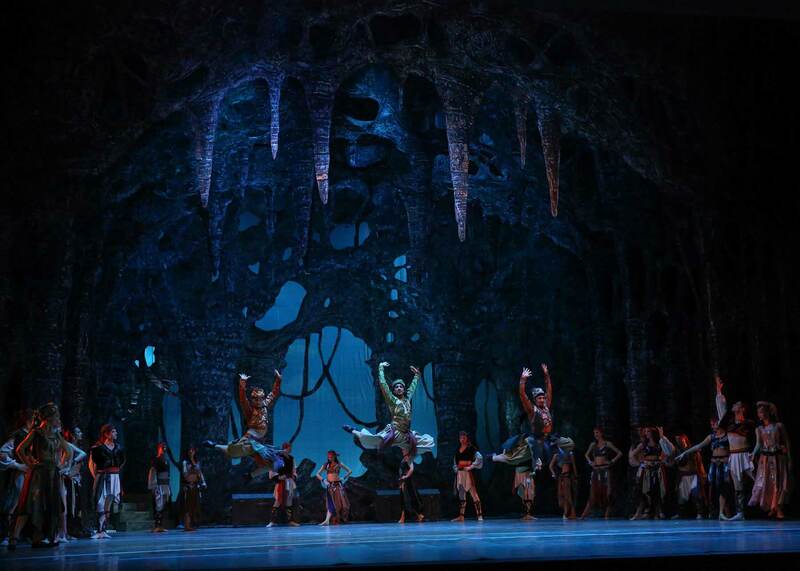 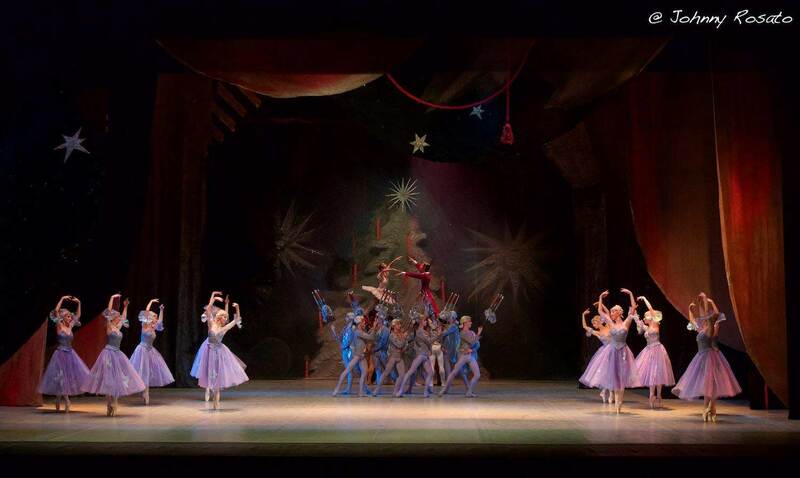 The new spectacle – “The Goat’s Horn” of the National Ballet Sofia is impressive. 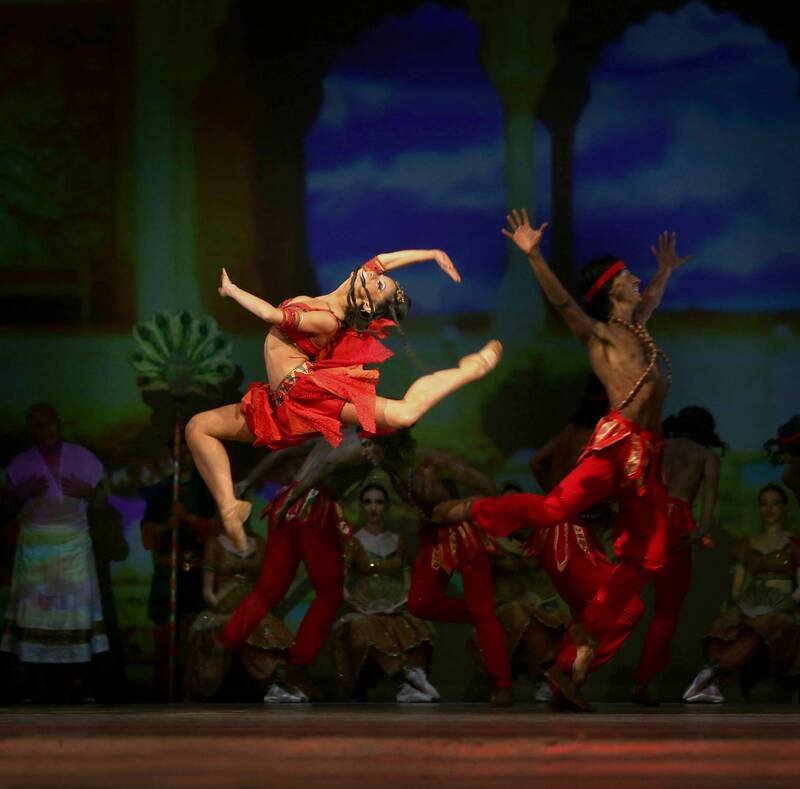 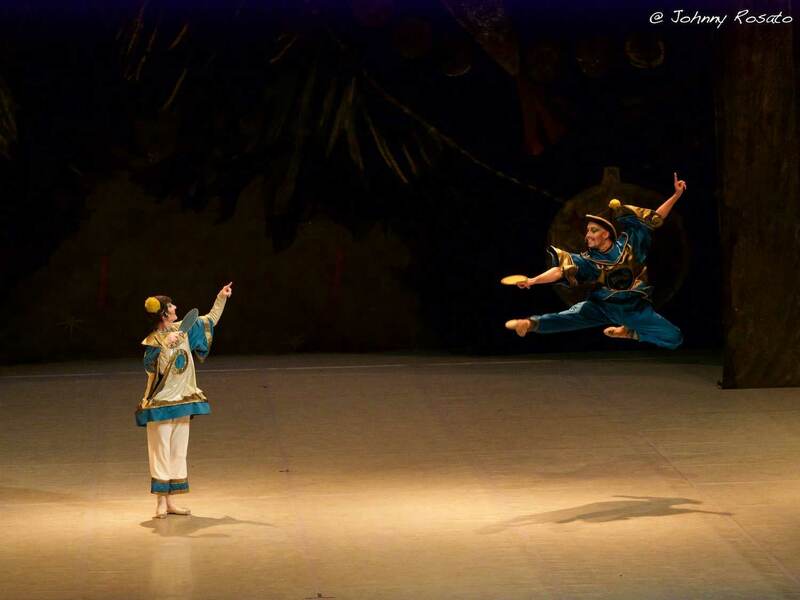 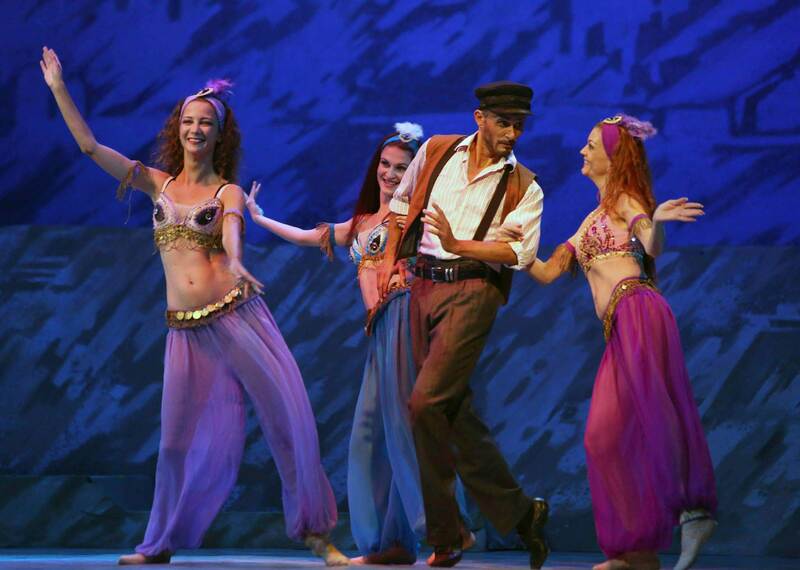 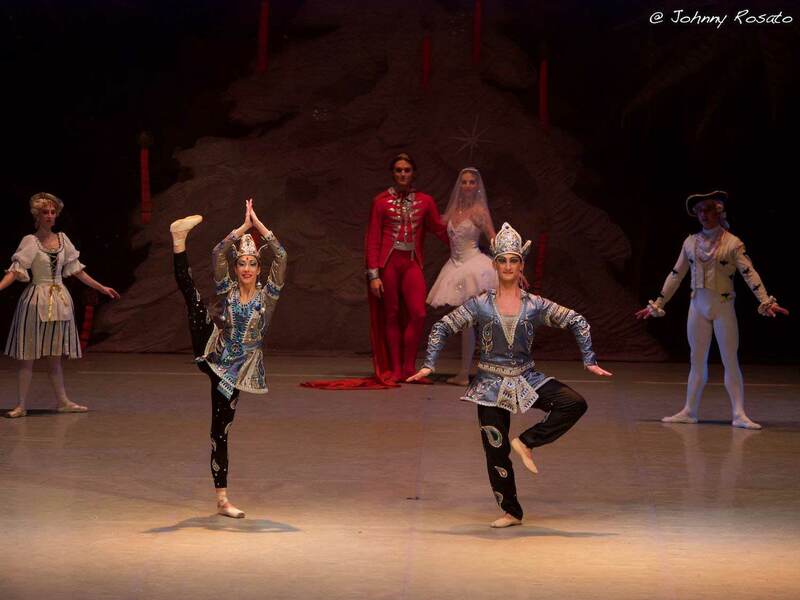 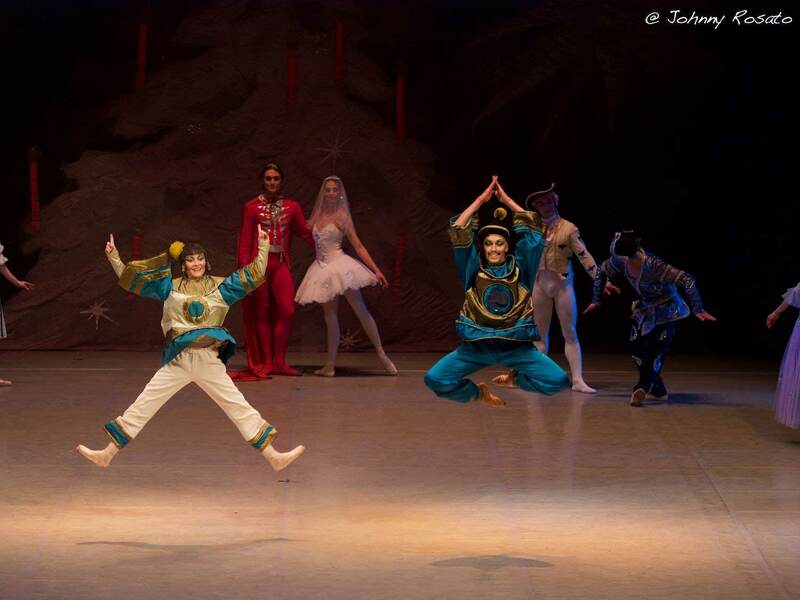 “Four Nights” – the dancing spectacle of this year! 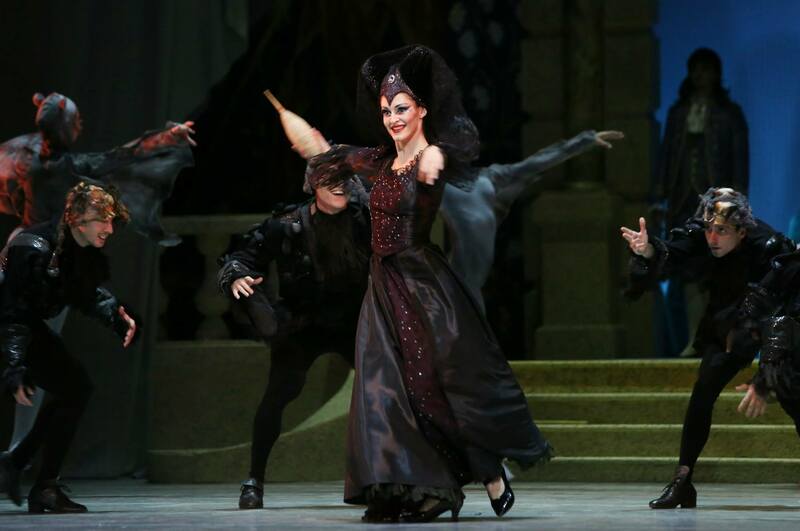 About its staging at Sofia Opera not enough can be said. 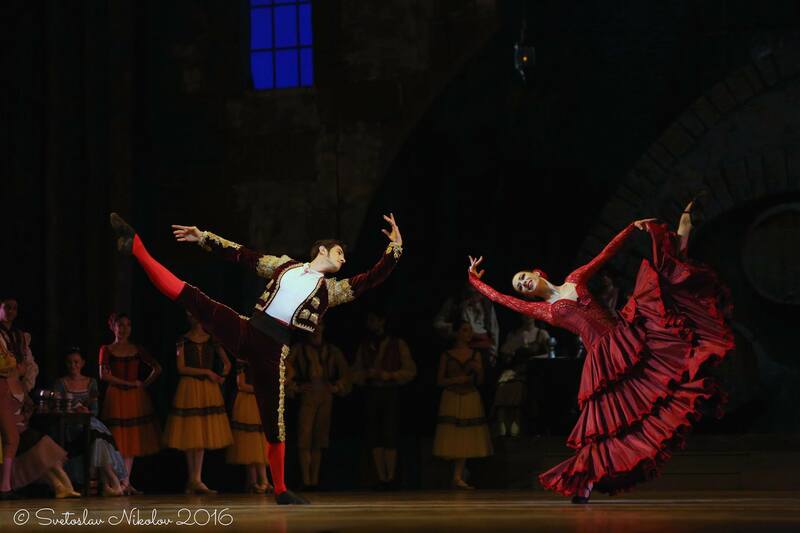 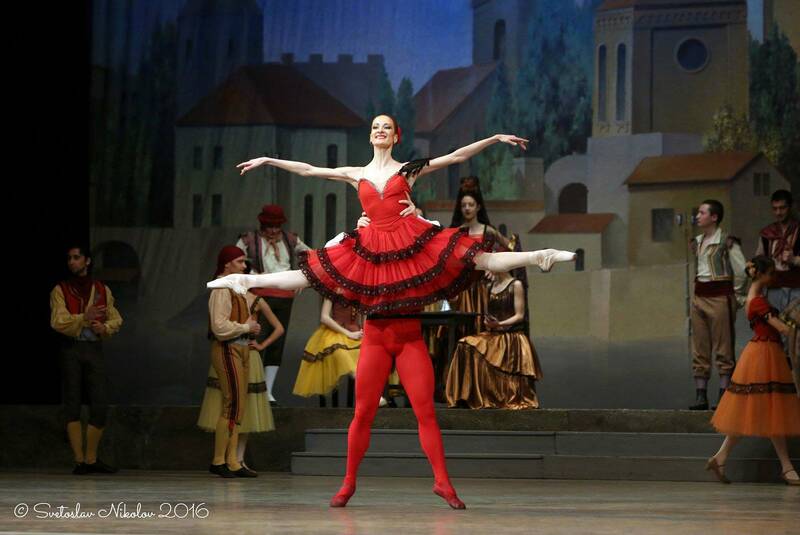 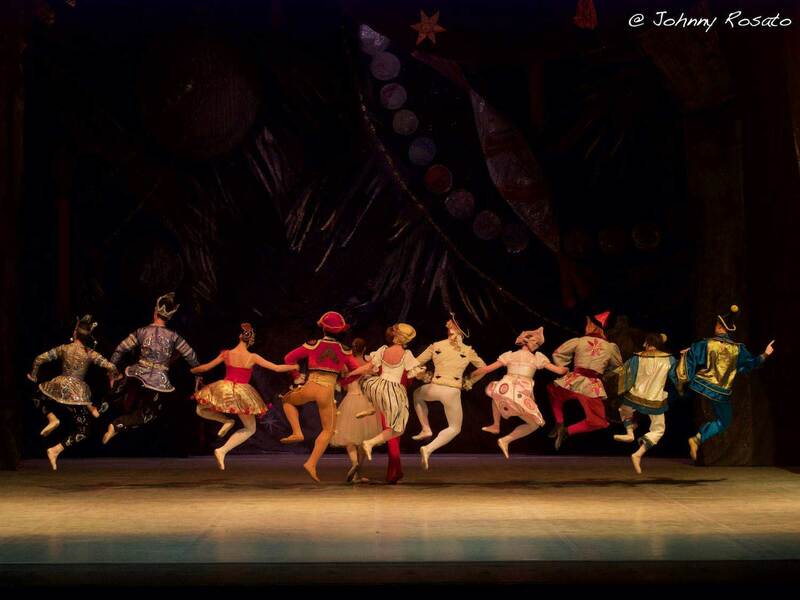 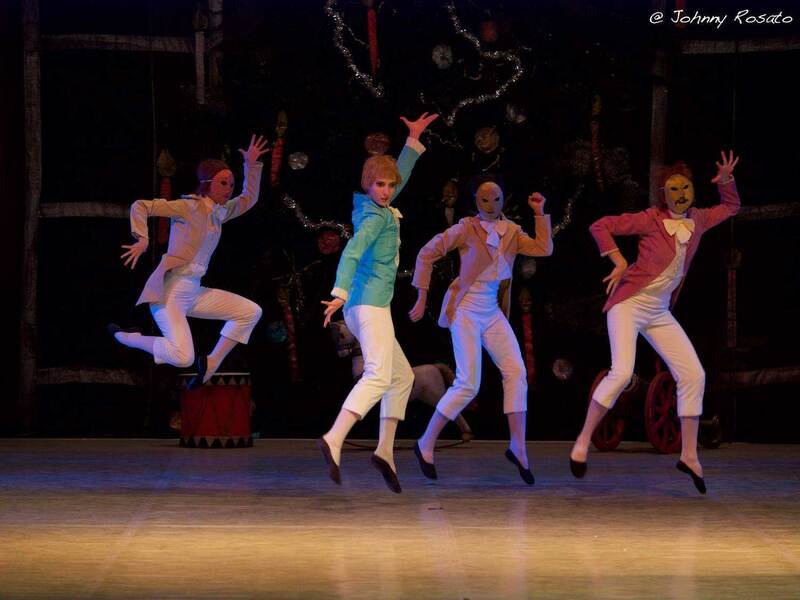 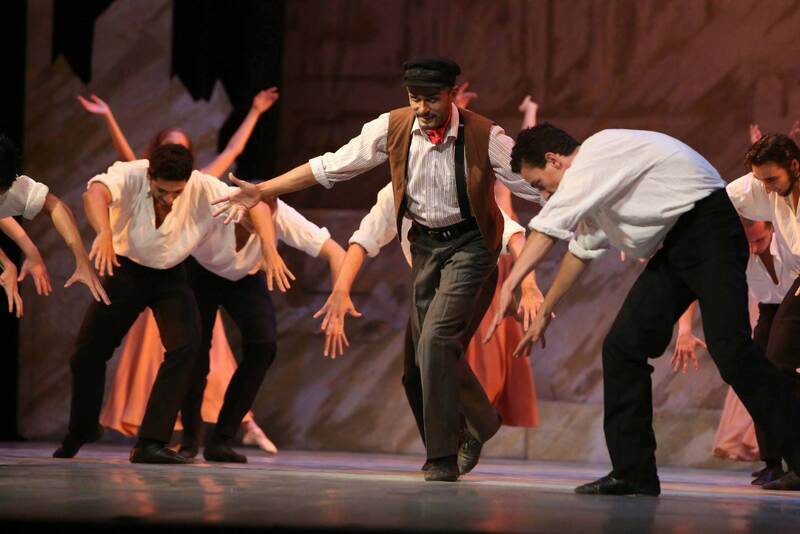 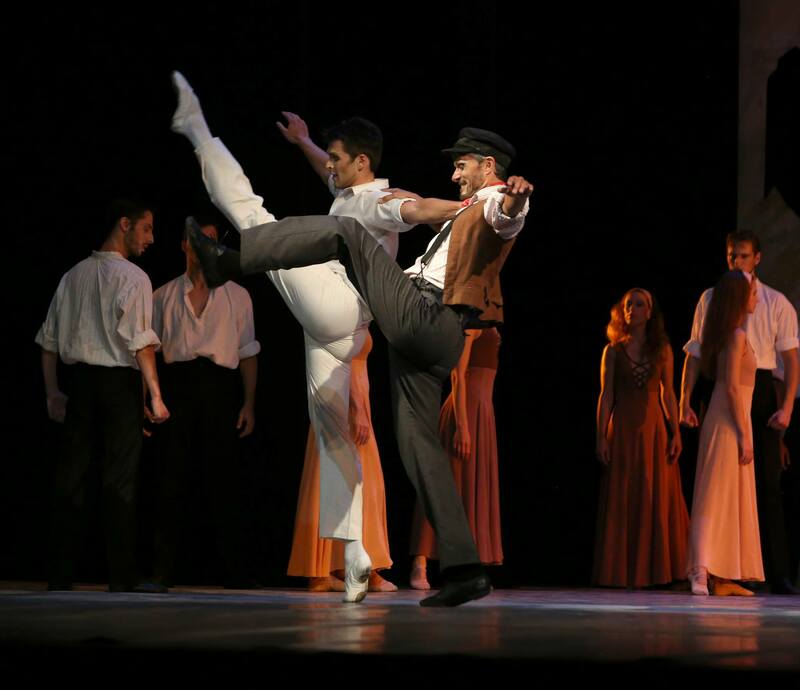 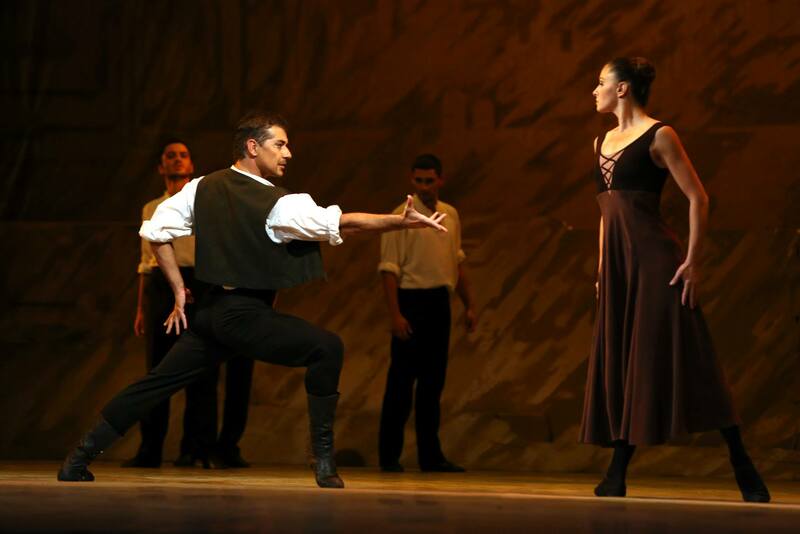 The first night of the ballet performance “Four Nights” brought together the entire elite of Sofia ballet troupe. 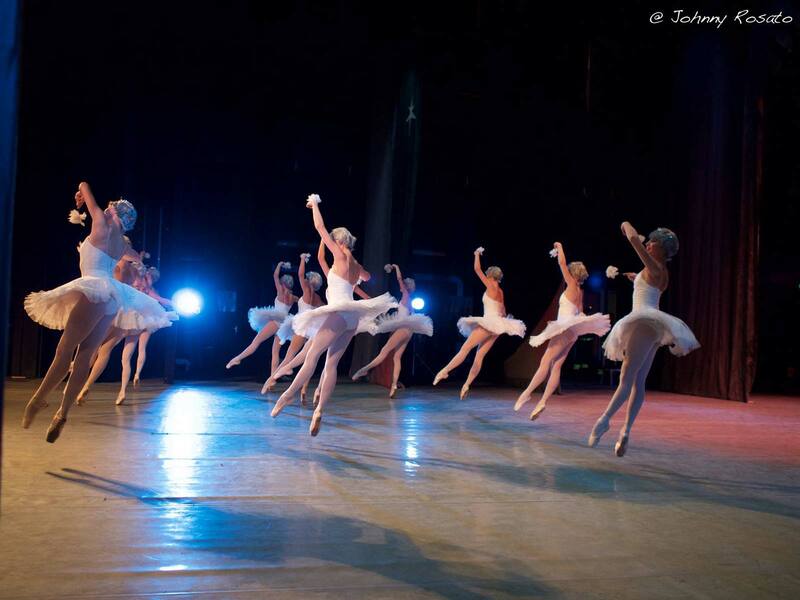 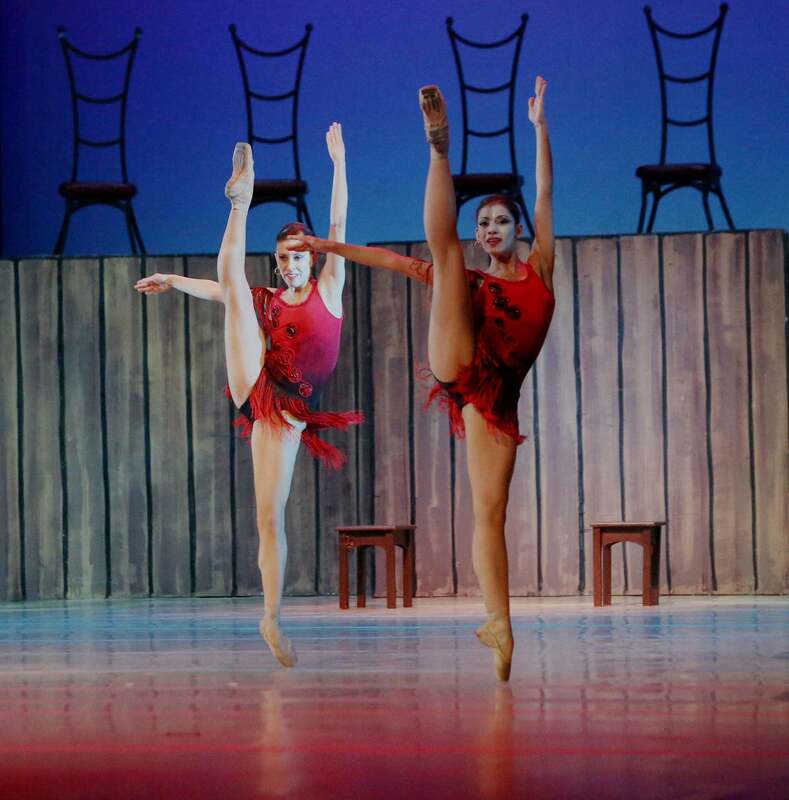 Strong is the impact of the swan scenes in which the twenty-six soloist ballerinas and corps de ballet danced as one, attaining integrity and professionalism in the difficult choreographic text. 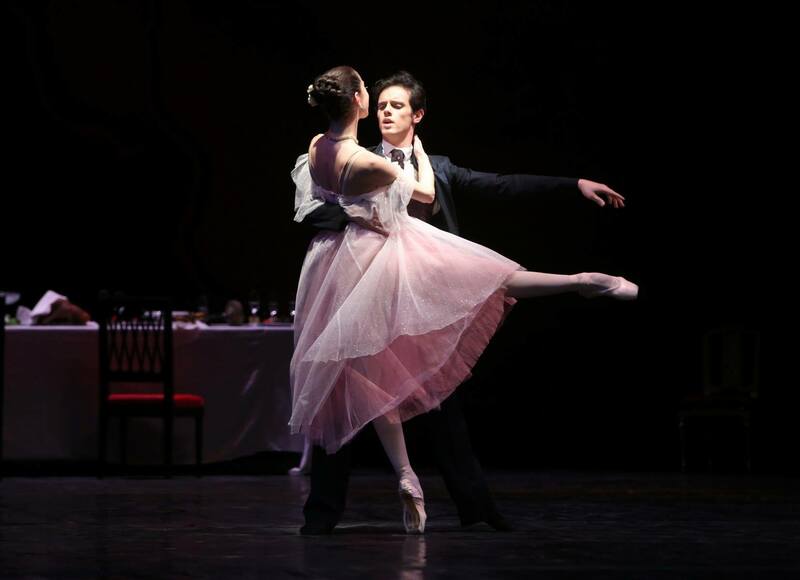 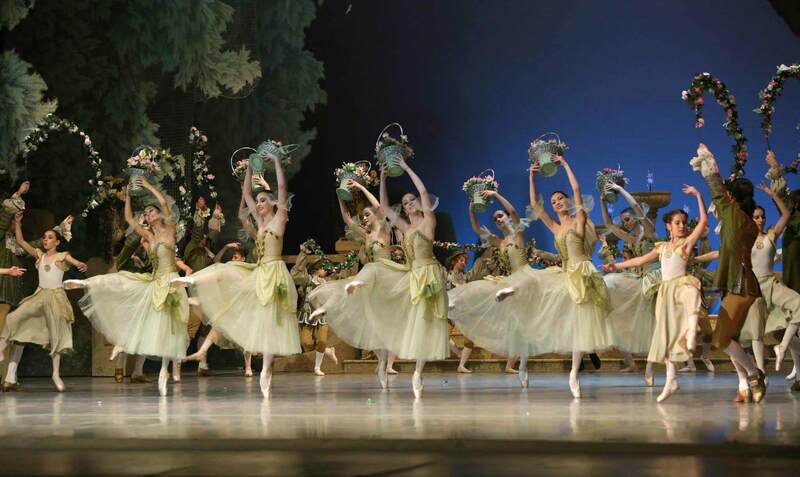 The National Ballet Sofia enriched its repertoire with another classical title – the performance of Burnoville “La Sylphide” with the music of Herman Ljovenskjold. 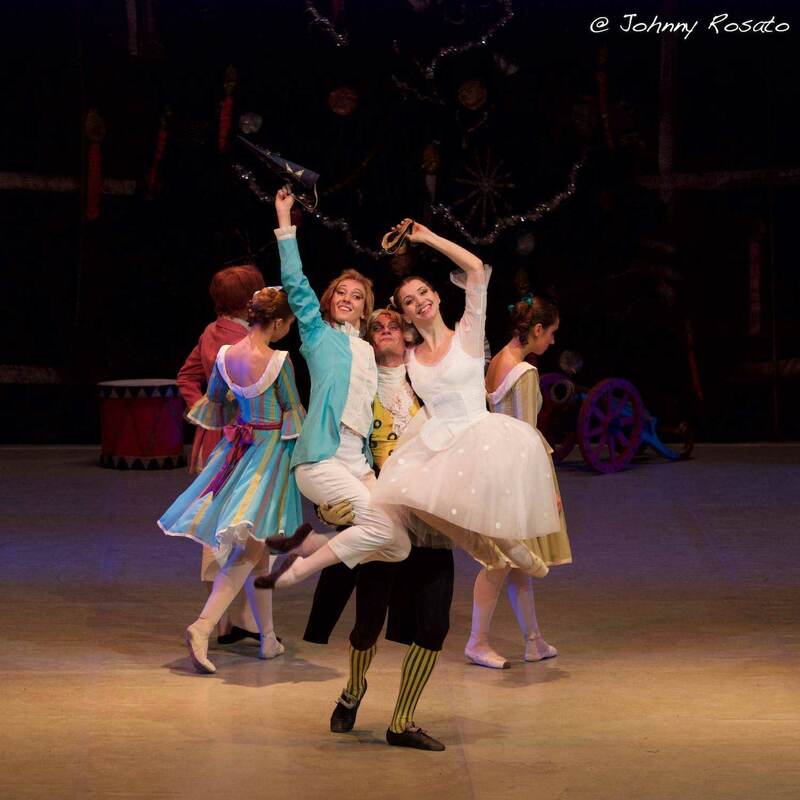 As well as the main performers, to the success of the premiere contributed also the young talents of our first ballet troupe: Darina Bedeva, Vladislav Marinov, Iliana Filipova, Ivanka Kasabova. 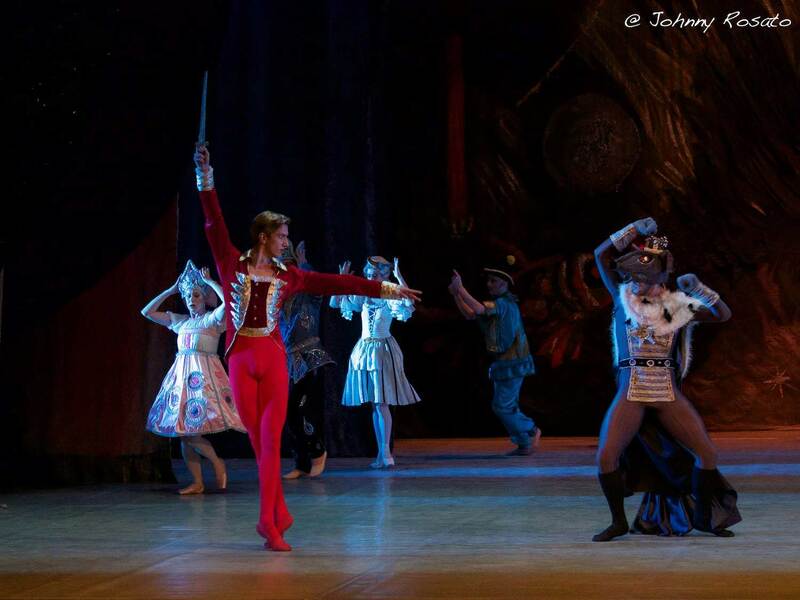 Impressive was the mastery of Penka Yosifova in the part of Medge. 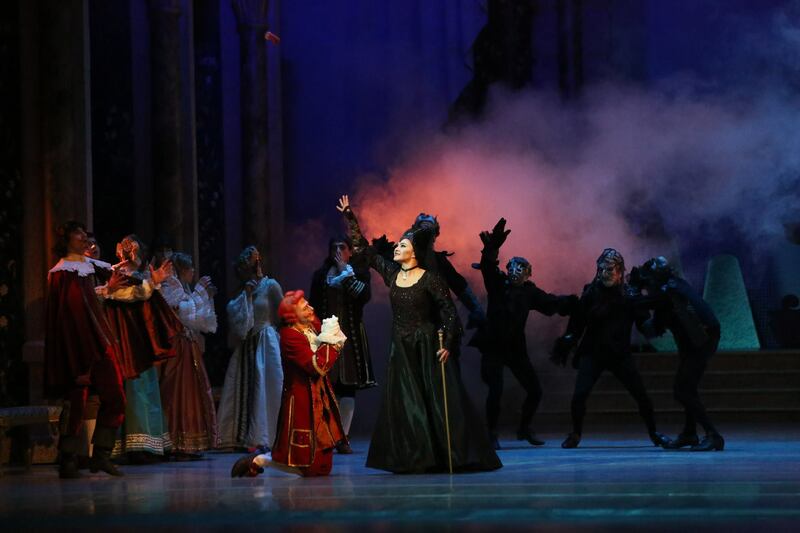 The rest of the cast was not less interesting and excited the expectations. 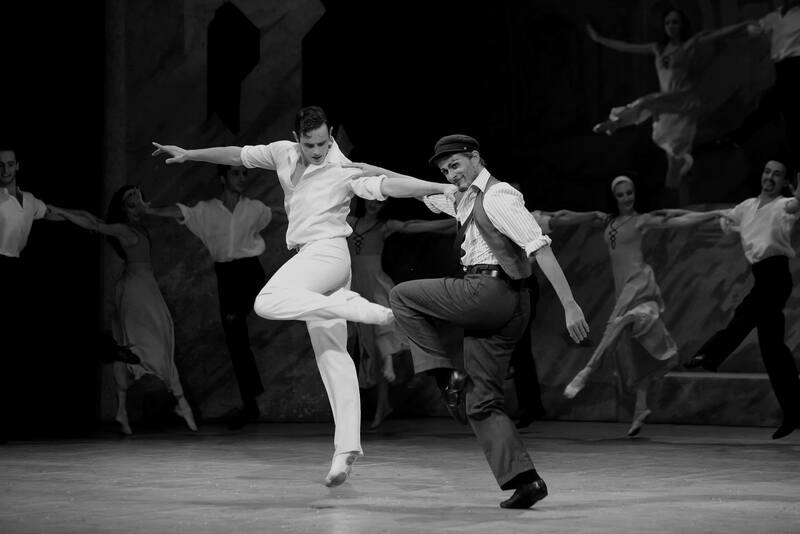 “Ghetto” is one of the many works about Jewish destiny, but at the same time it is one of the view that have their own perusal of the topic – like the film “Life is Wonderful”. 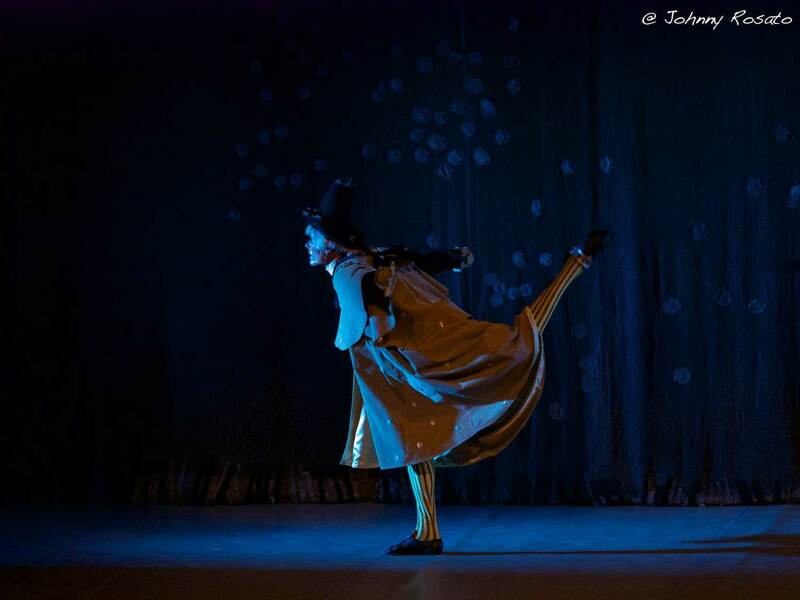 One of the advantages of the performance is that it does not turn seriousness into tragedy, but it puts in circulation the light colour of hope. 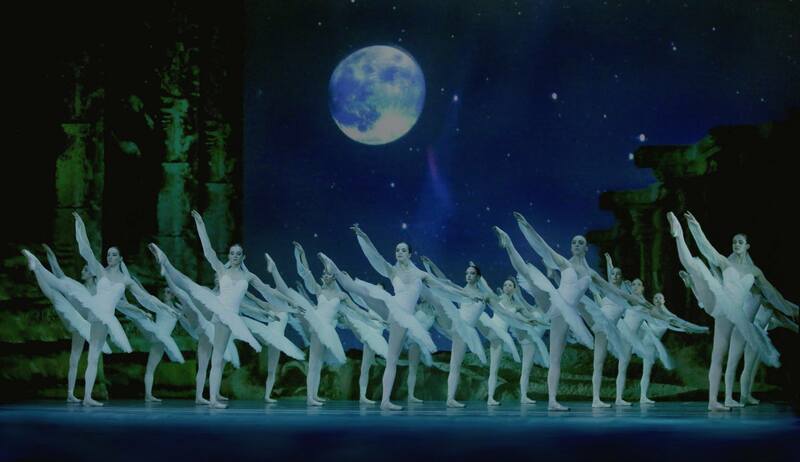 “Swan Lake” of National Ballet Sofia is an exciting vision of musical symphony, realized with richness of fantasy, performed by the ballet ensemble as a single living organism which draws the original figure, interweaving into a harmonic unity the soloist voices of Odetta and Siegfried. 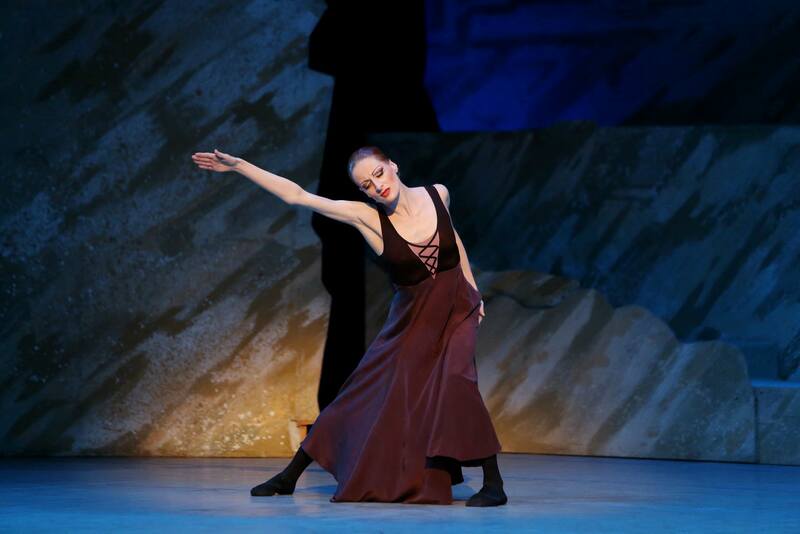 For new season in a row, the ballet star of the National Ballet of Sofia Darina Bedeva, impressed the audience and specialists with her graceful and inspired playing. 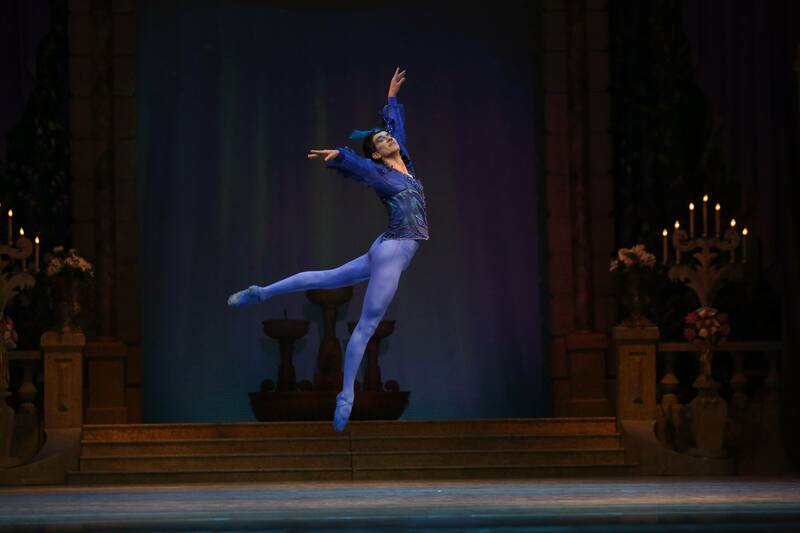 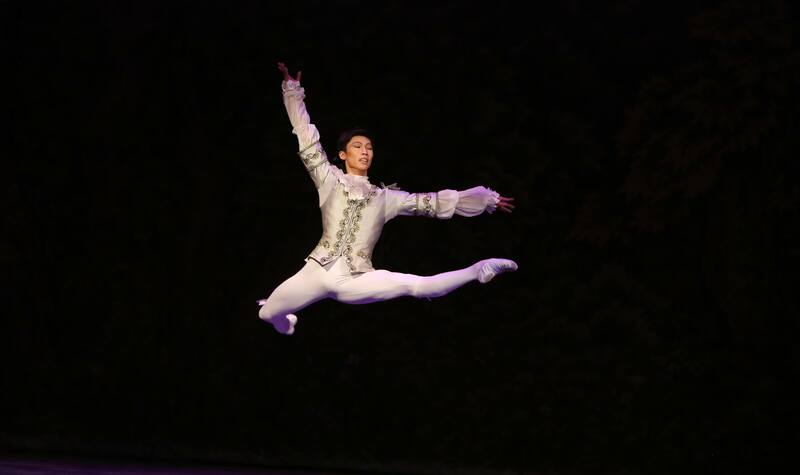 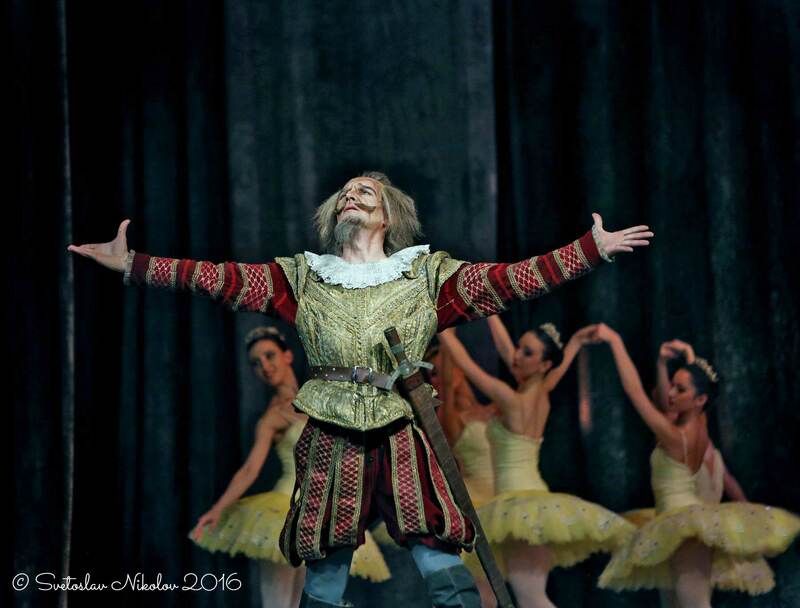 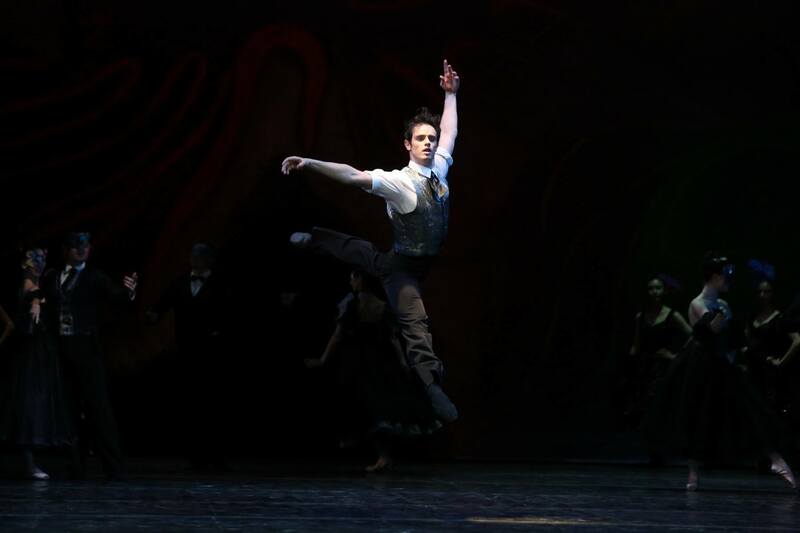 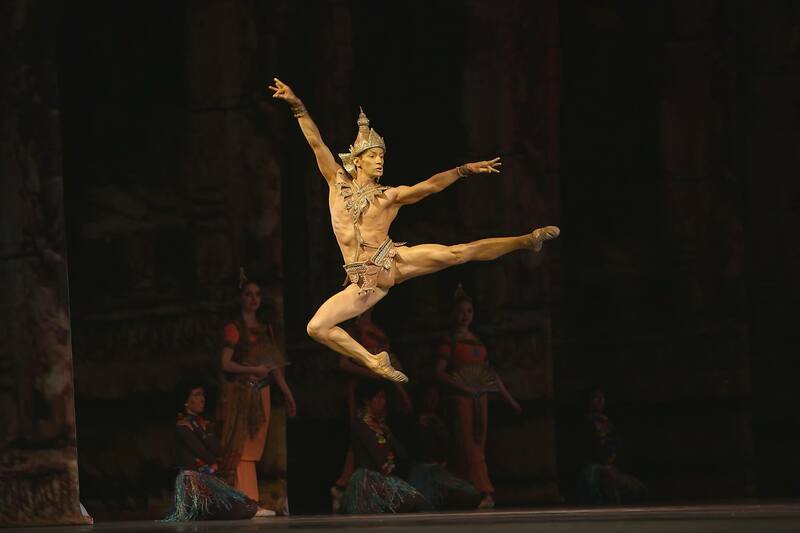 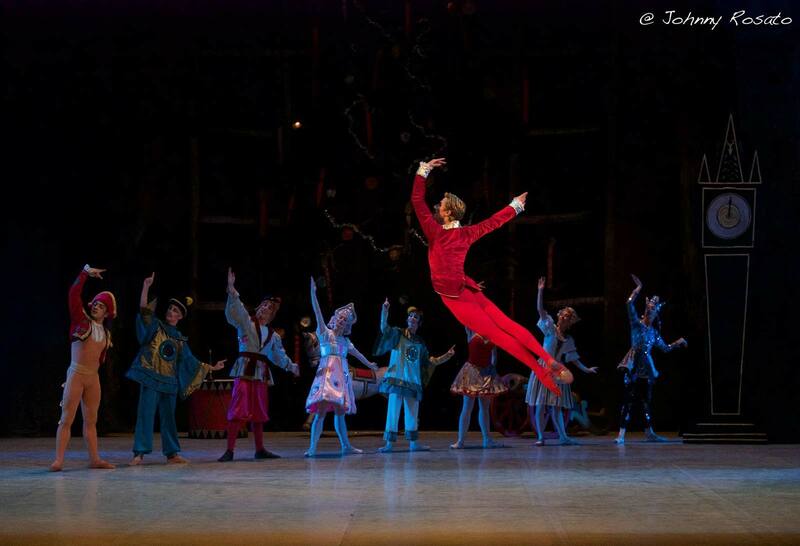 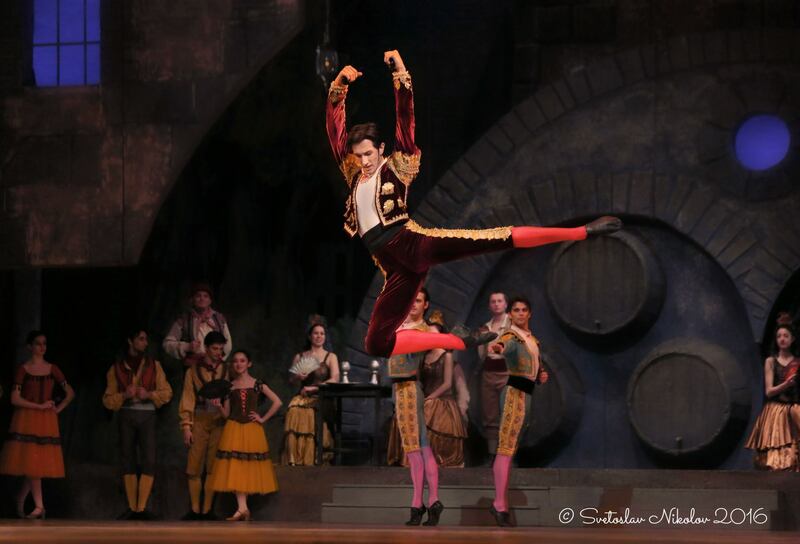 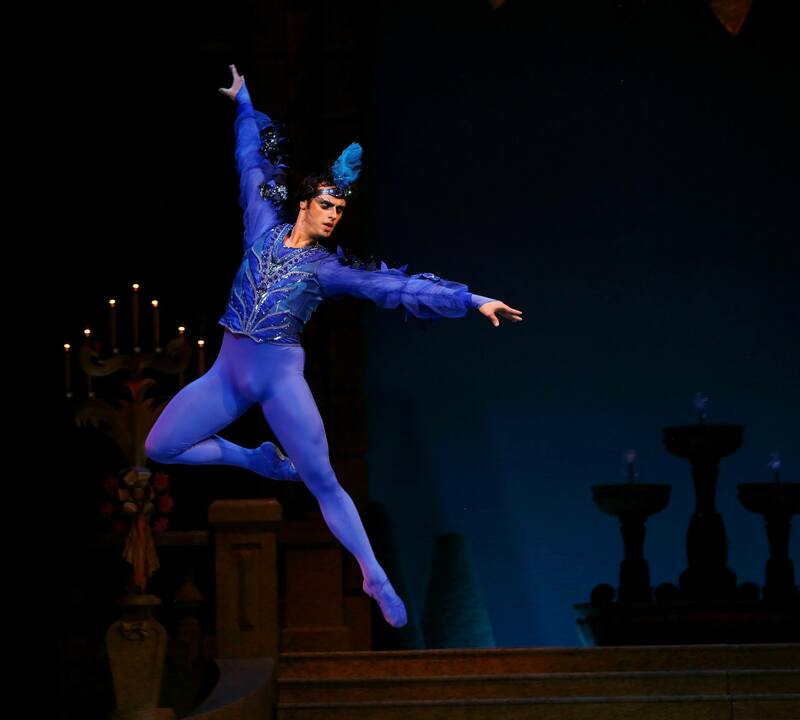 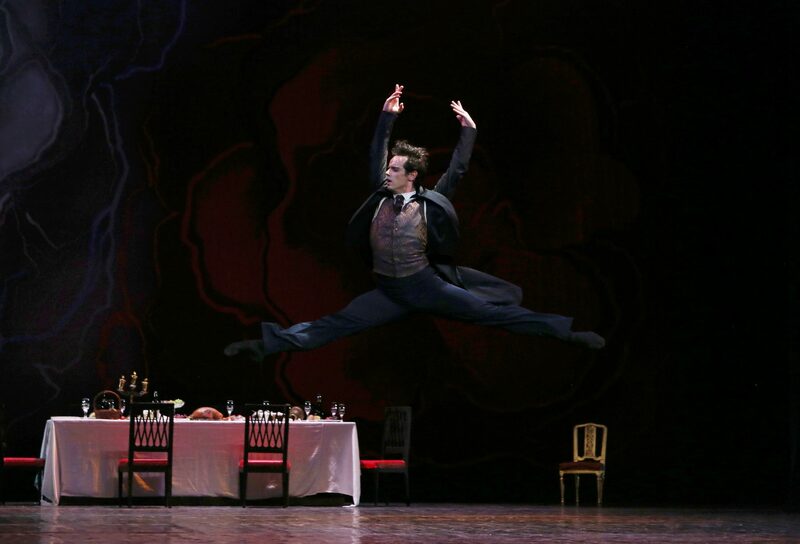 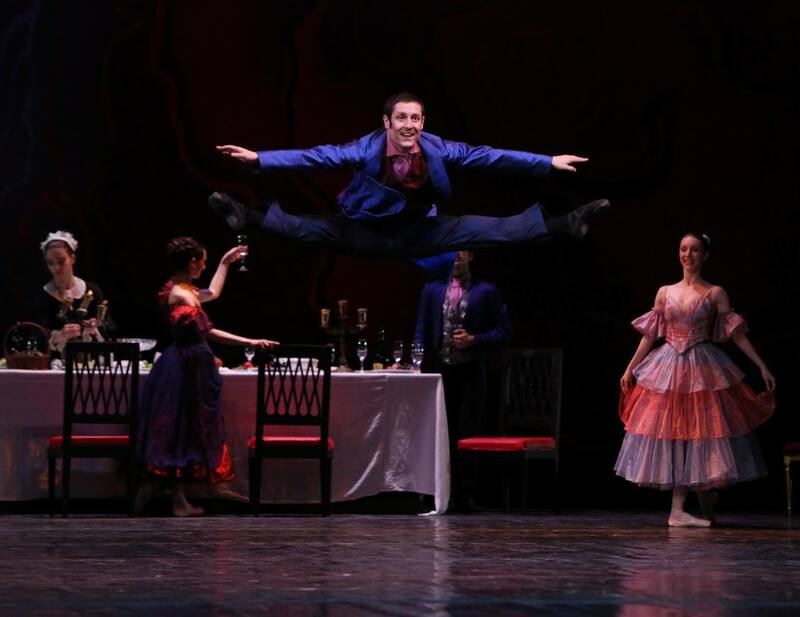 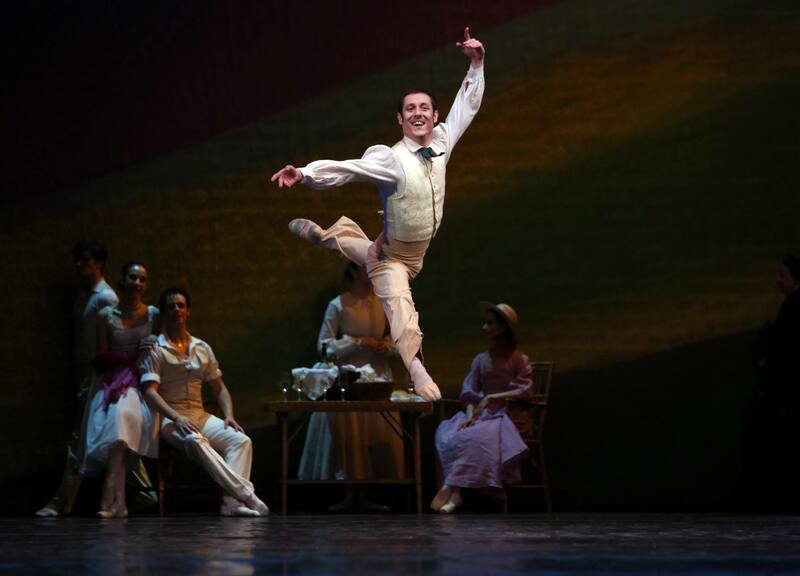 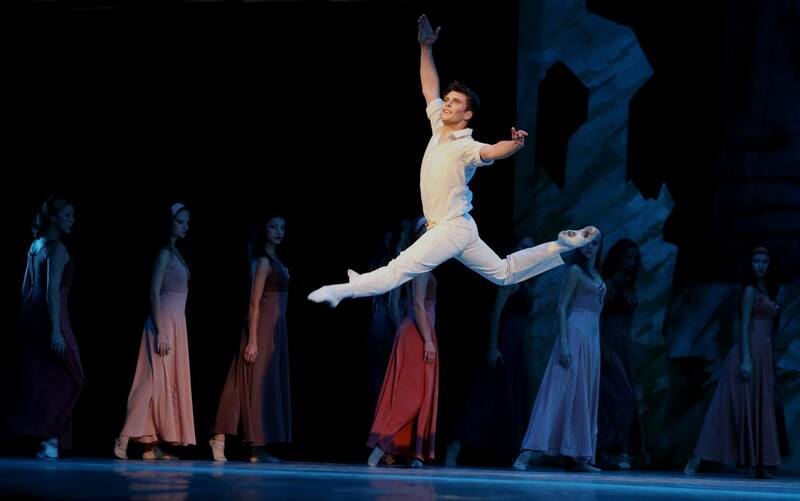 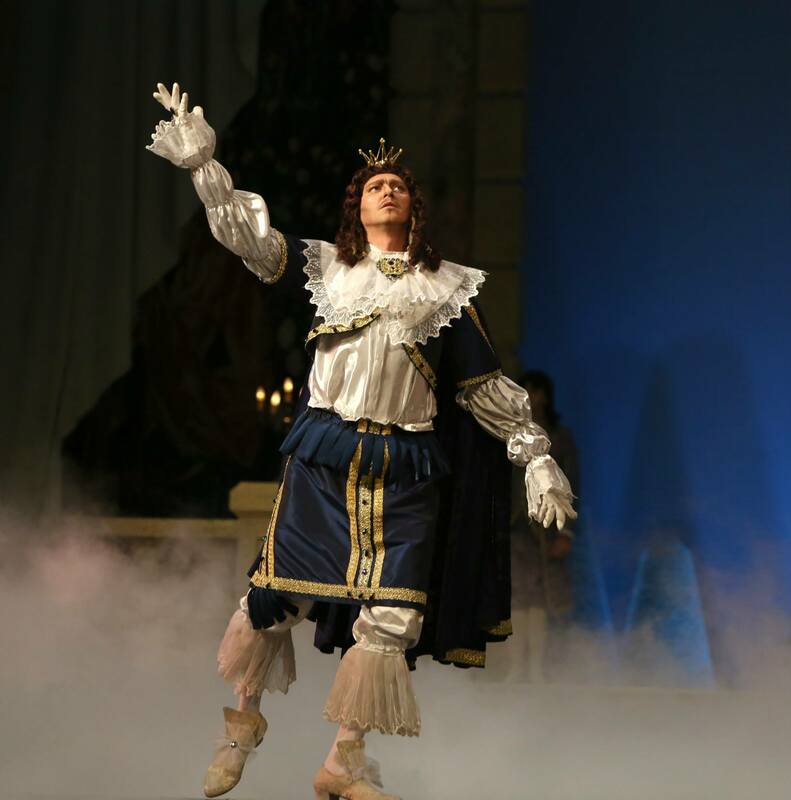 Yasen Valchanov – the indisputable principal soloist of the National Ballet Sofia and, according to the specialists, one of the brightest names in the history of Bulgarian ballet – has over 70 roles in his biographic repertoire. 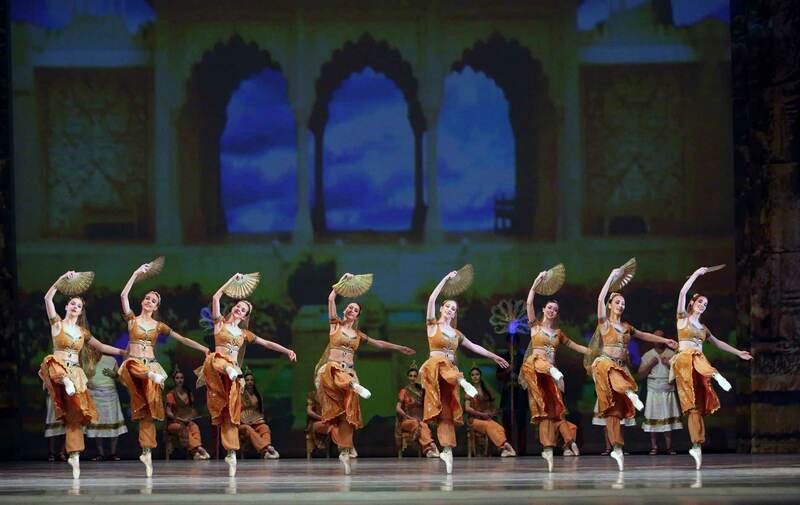 The main merits of Petar Lukanov’s choreography of “The Goat’s Horn” based on the classical dance stands out from the distance of time. 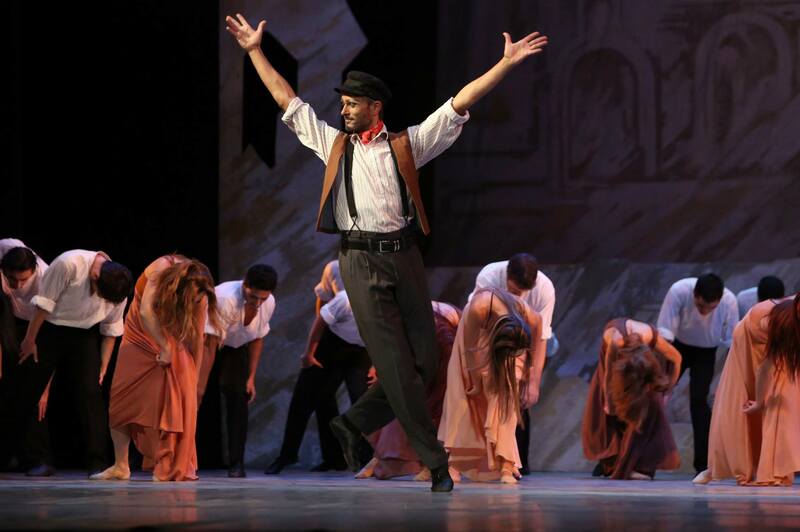 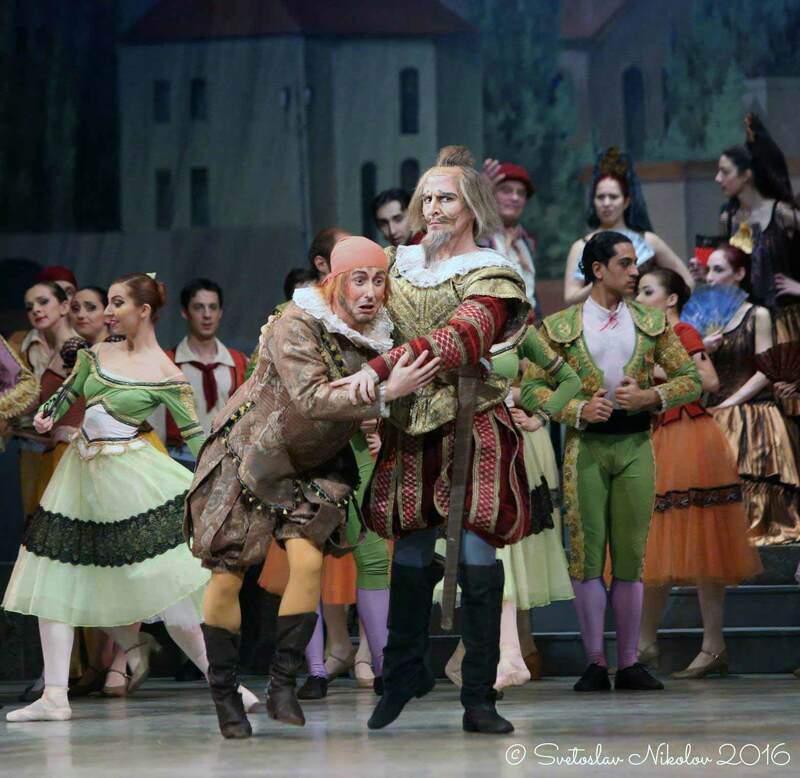 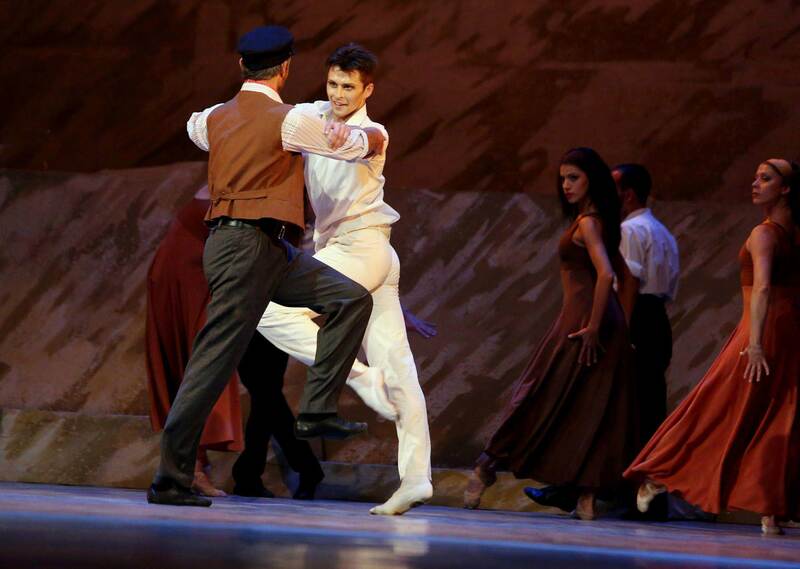 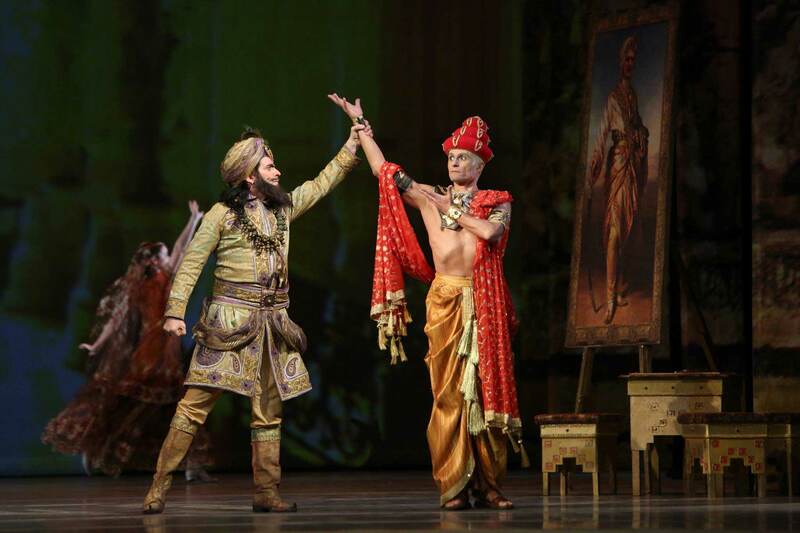 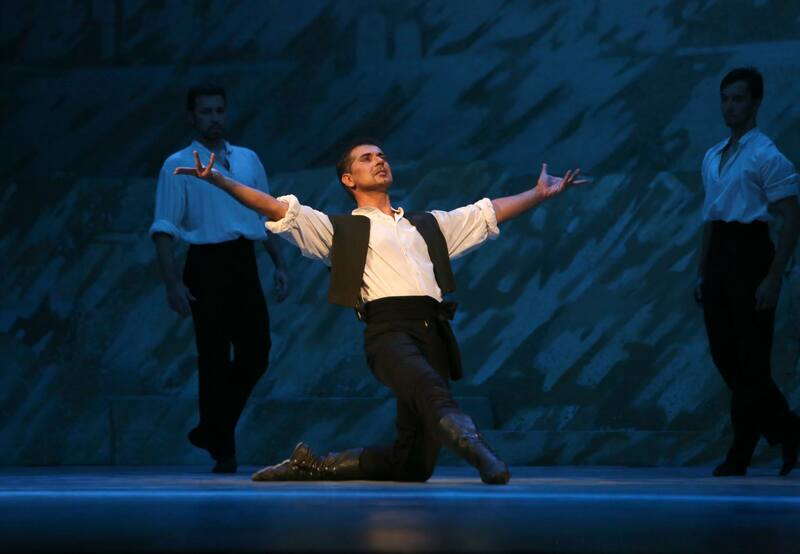 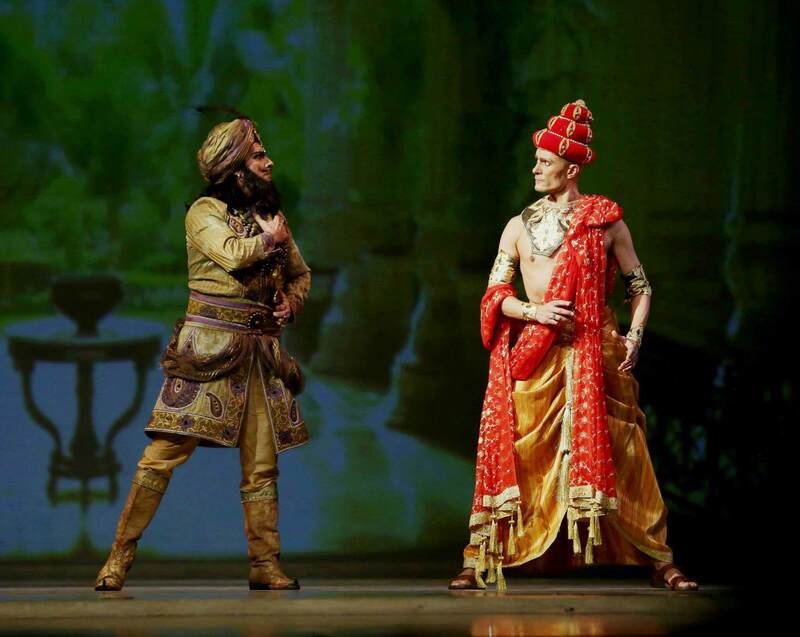 Even with the final scene between the two lovers, the Bulgarian Romeo and Juliet, Lukanov can remain in the history of Bulgarian ballet theatre. 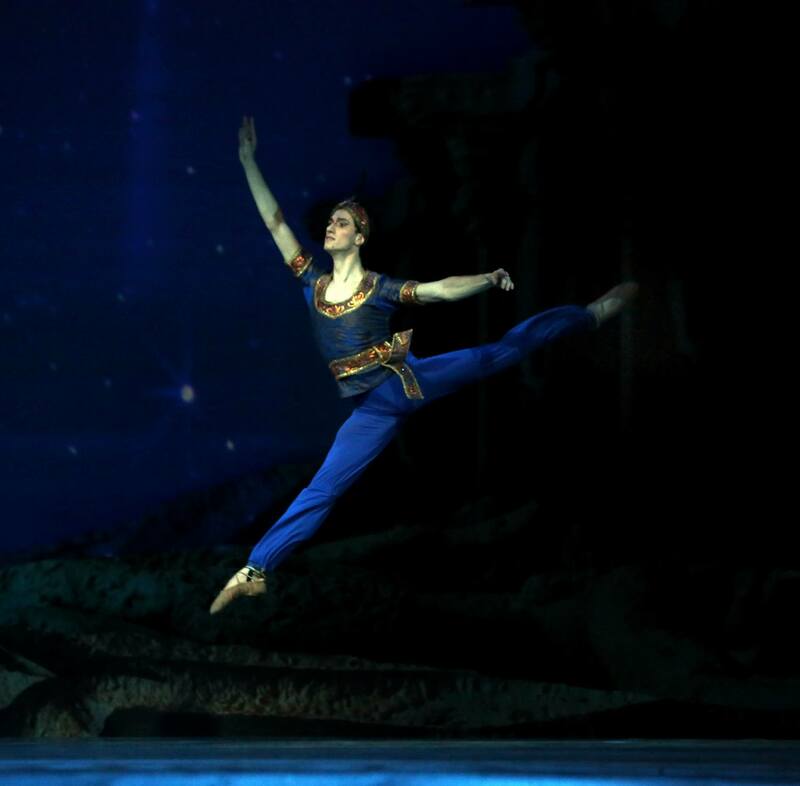 This is valid also for Yasen Valchanov -the part of Karaivan seems to be created for him and in this period of artistic development at that. 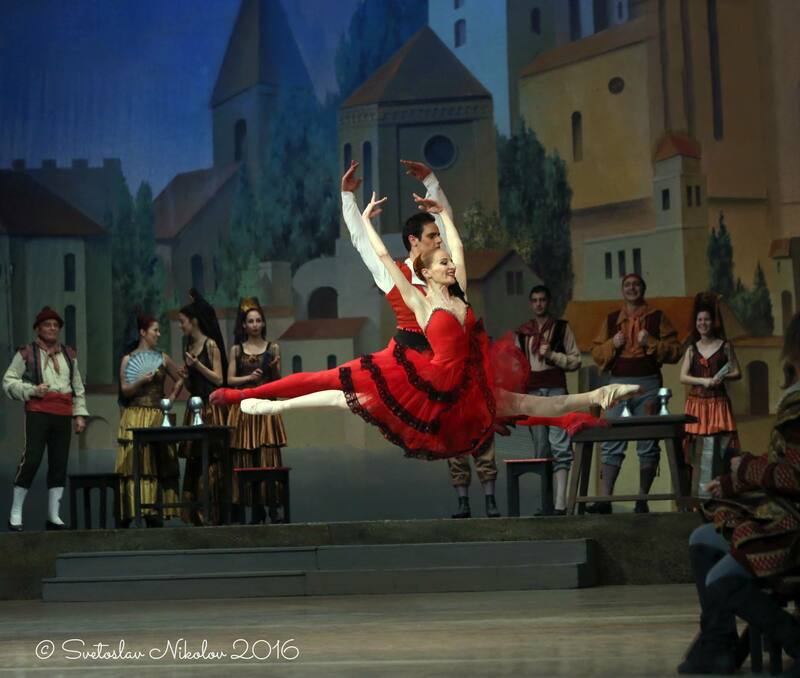 The exalted dance, elevation, exquisite grace of movement, technical stability and physical beauty put Dilyana Nikiforova amongst the greatest performers of Odetta-Odilia. 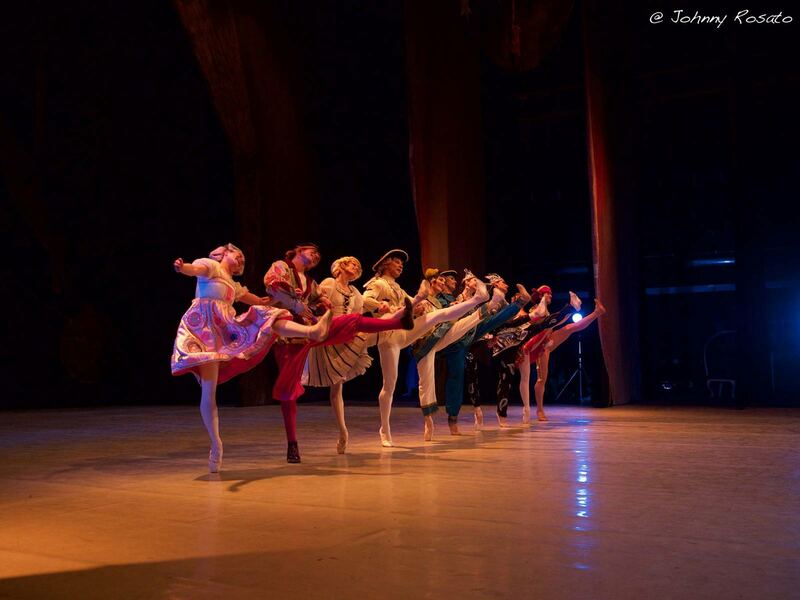 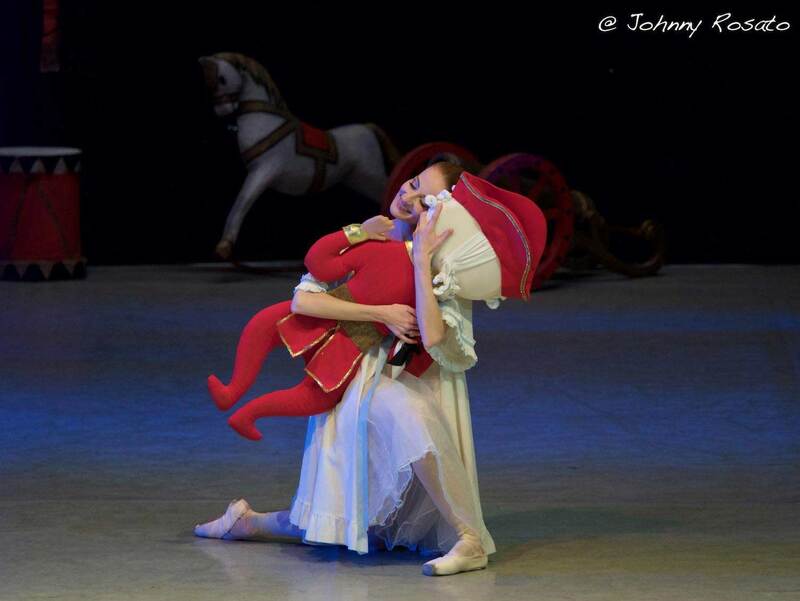 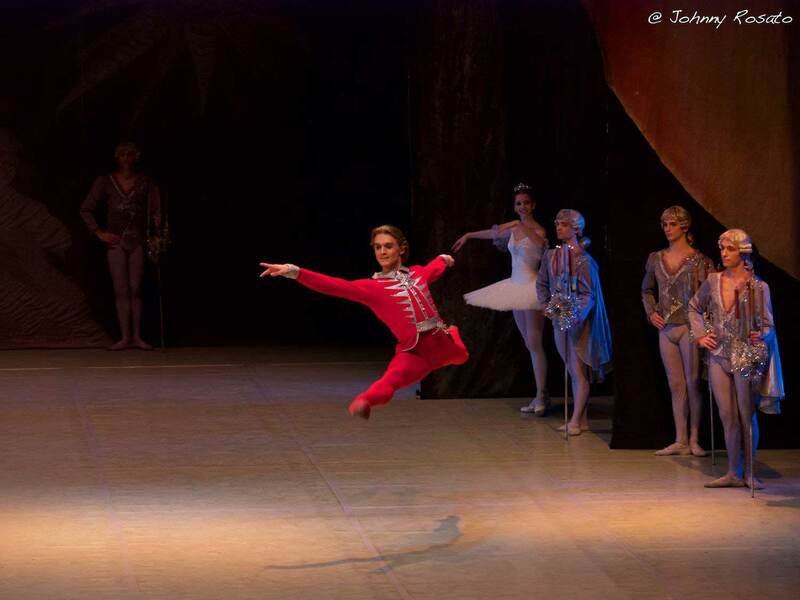 A triumph of “The Goat’s Horn” of the National Ballet Sofia. 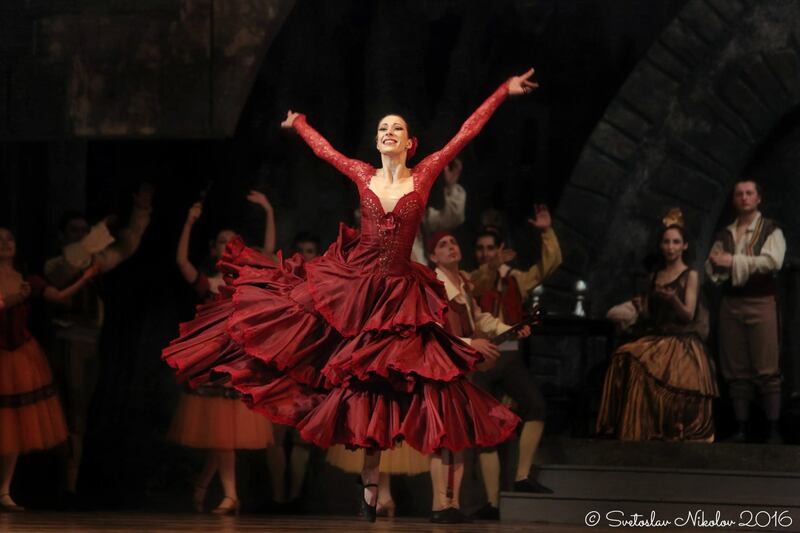 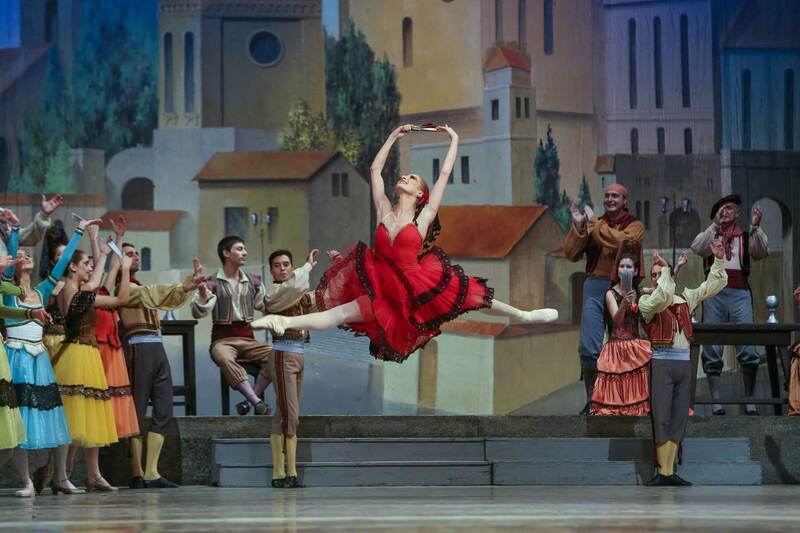 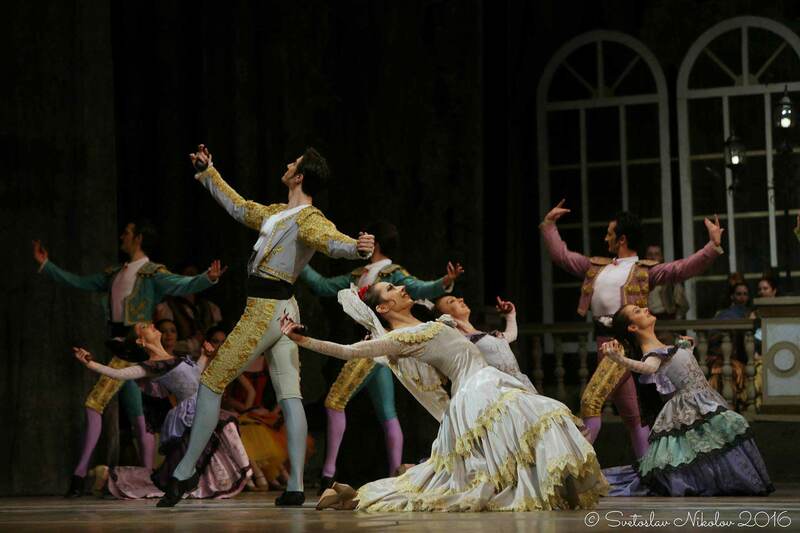 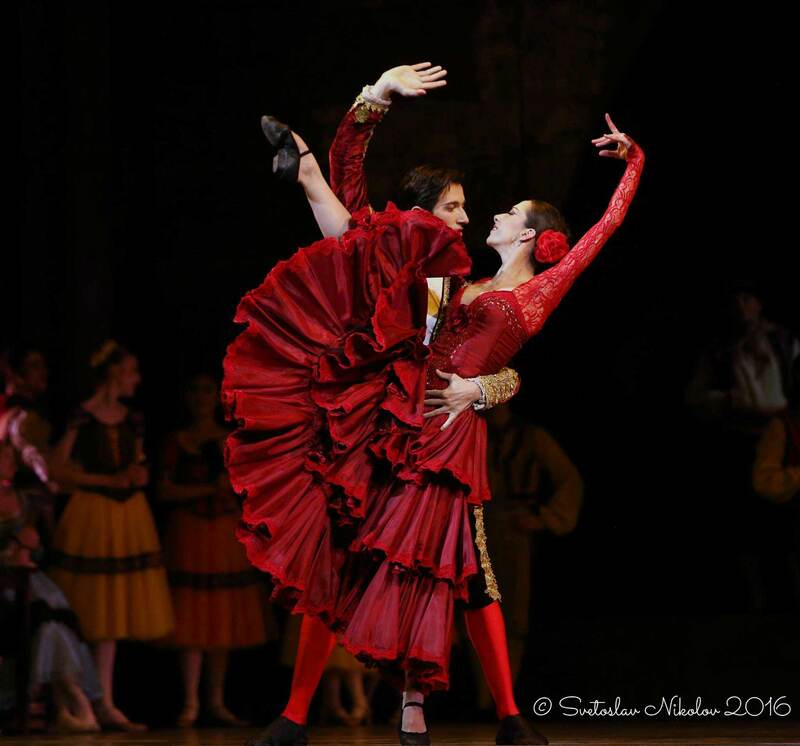 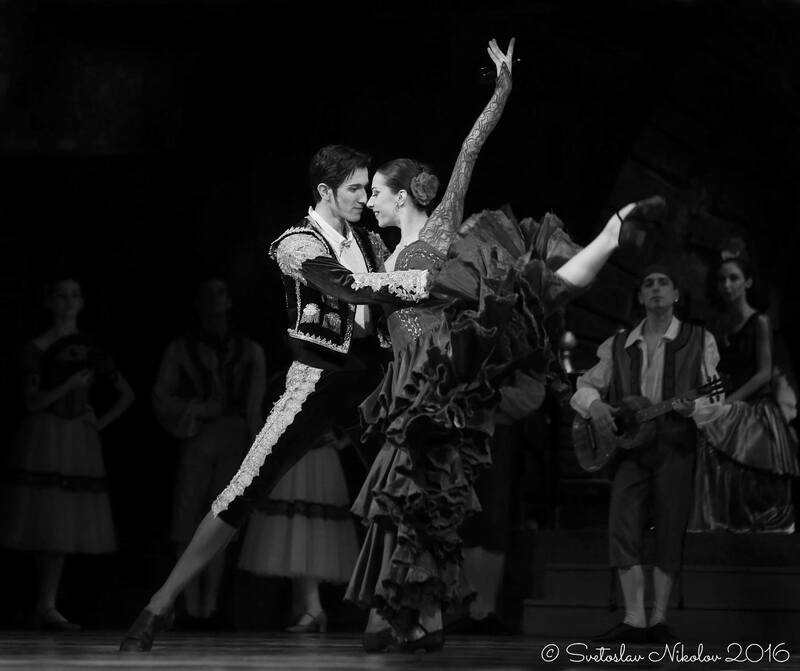 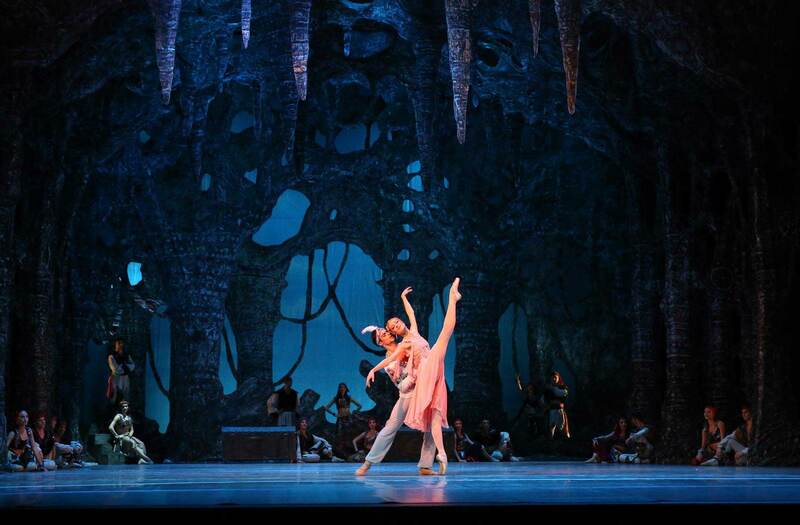 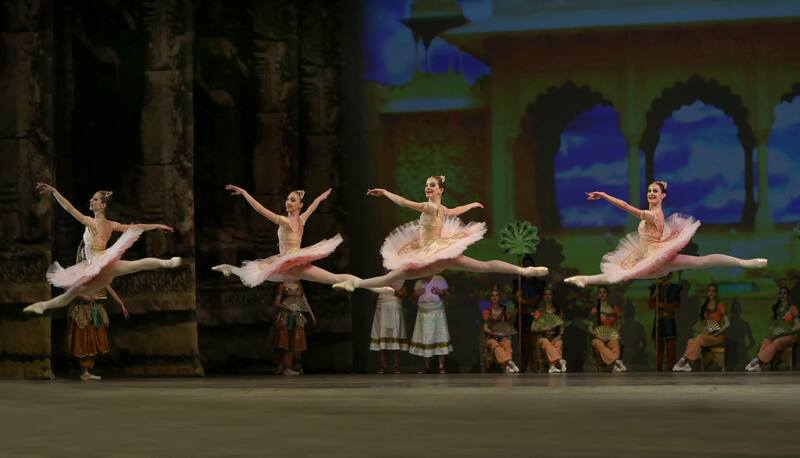 The National Ballet Sofia triumphs throughout Europe.